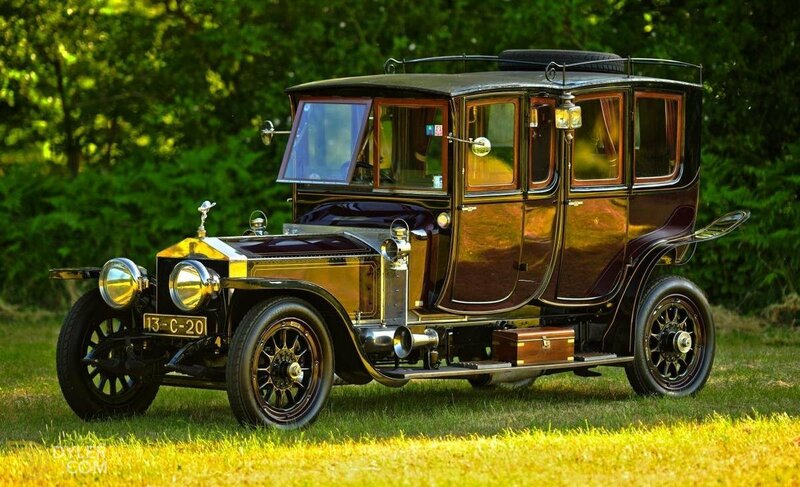 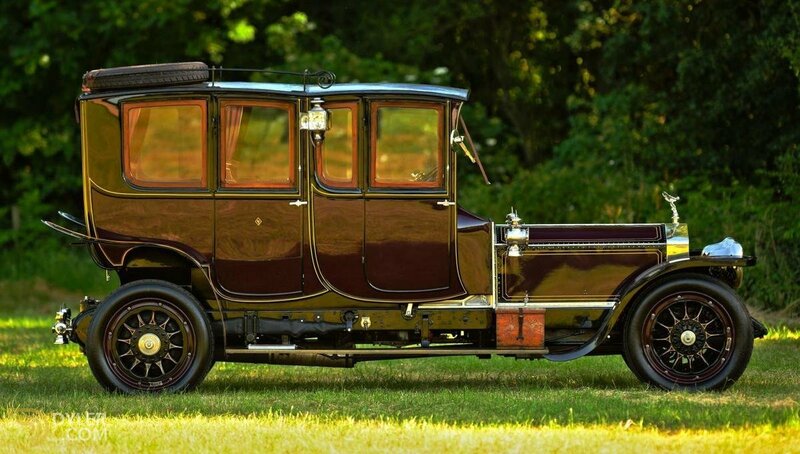 A stunning pre-war parallel bonnet Ghost with a rare double cab body by Henri Labourdette of 104 Avenue Champs Elysees Paris. 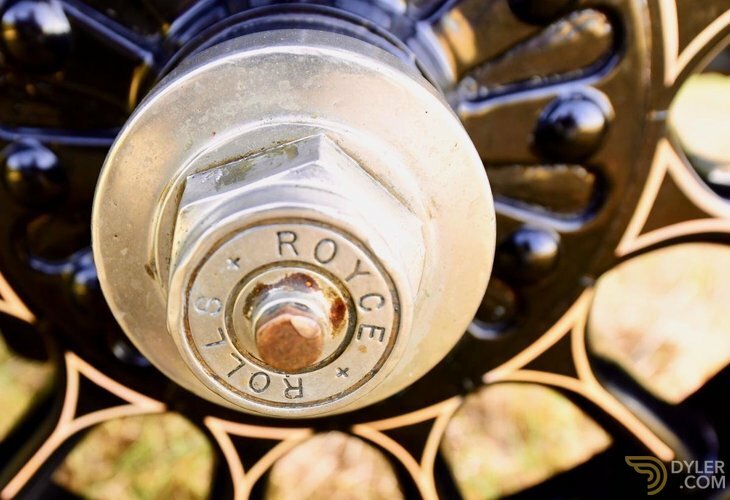 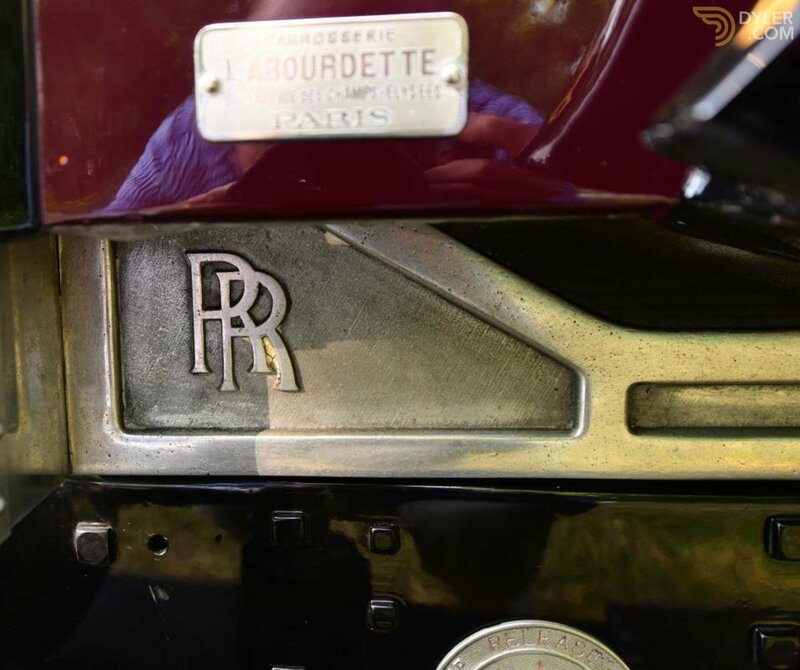 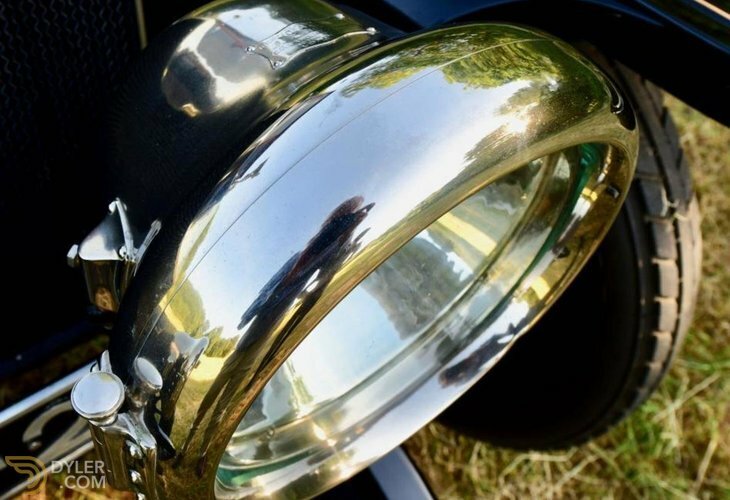 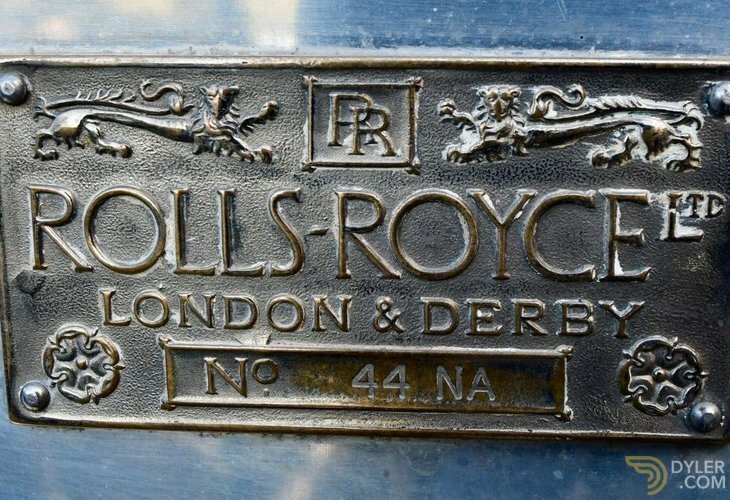 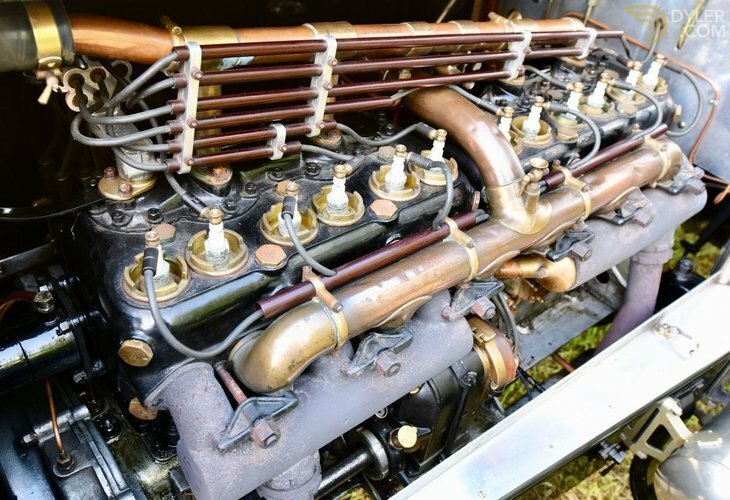 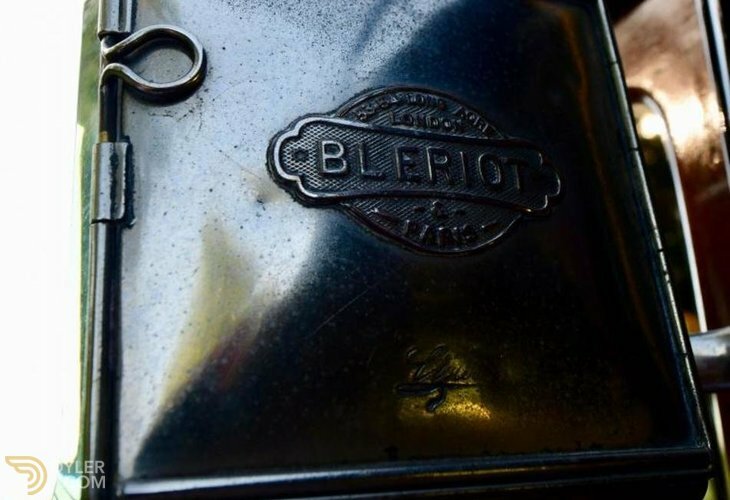 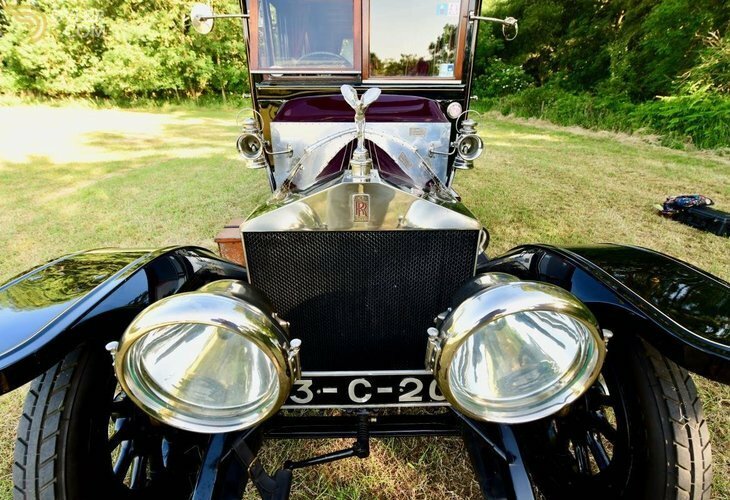 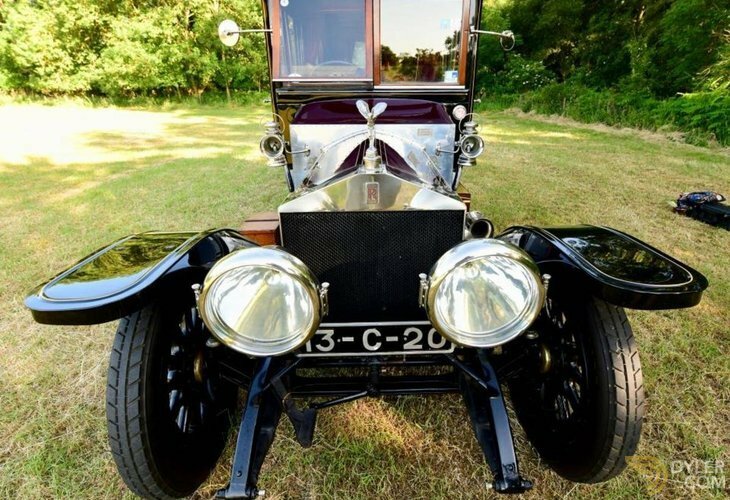 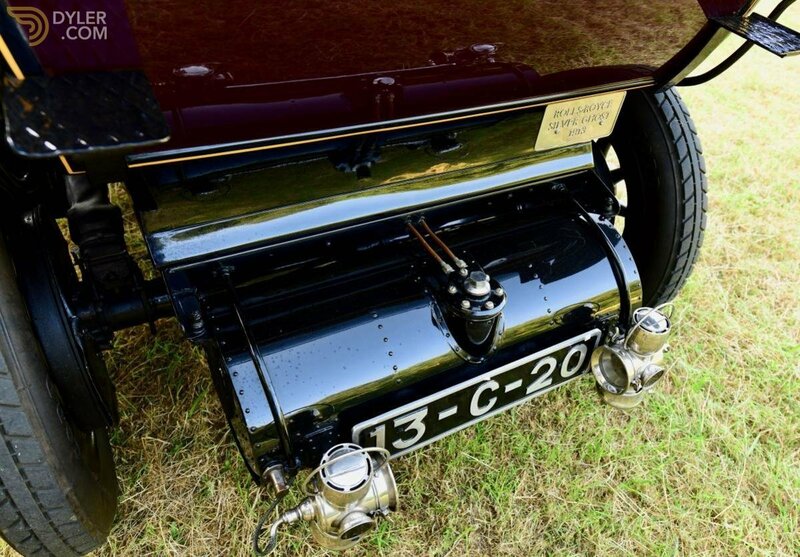 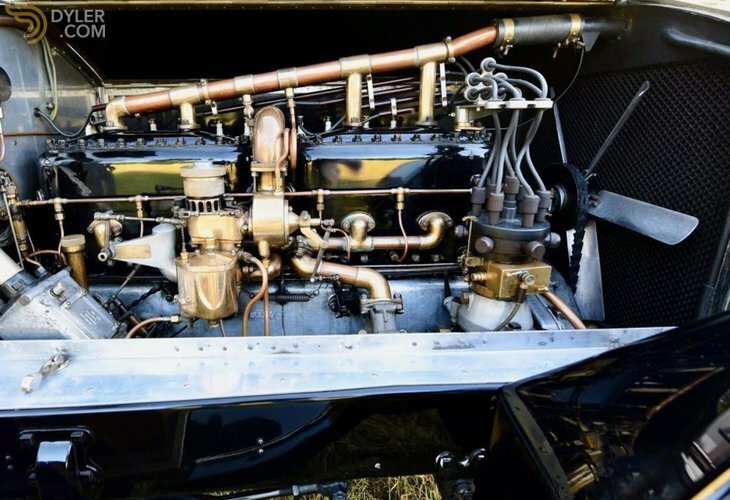 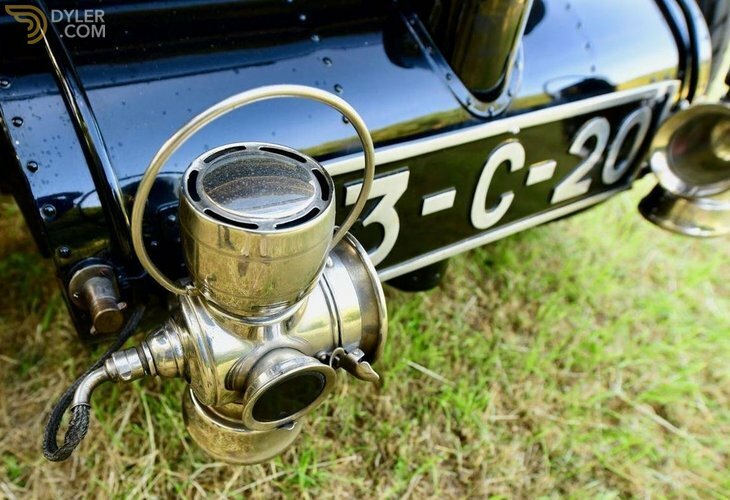 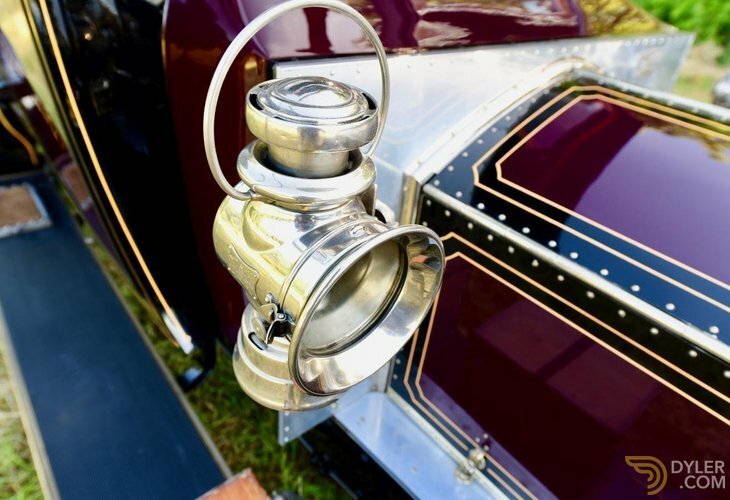 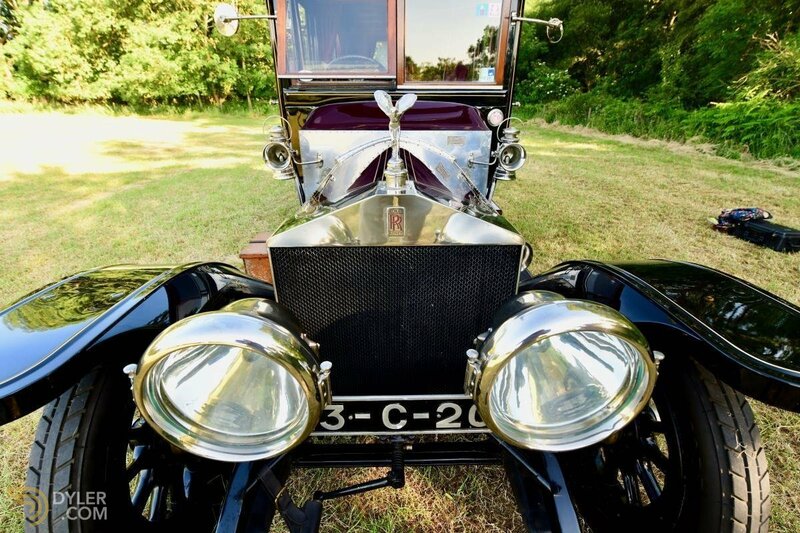 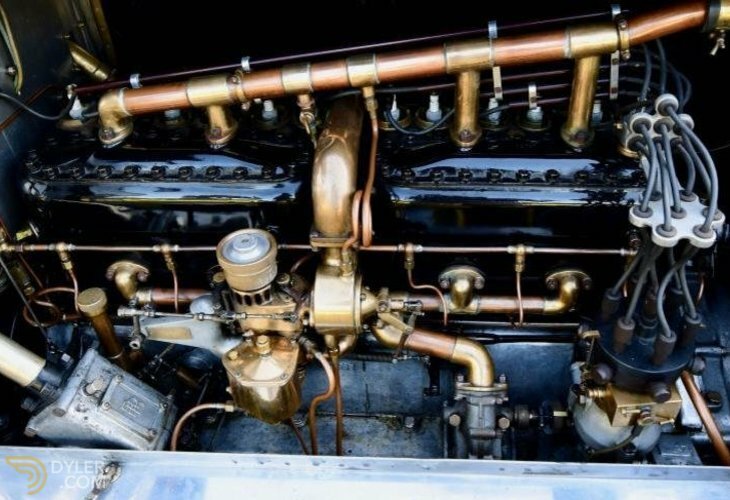 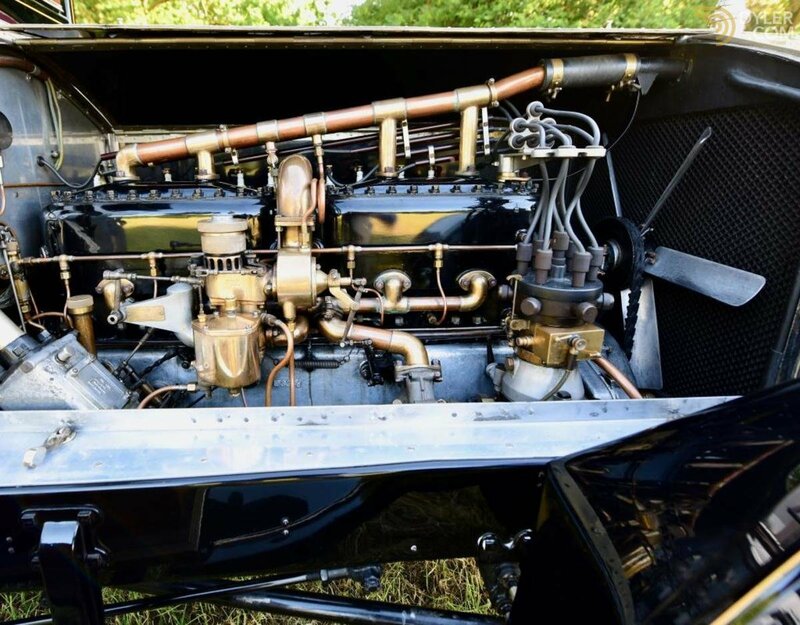 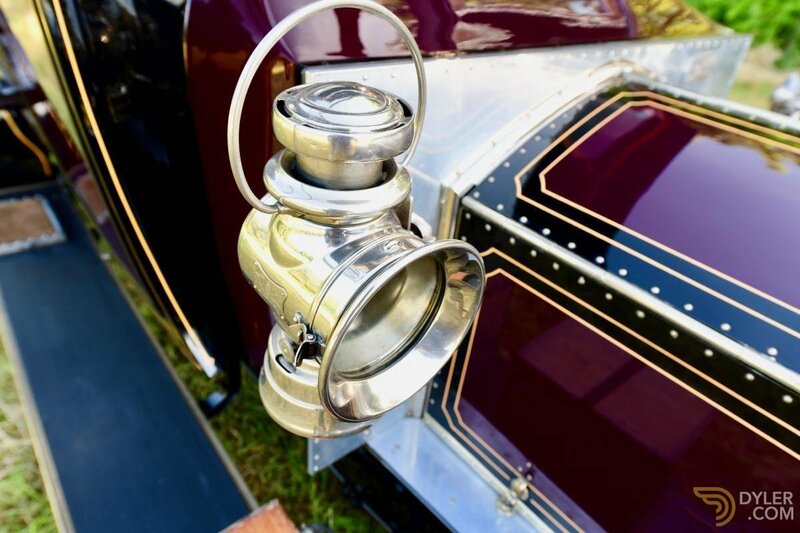 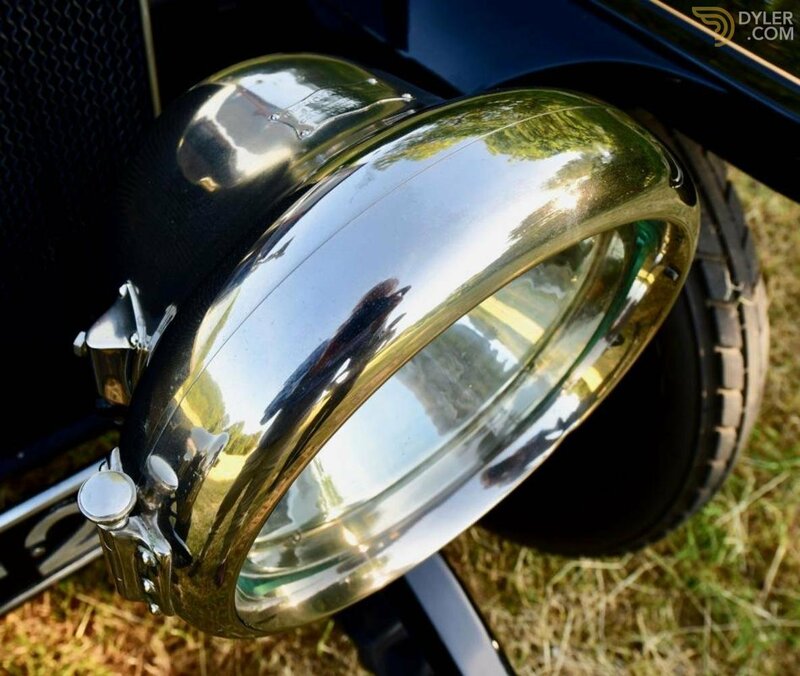 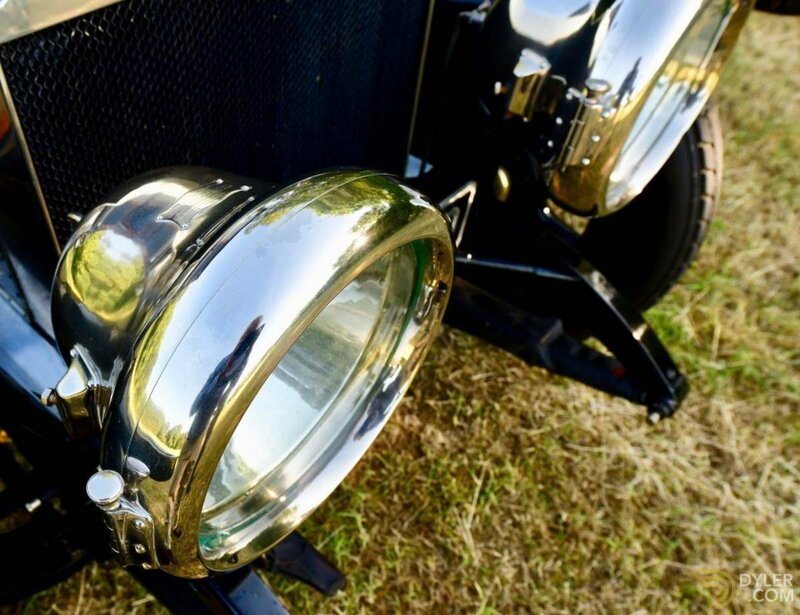 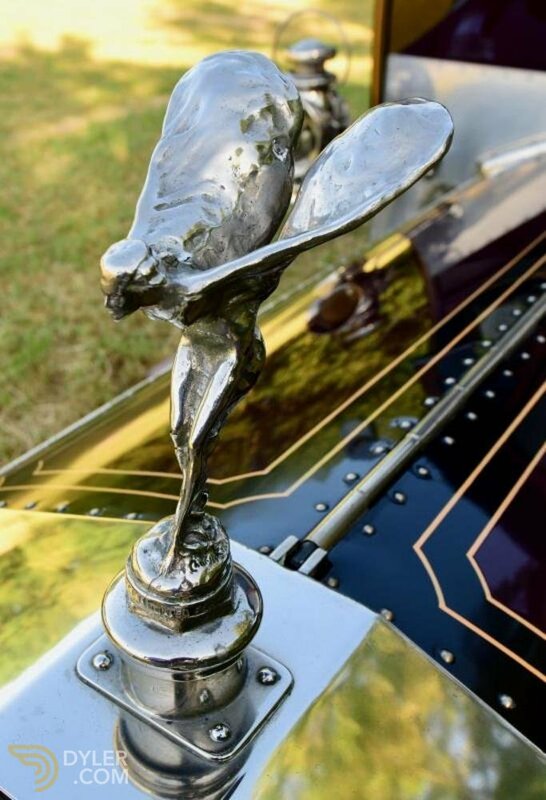 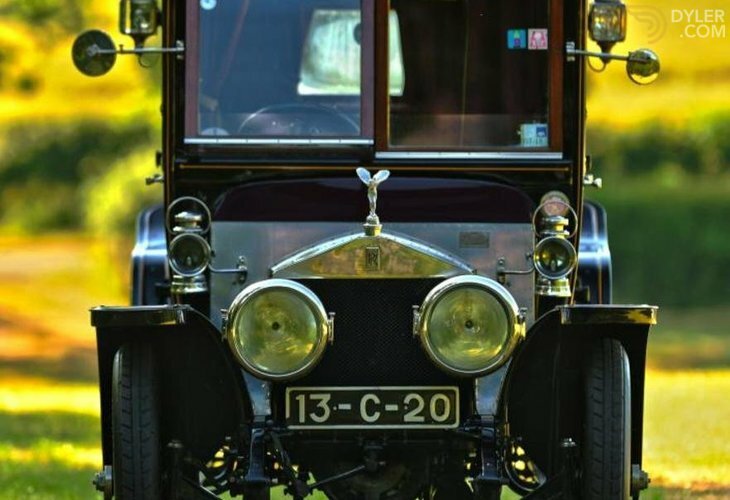 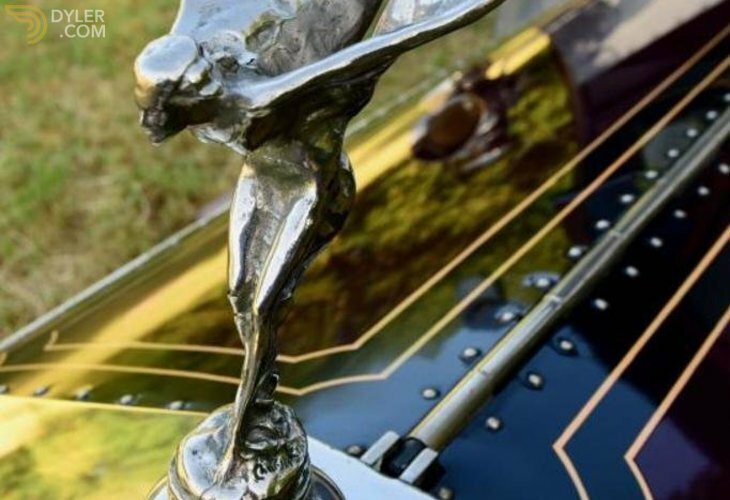 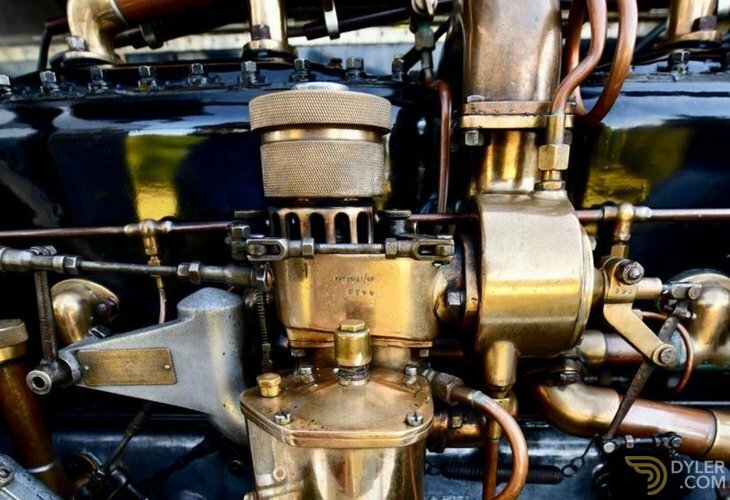 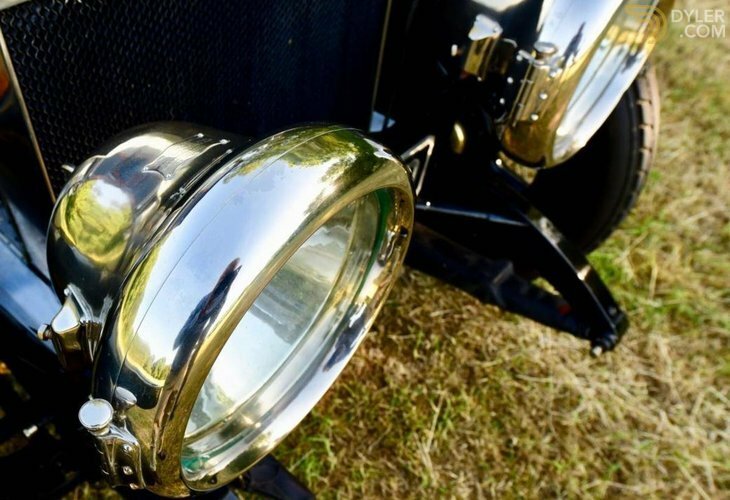 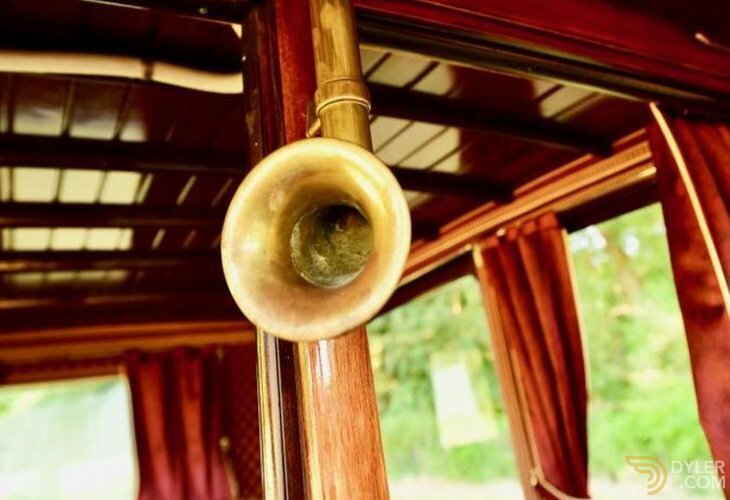 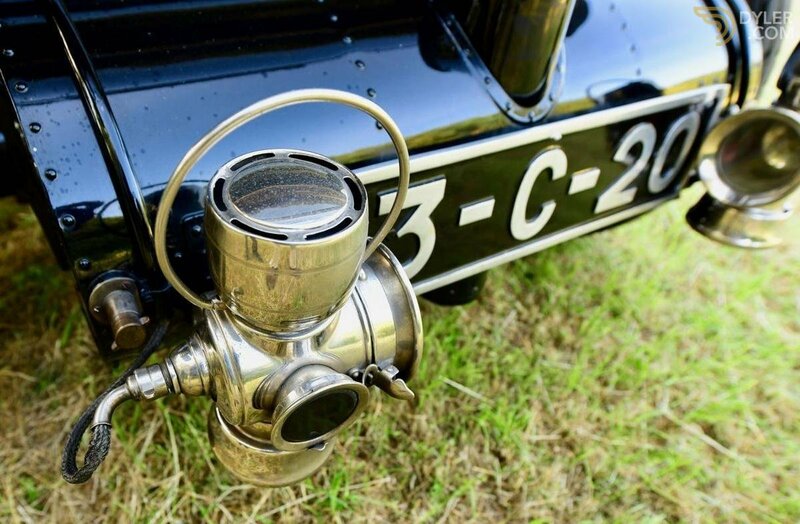 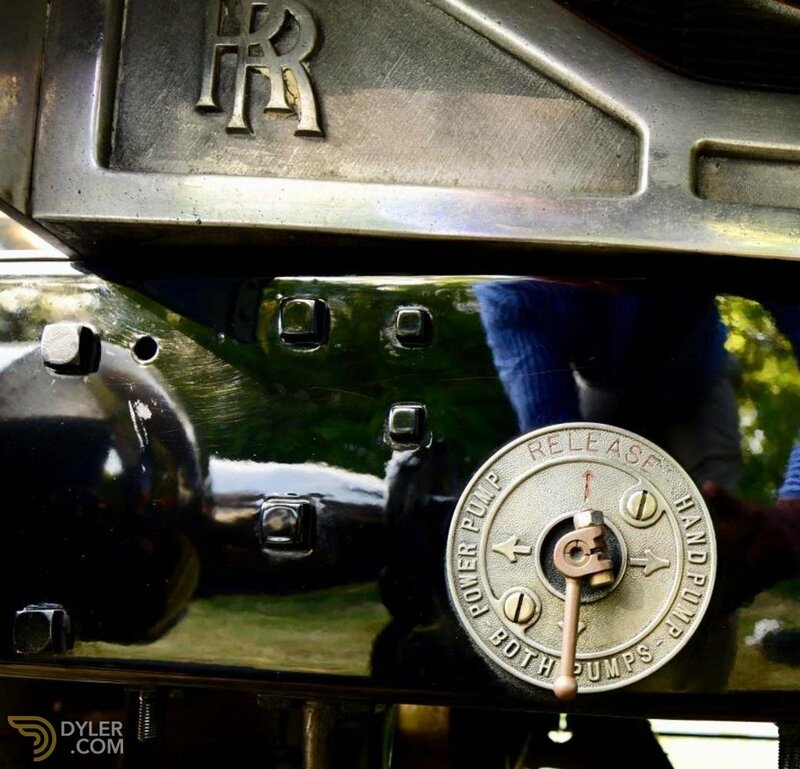 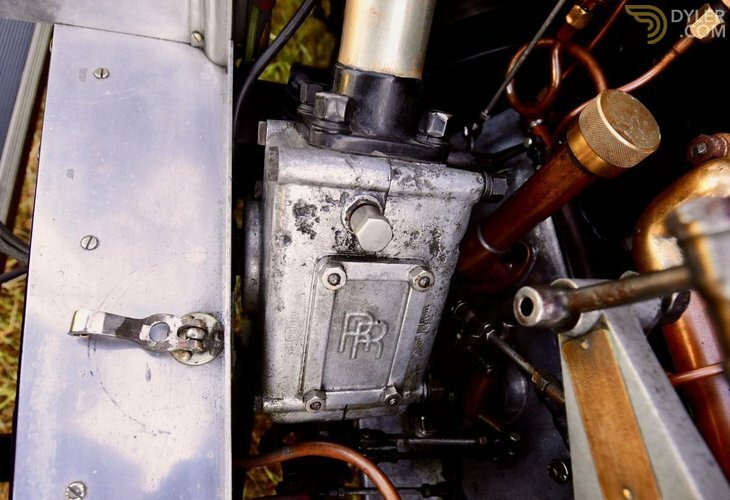 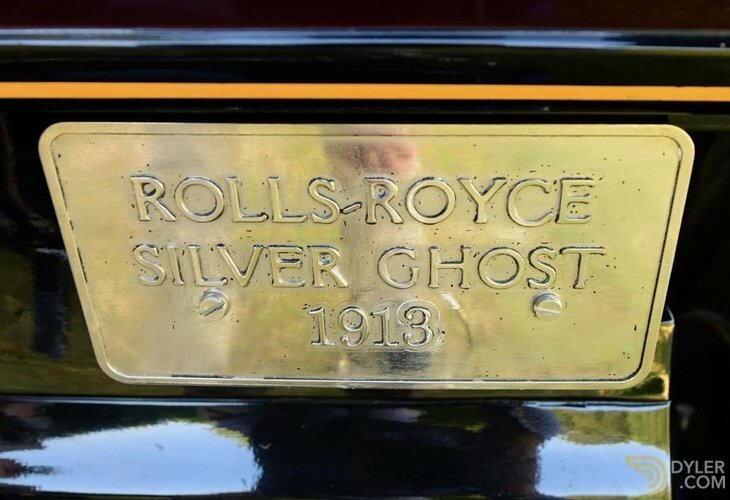 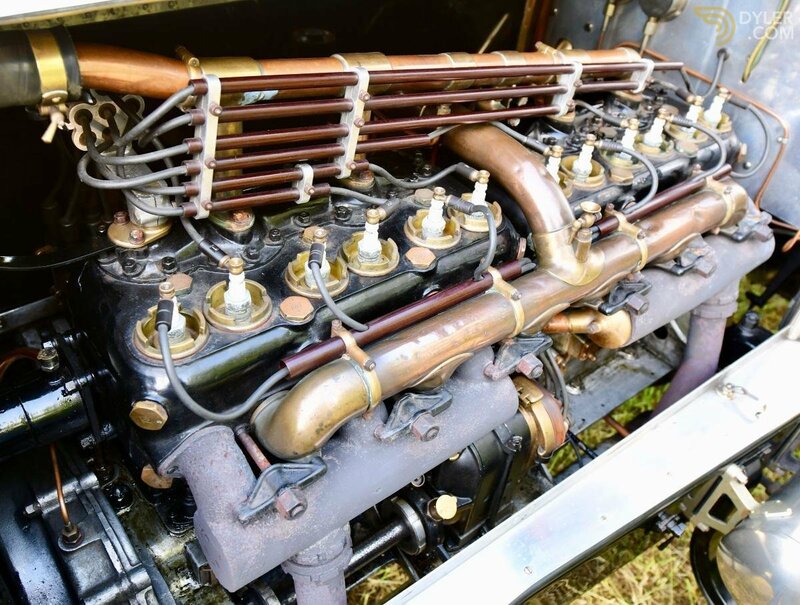 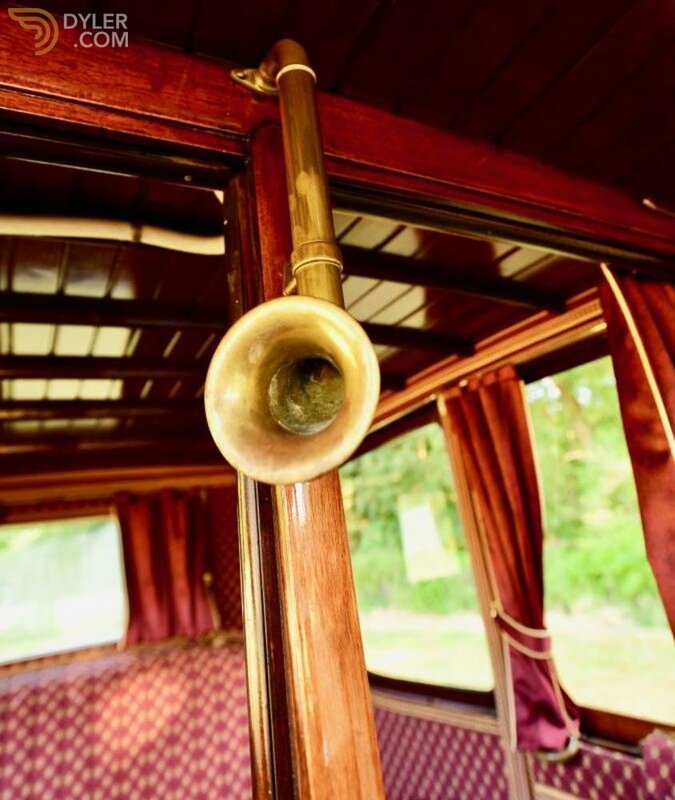 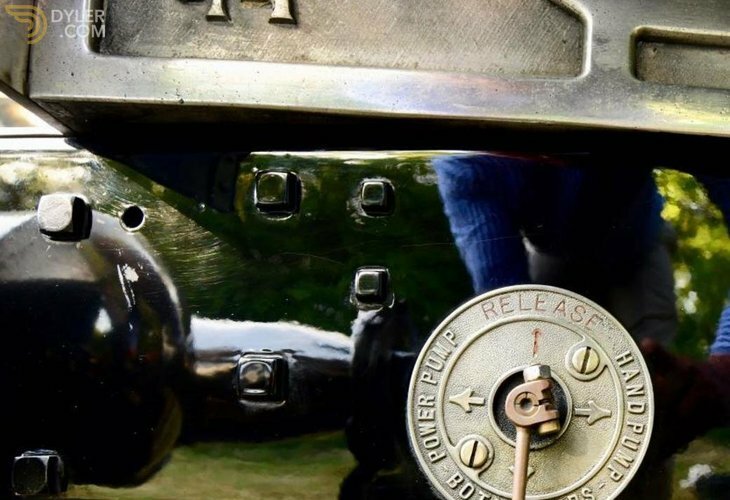 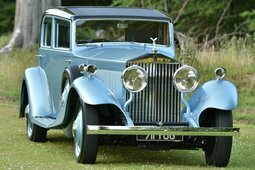 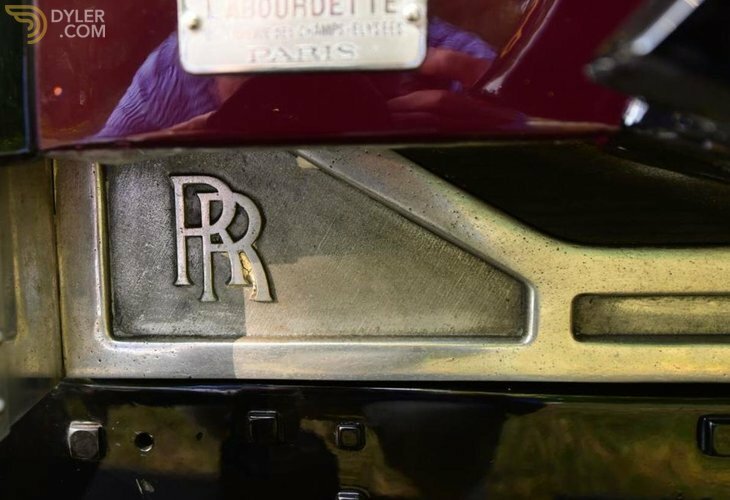 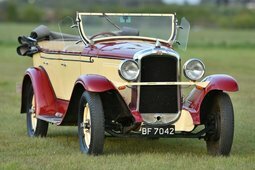 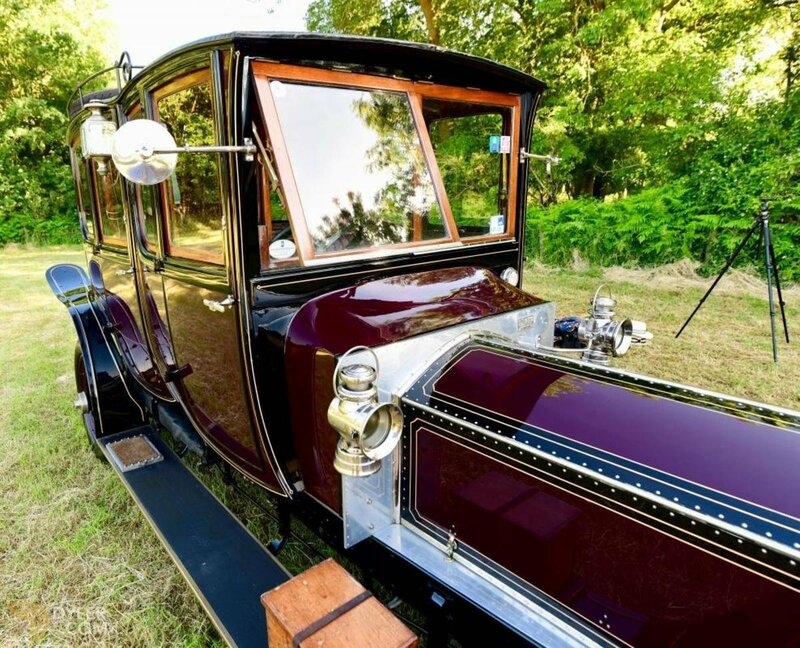 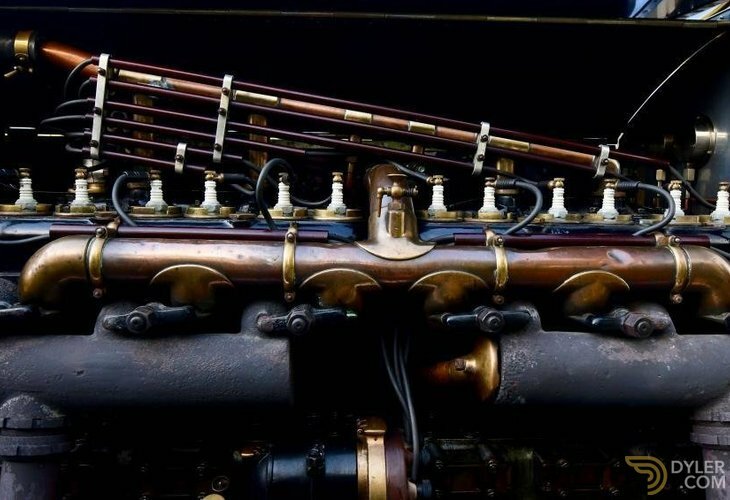 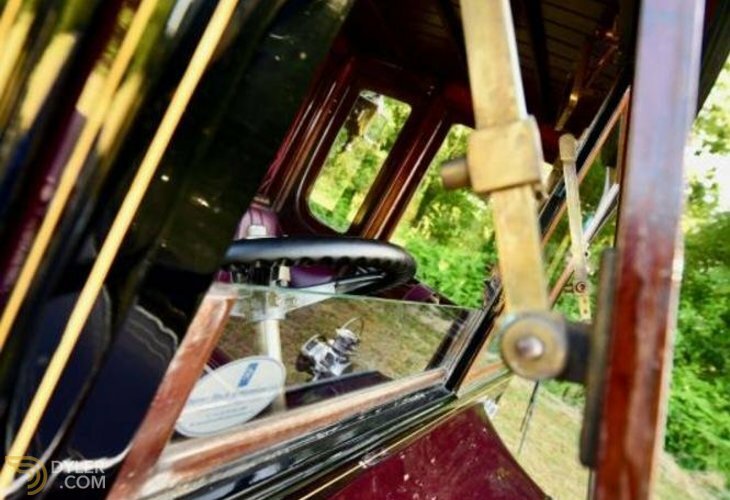 Originally supplied to a Scottish estate, the car was found in derelict condition & has been painstakingly fully restored by Noted Silver Ghost expert Mr James Black. 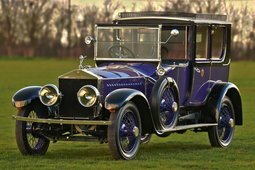 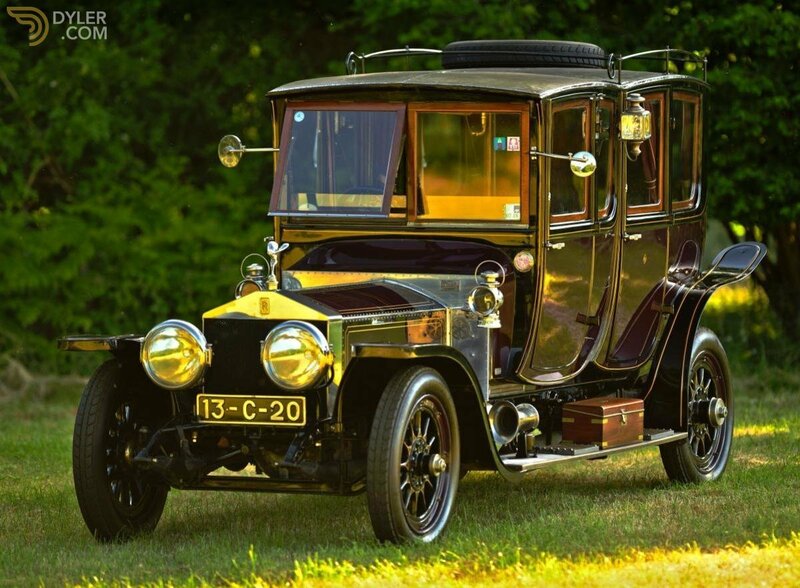 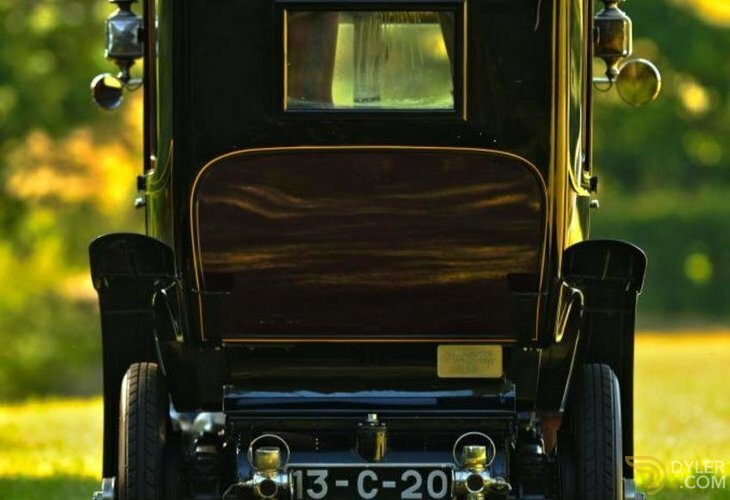 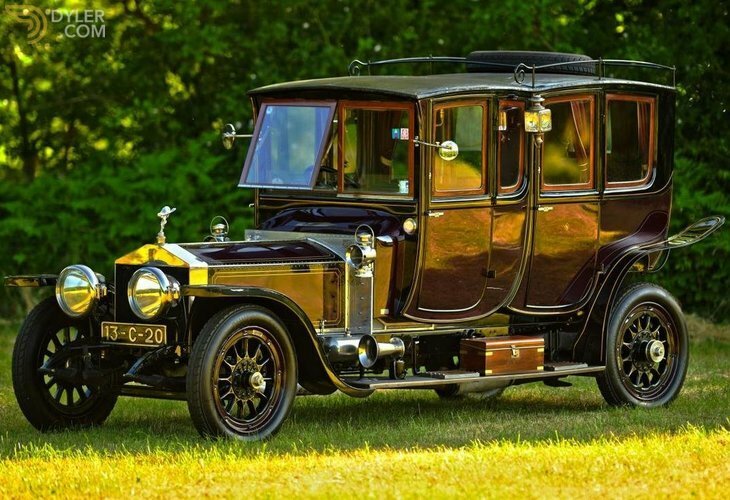 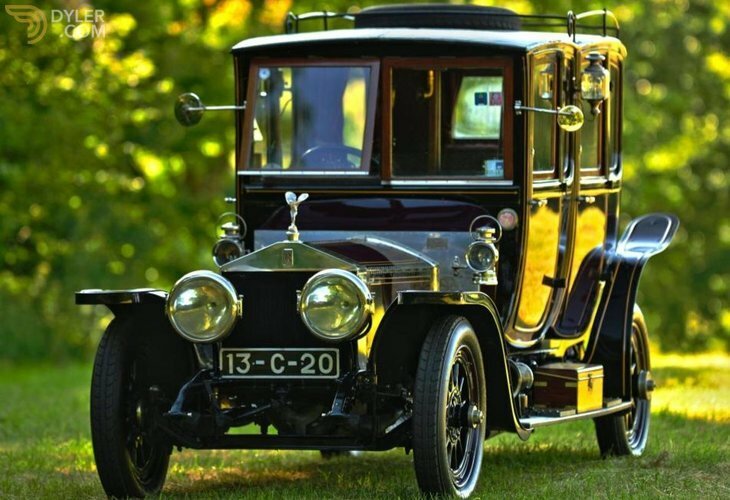 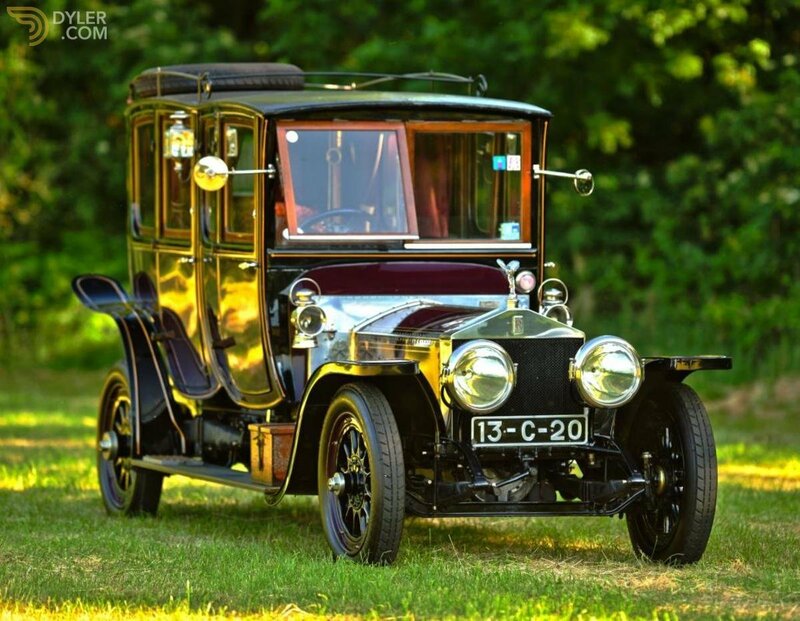 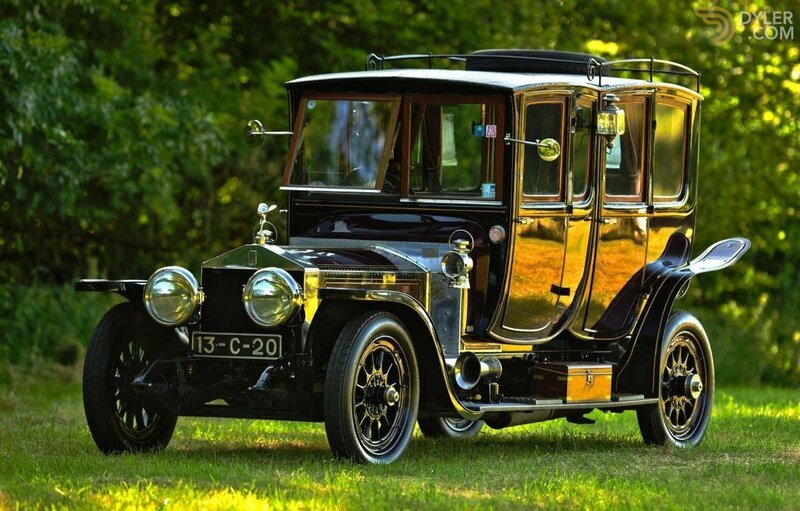 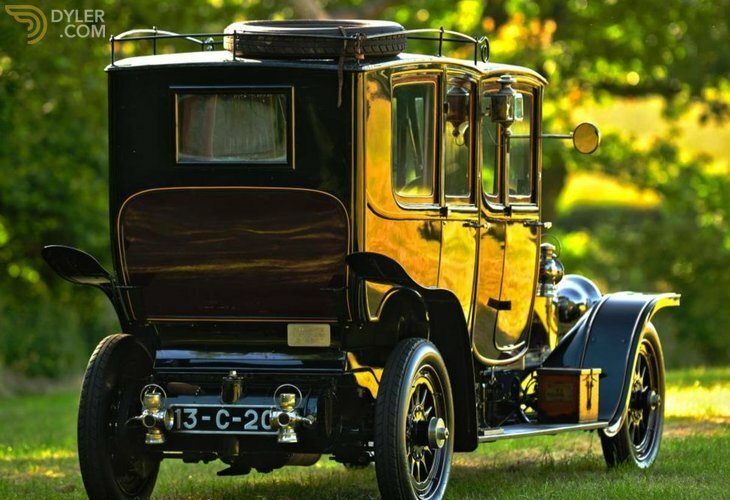 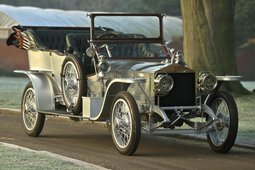 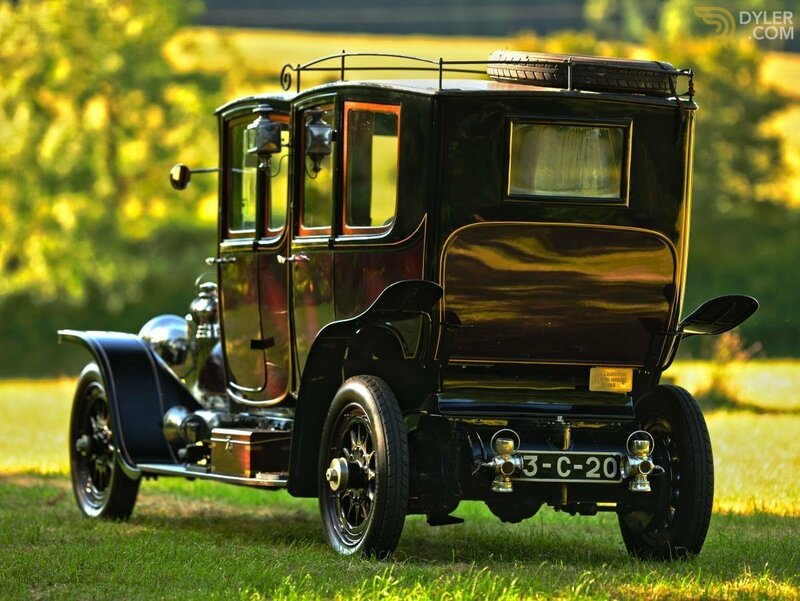 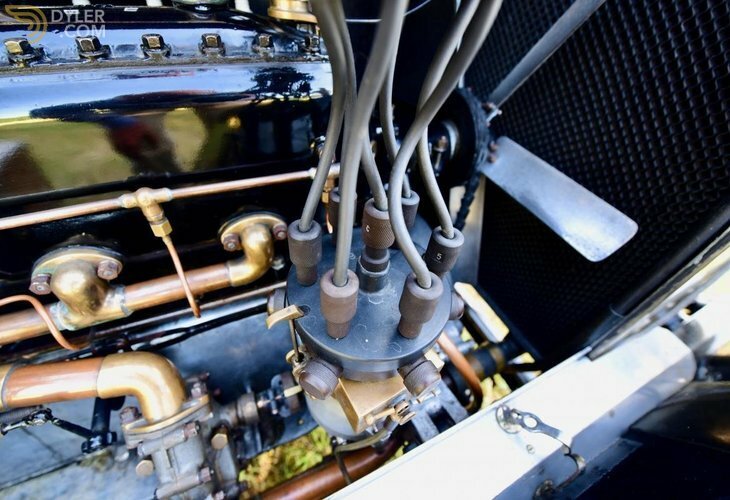 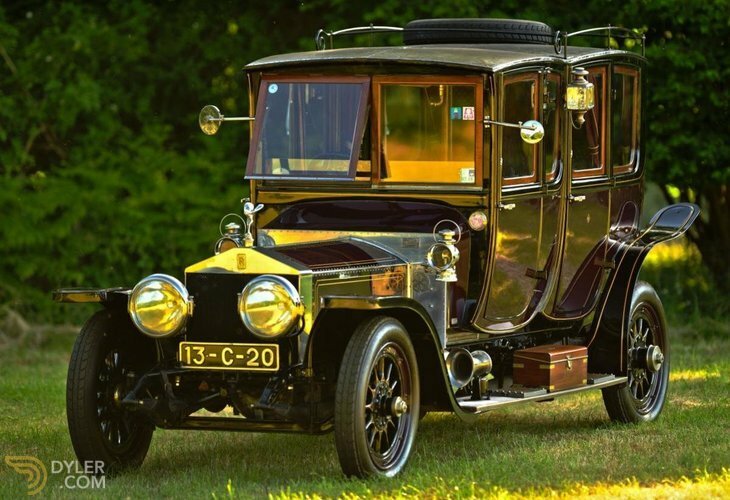 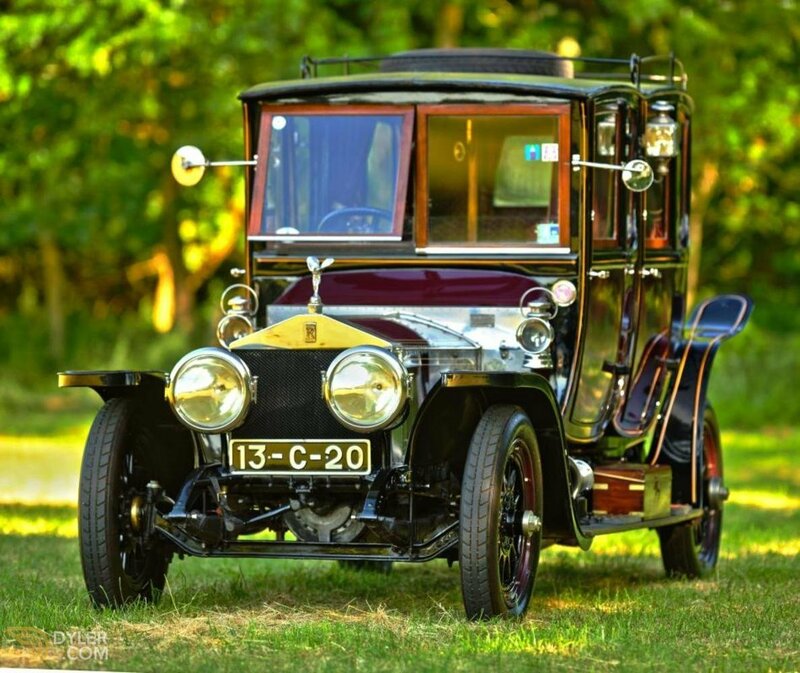 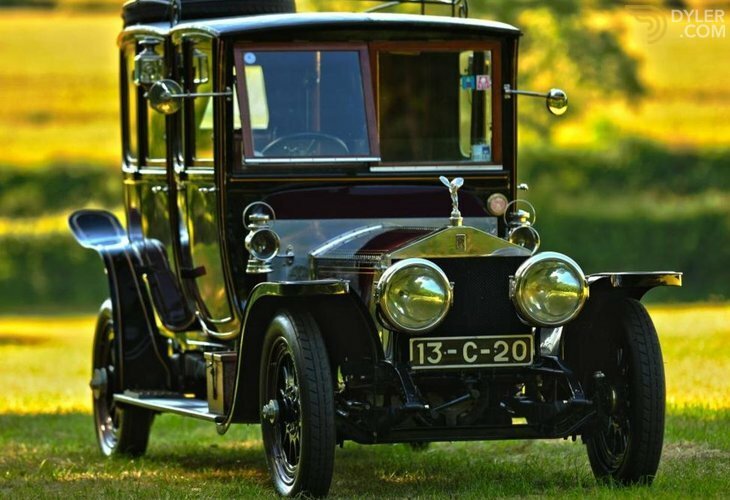 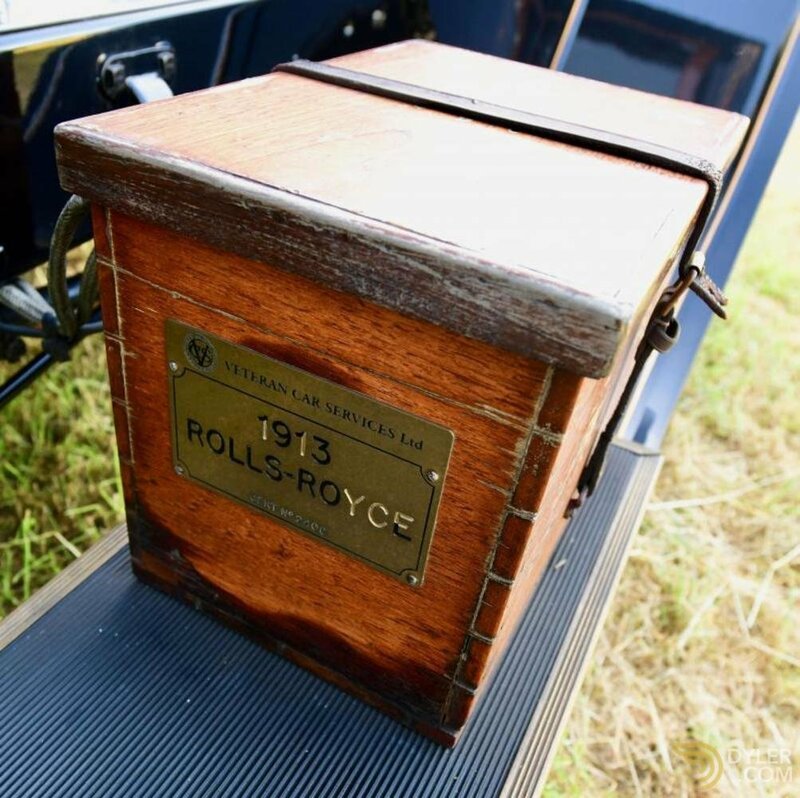 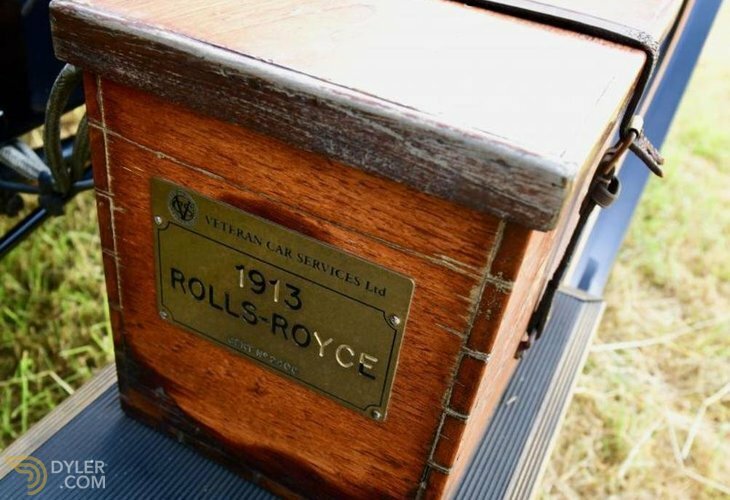 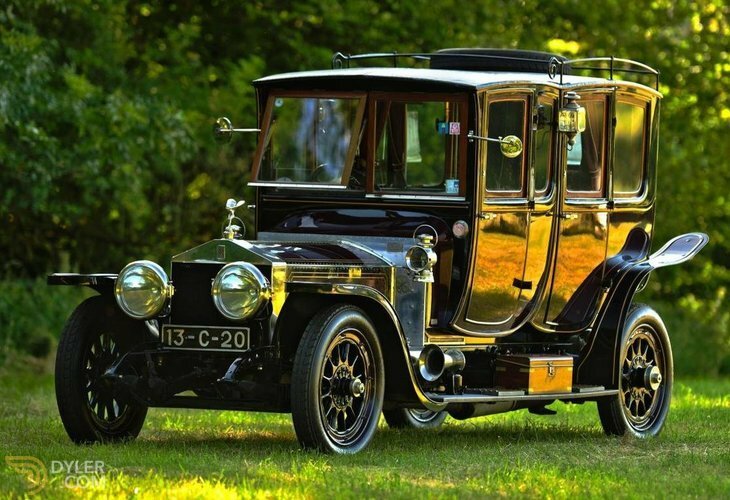 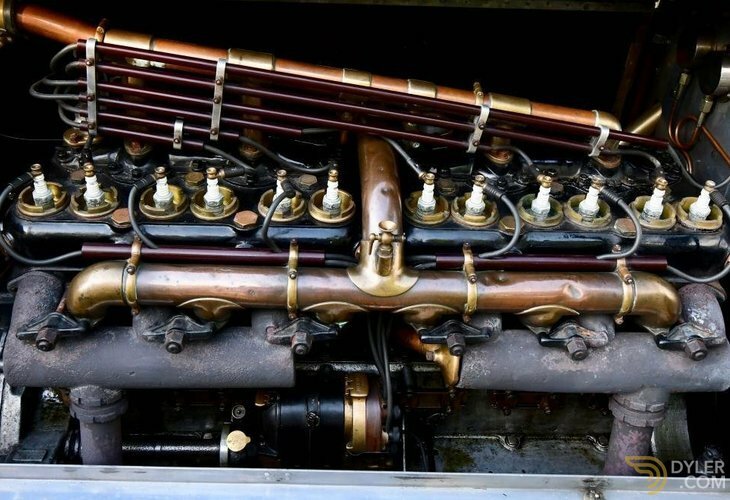 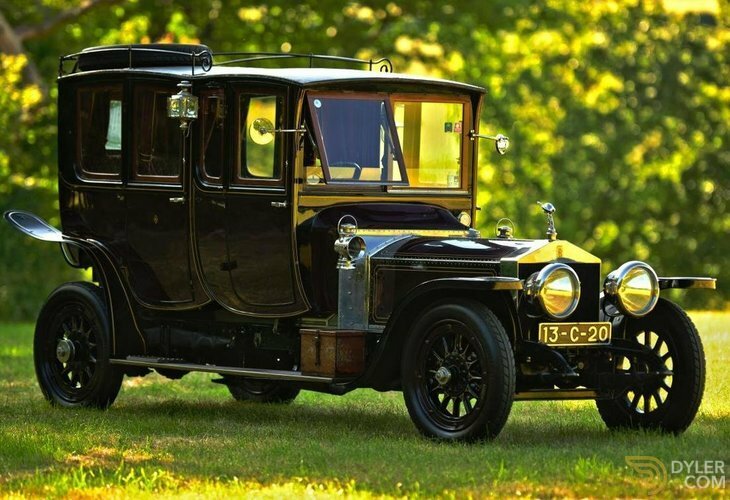 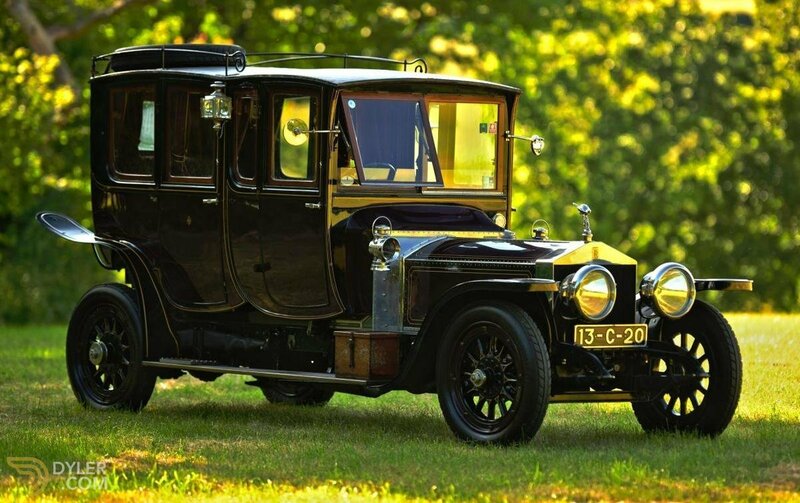 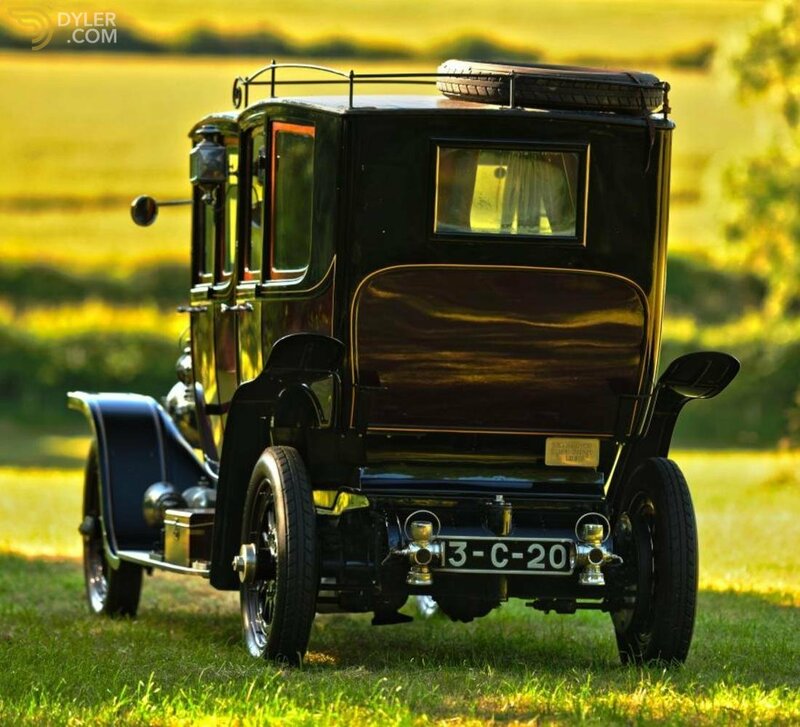 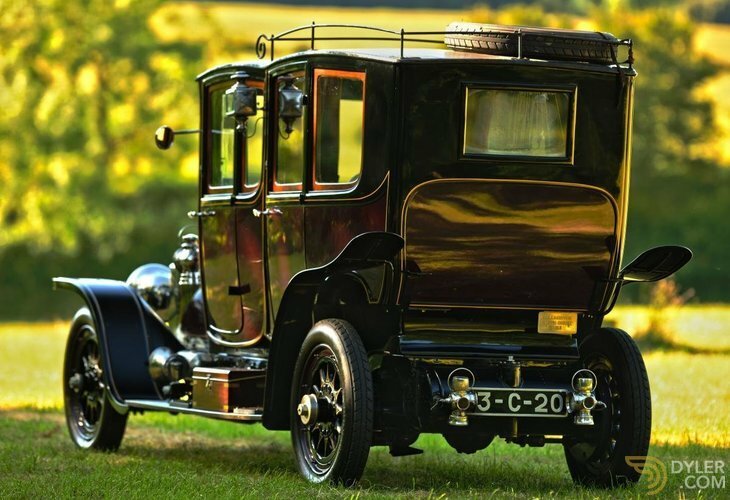 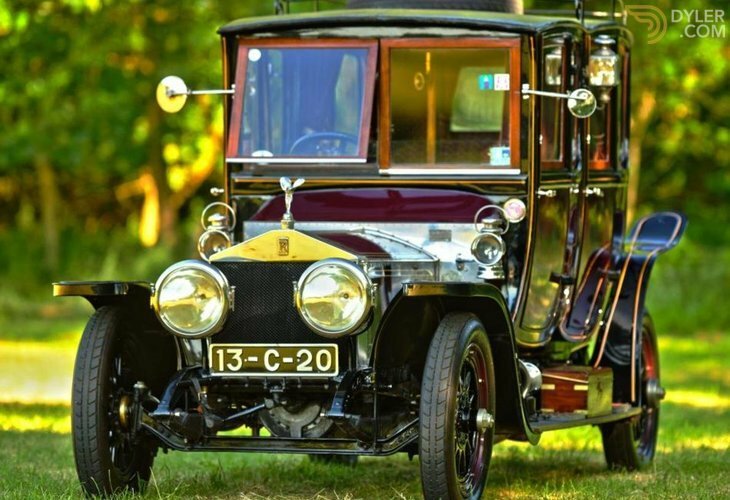 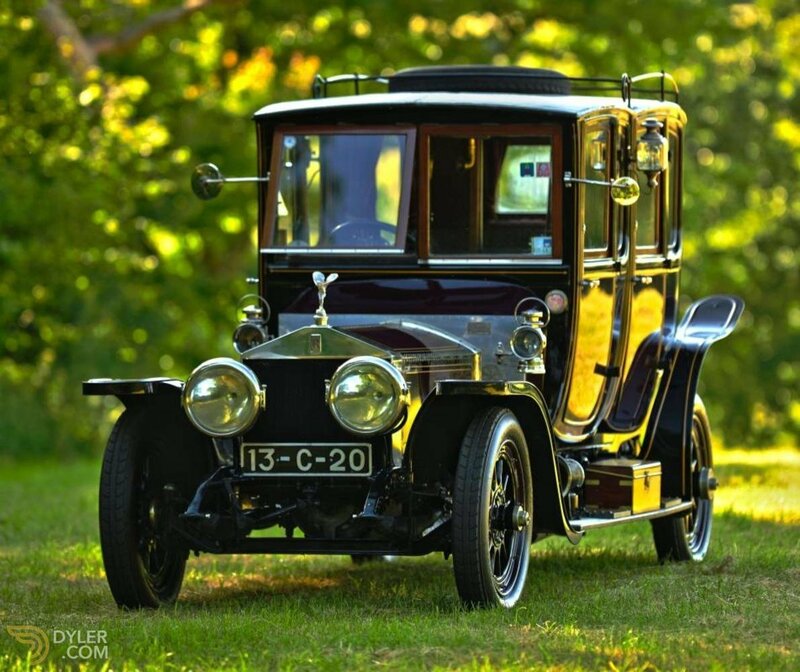 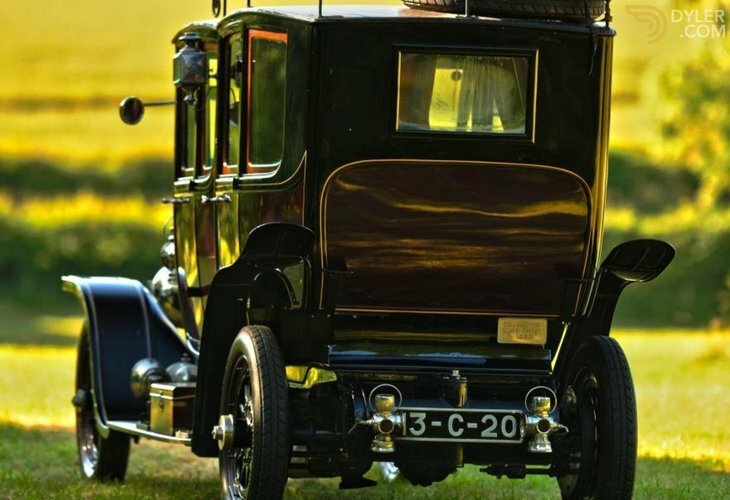 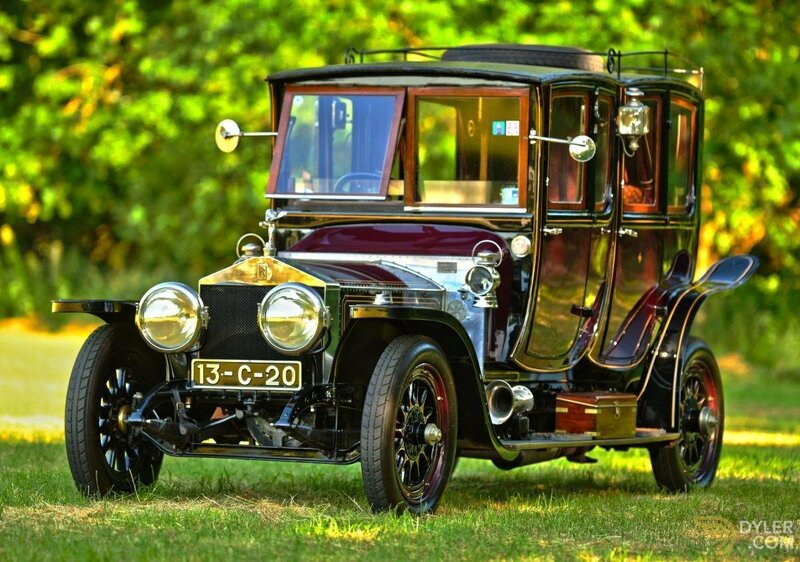 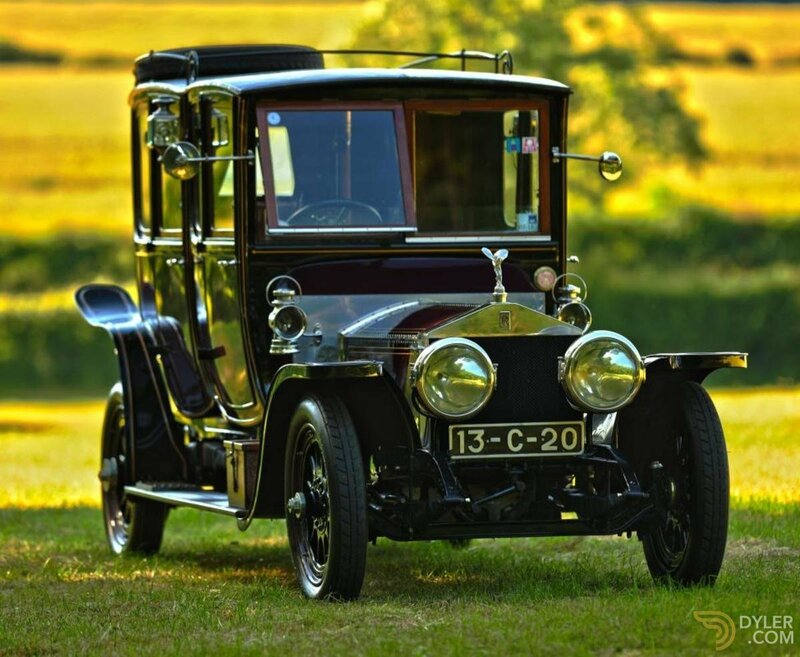 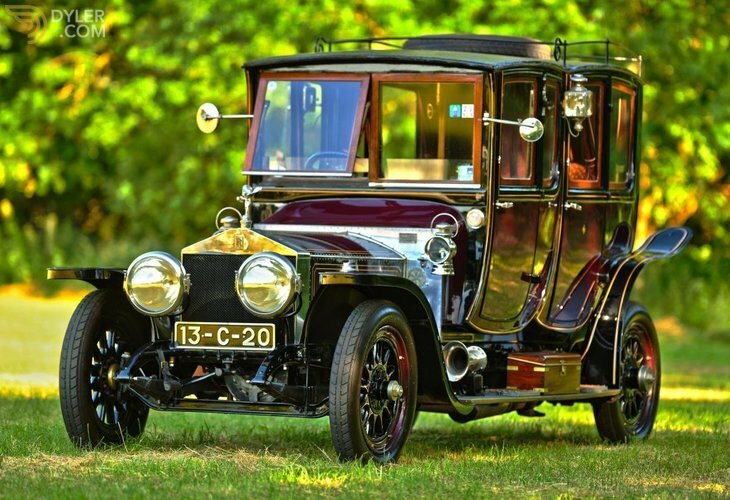 When found the car had lost its original body so the curent 1912 Body was married to the car; a marriage that suits the two perfectly. 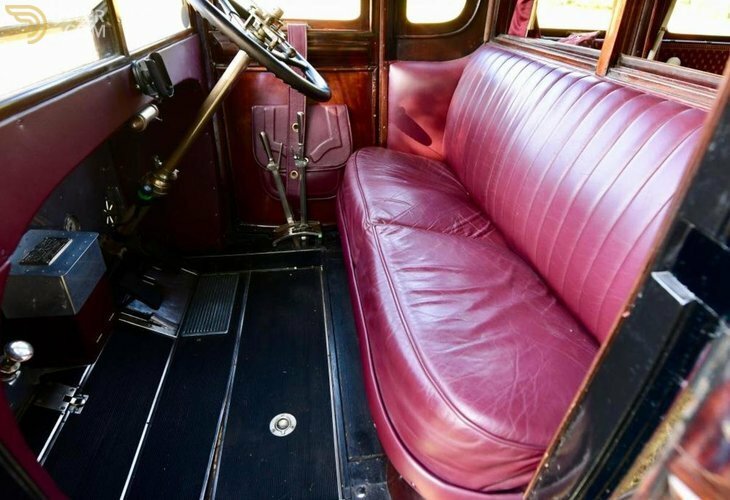 The body takes the form of a spectacular & tall Double cab affair with copper covered roof & rosewood iinterior lining. 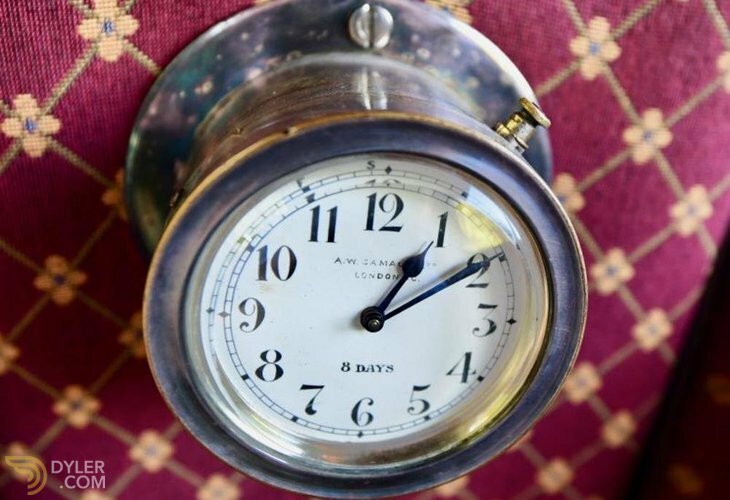 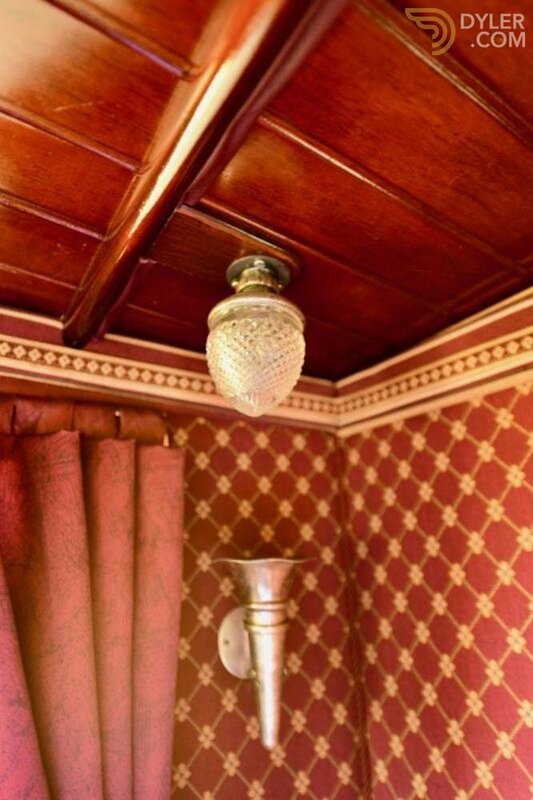 A wealth of original features are extant adding to the period charm. 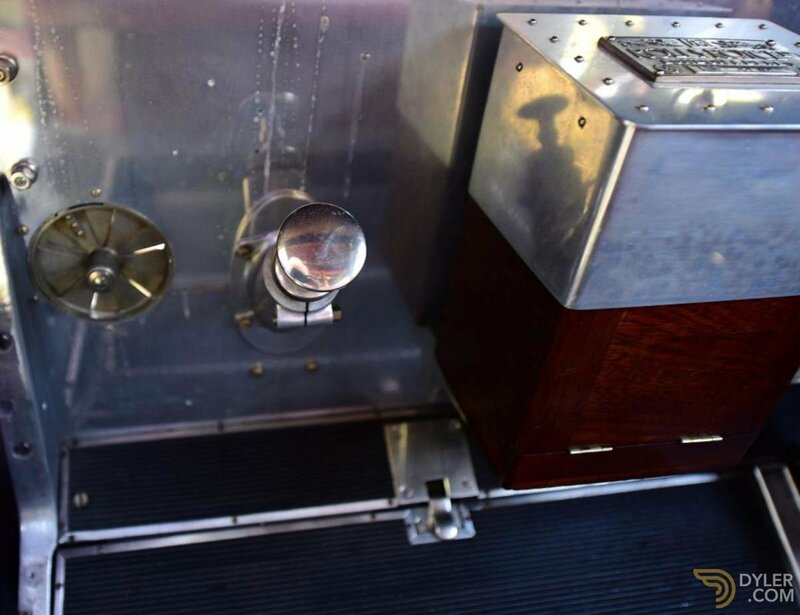 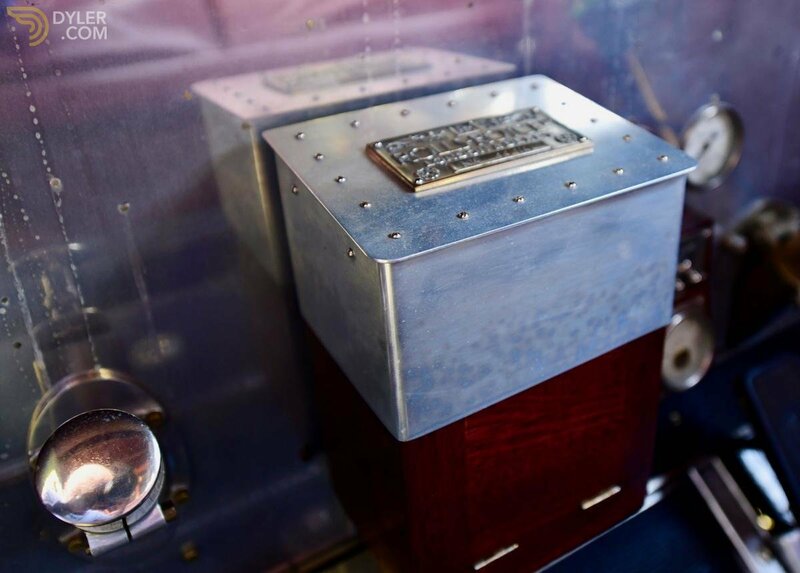 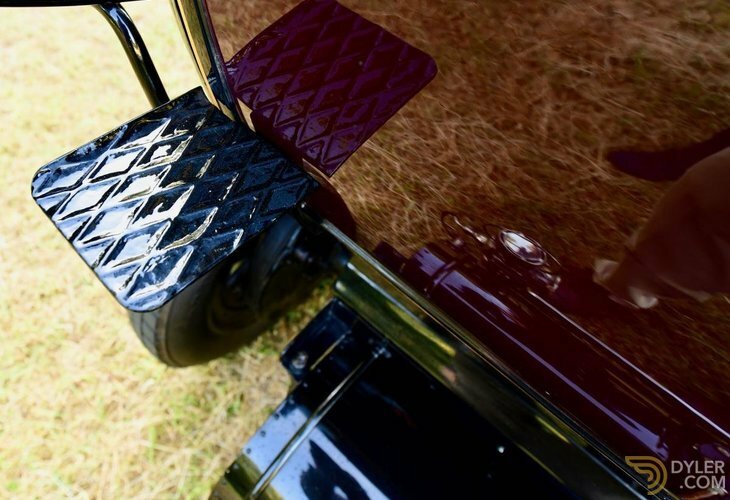 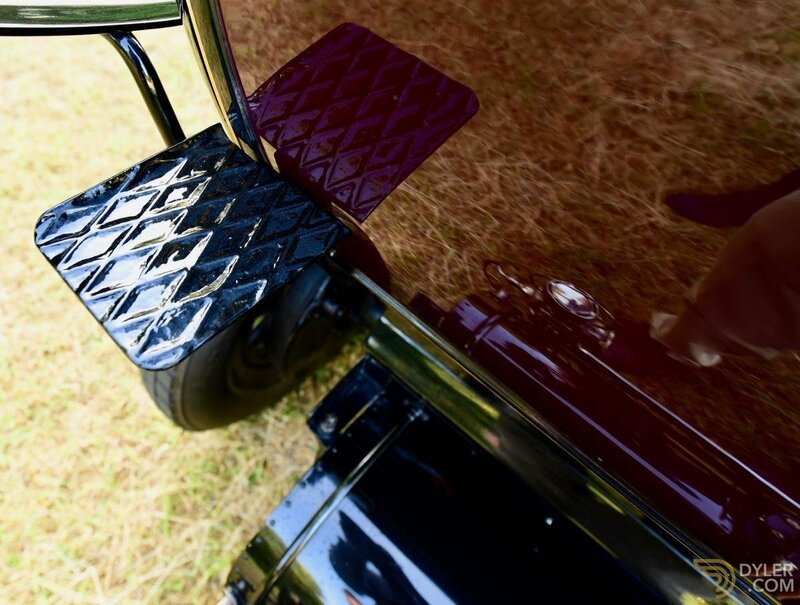 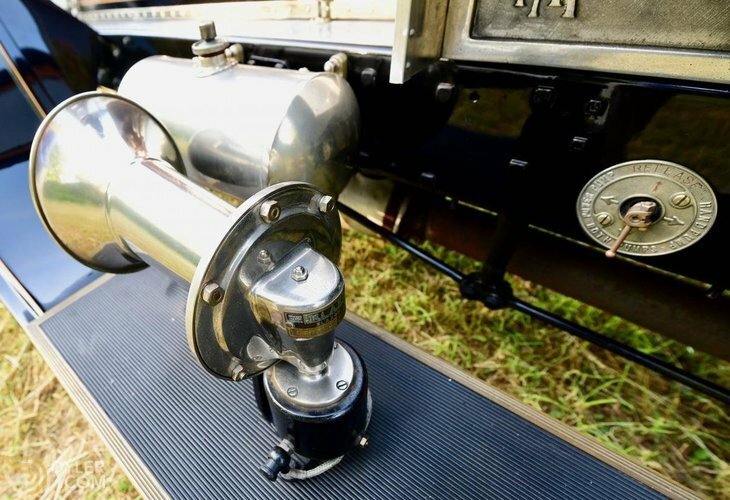 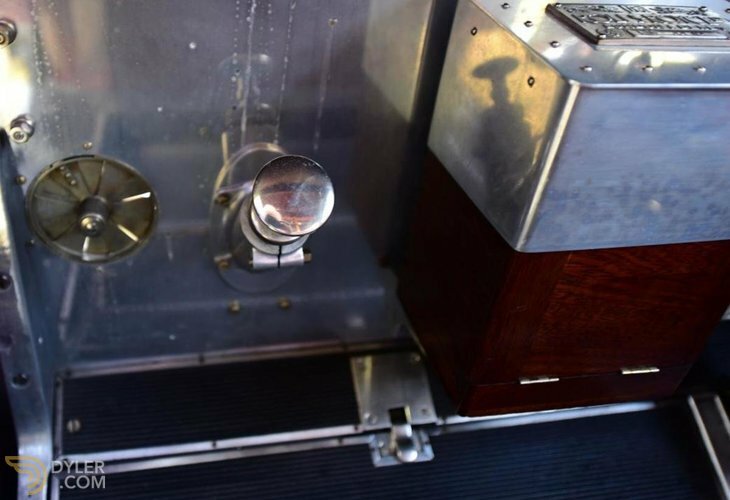 The front twin windscreens hinge open from the top allowing for a cooling airstream on hot days. 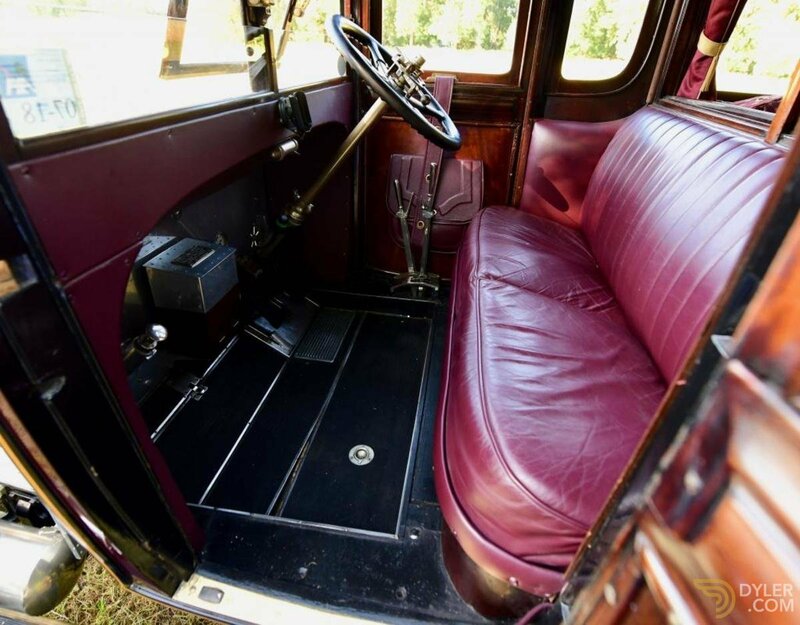 Twin occasional seat fold out from the bulkhead making the car a true 7 seat conveyance. 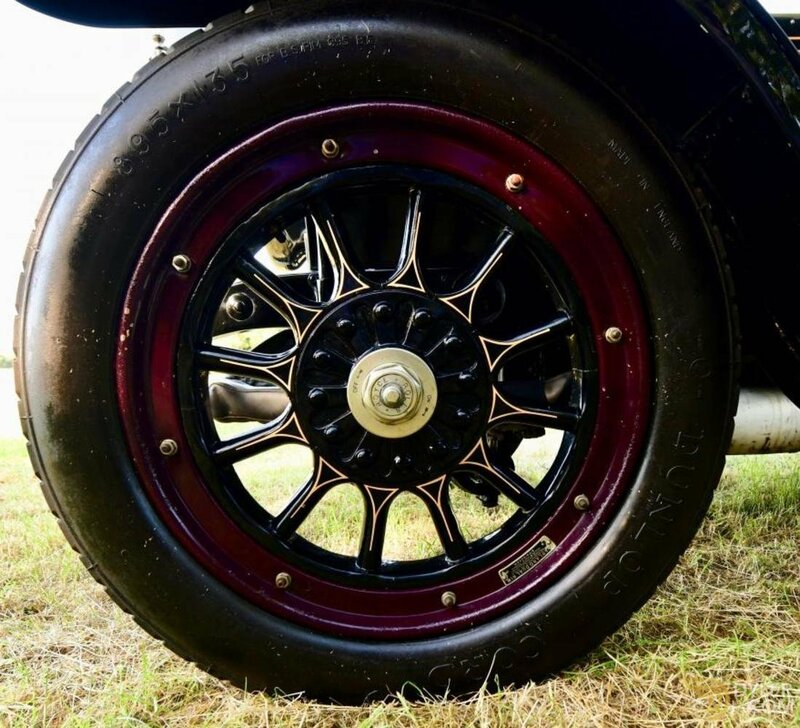 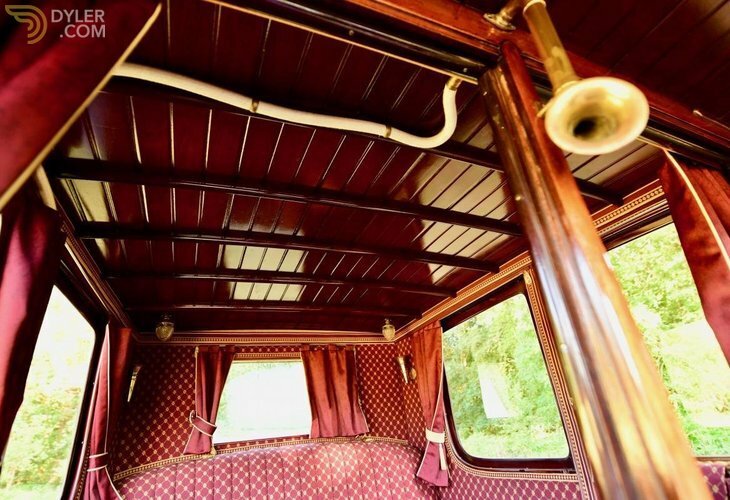 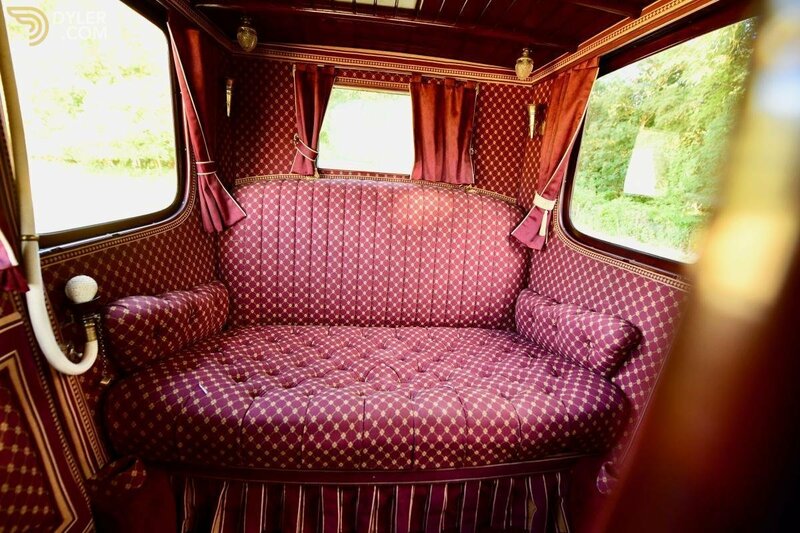 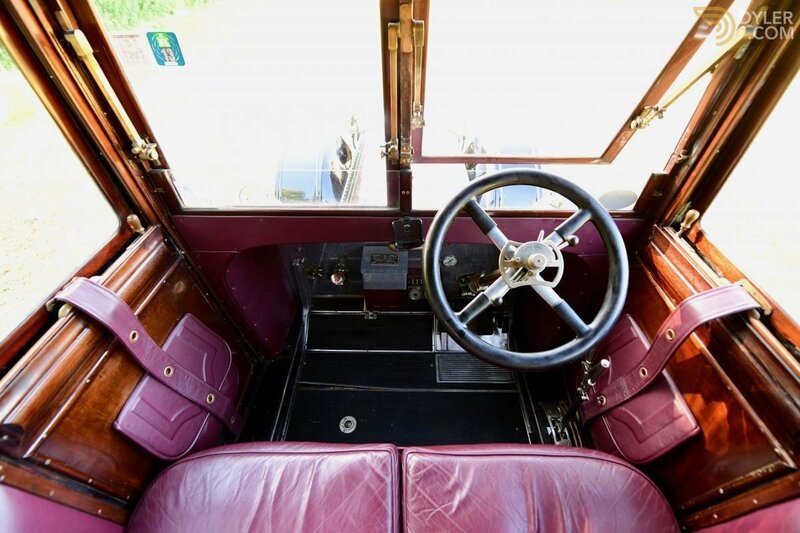 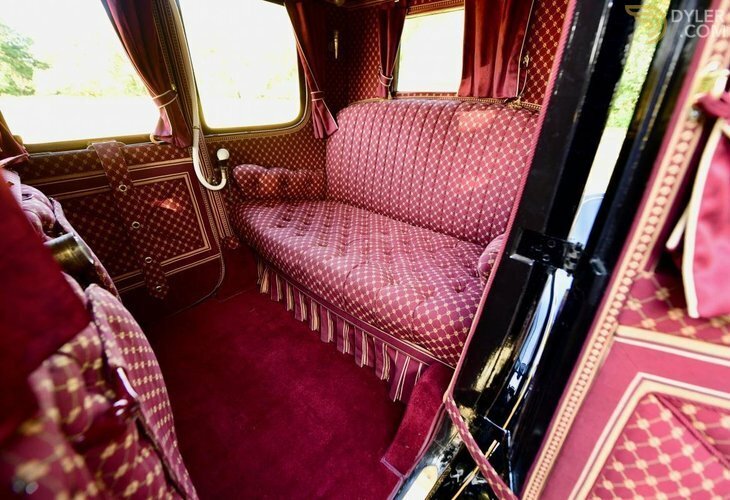 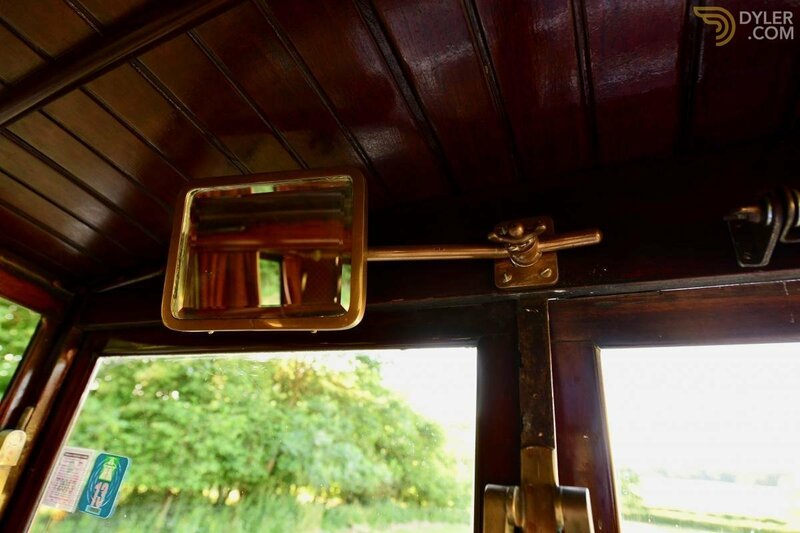 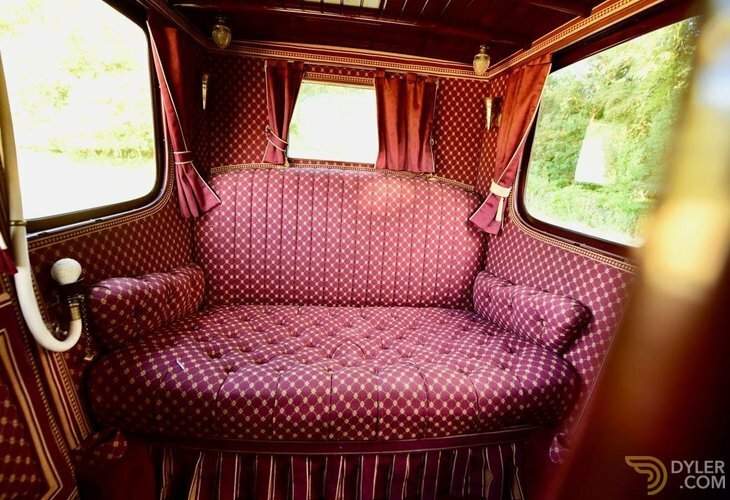 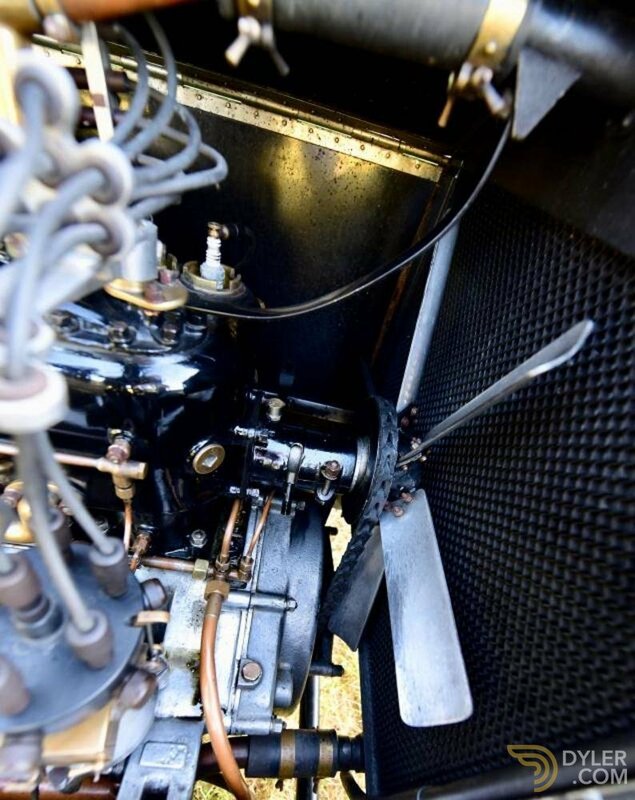 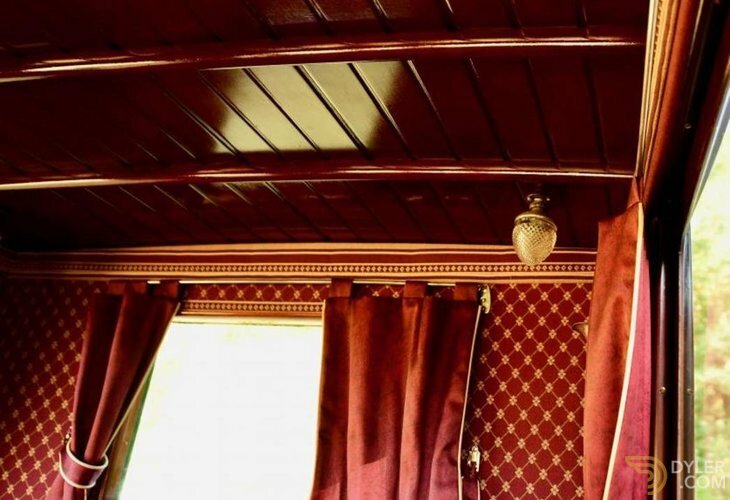 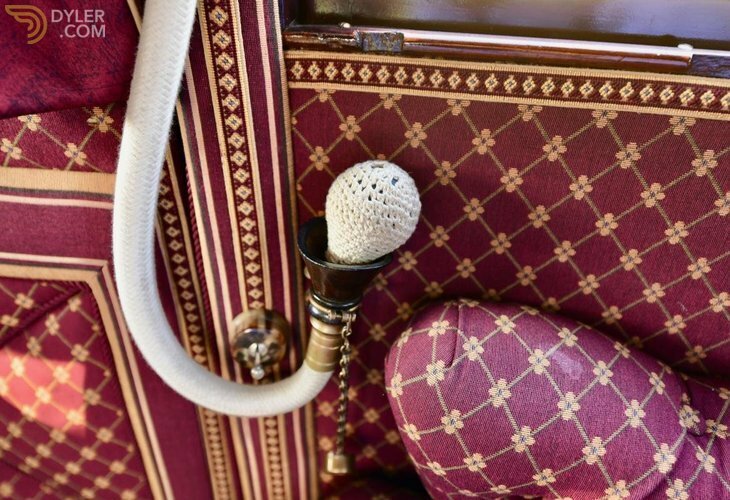 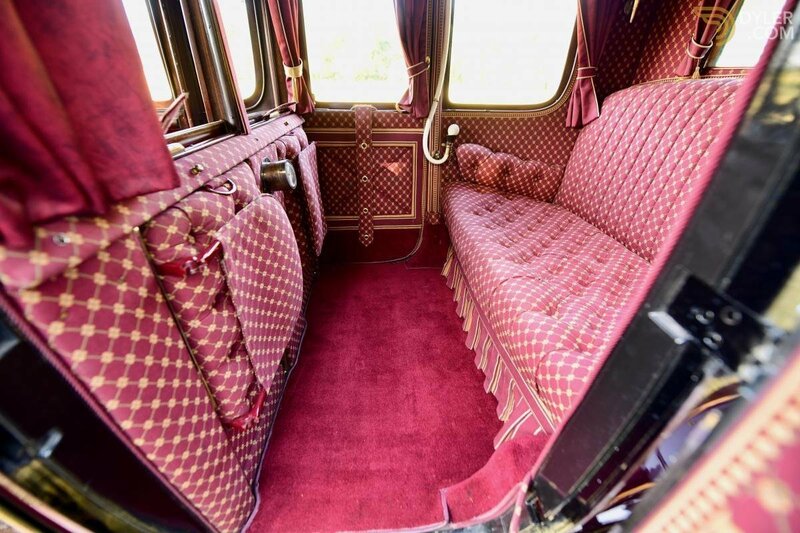 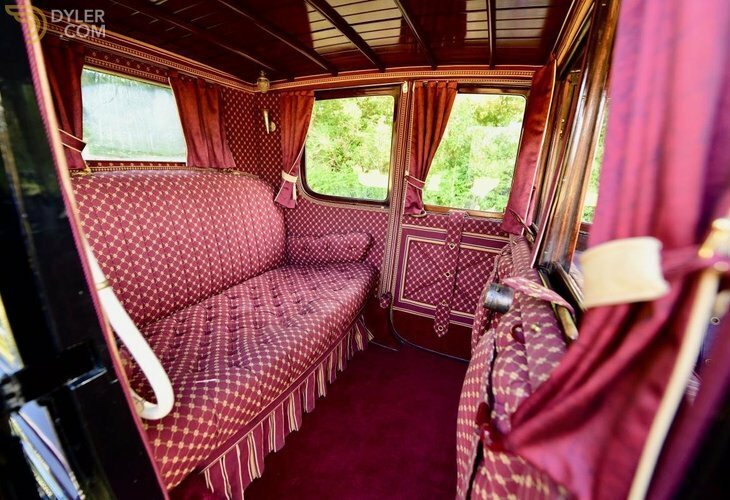 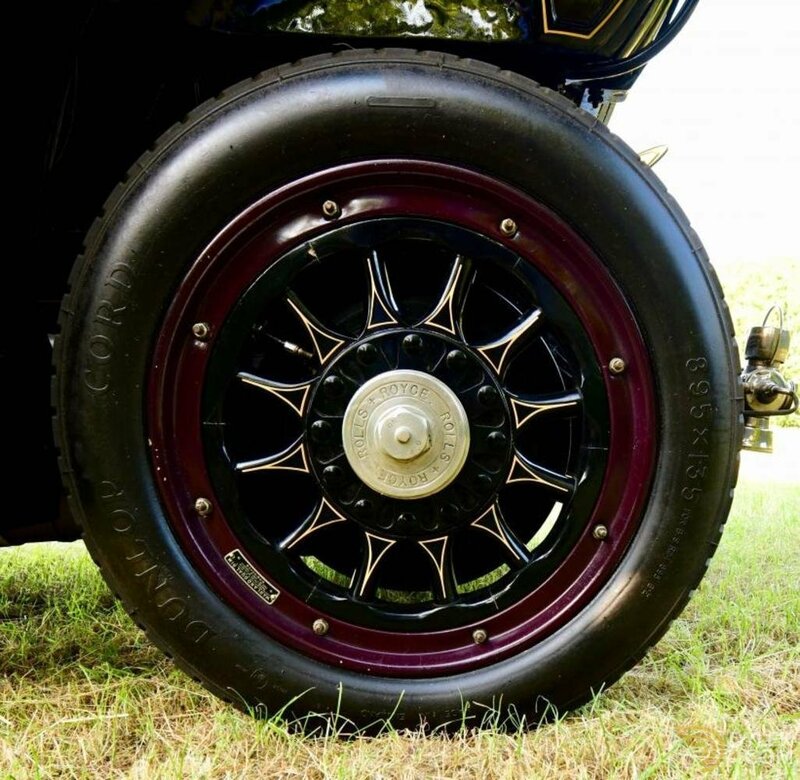 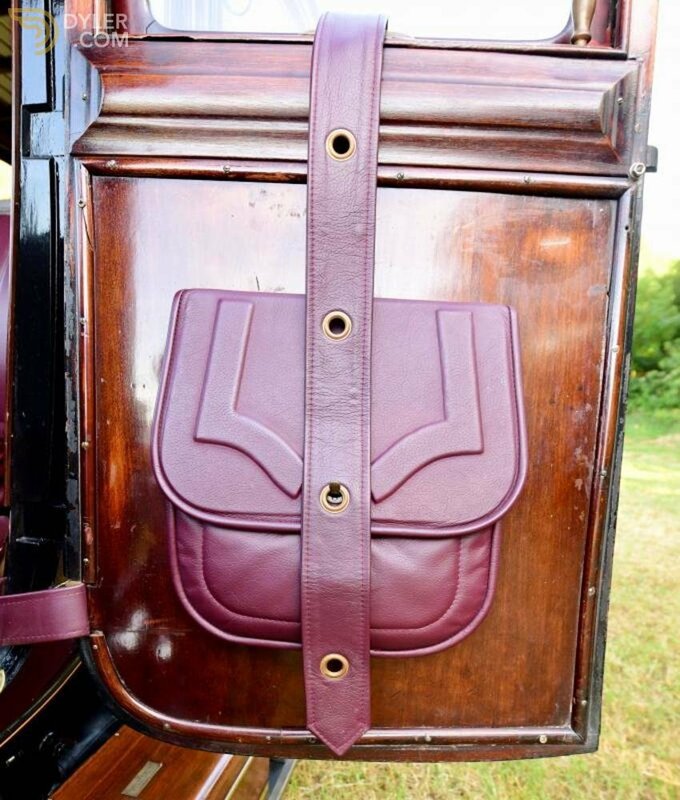 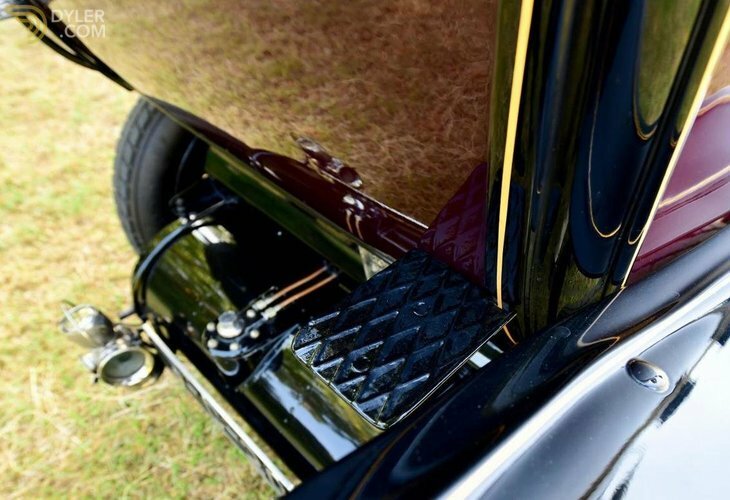 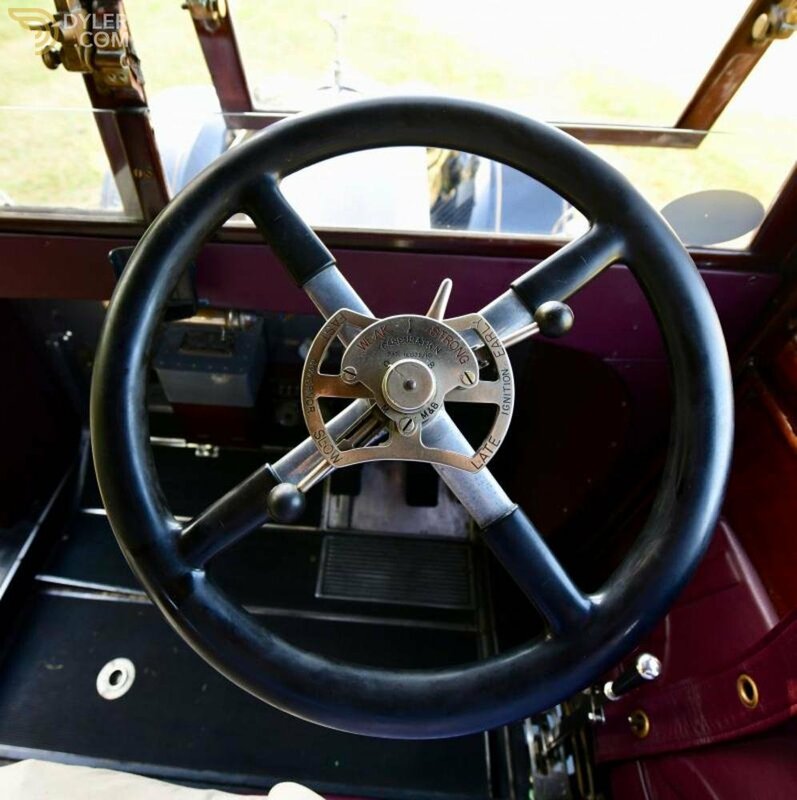 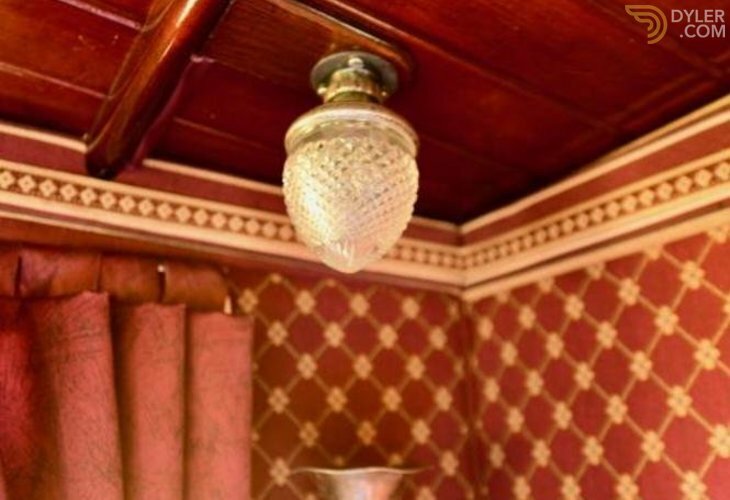 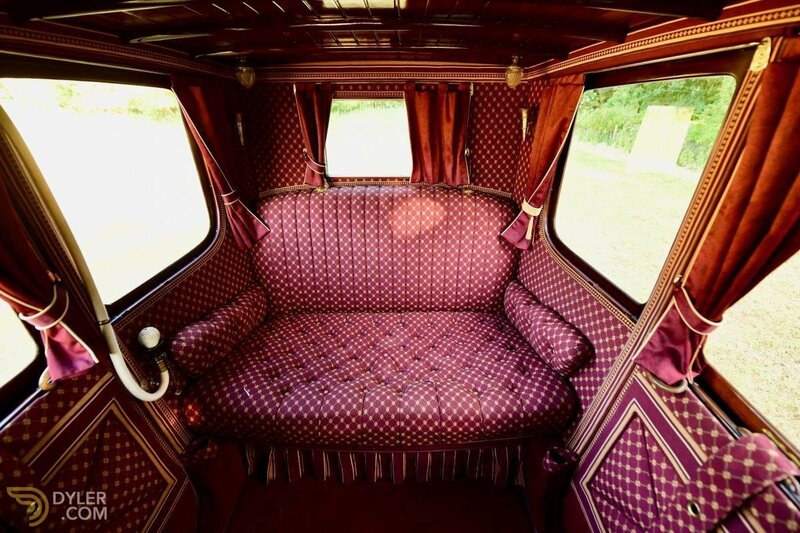 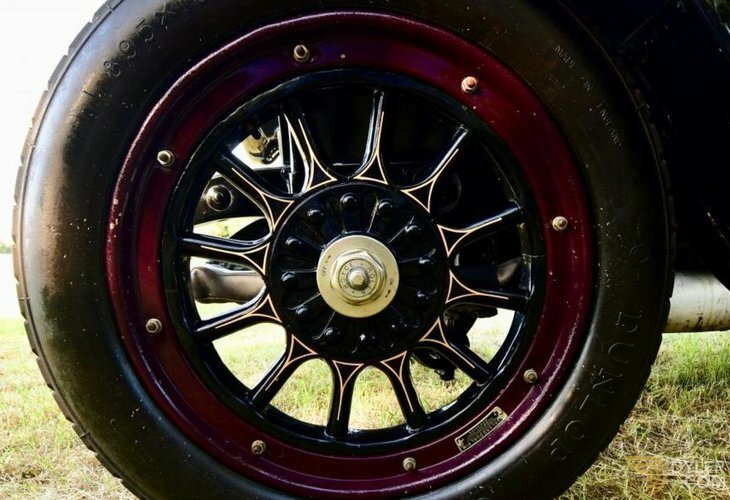 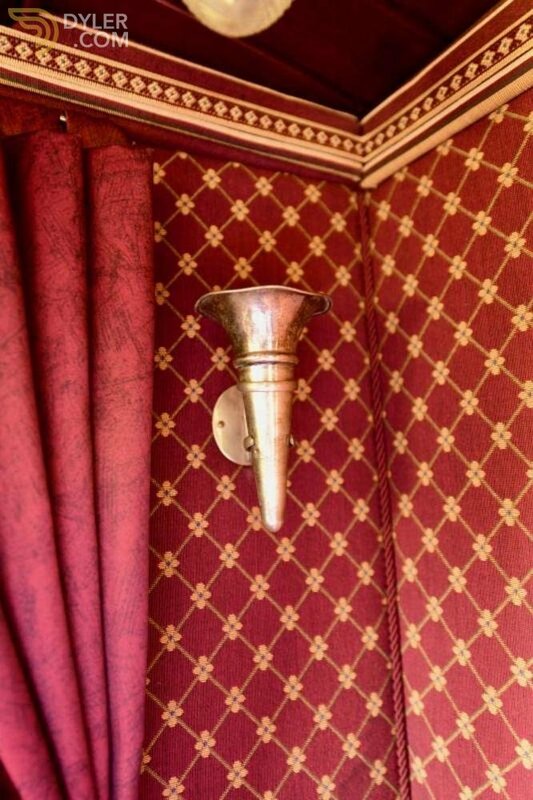 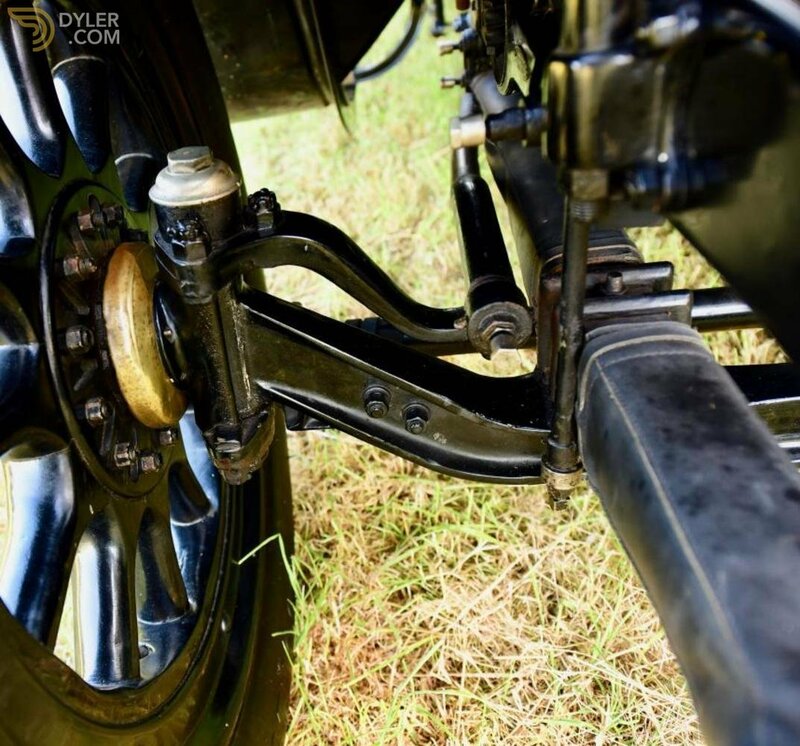 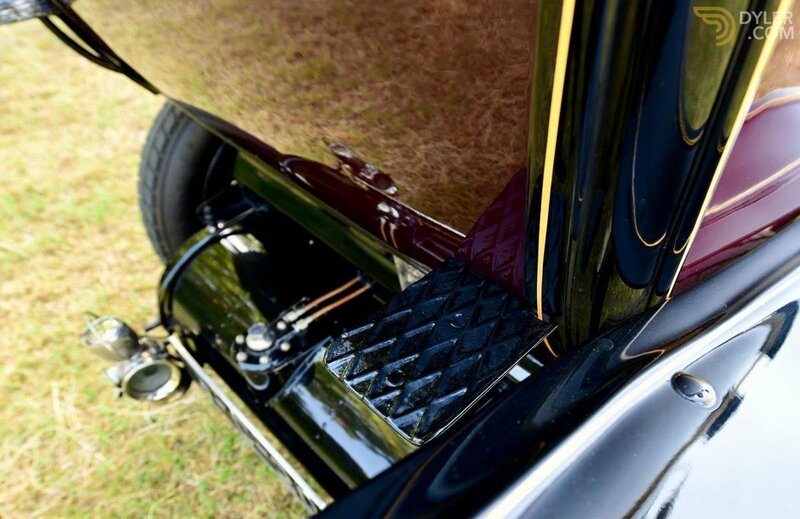 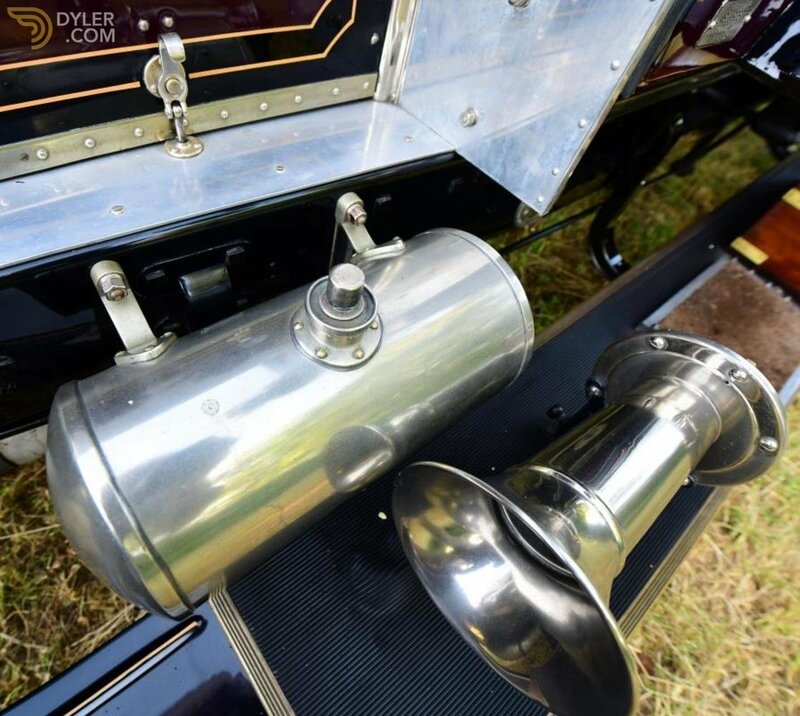 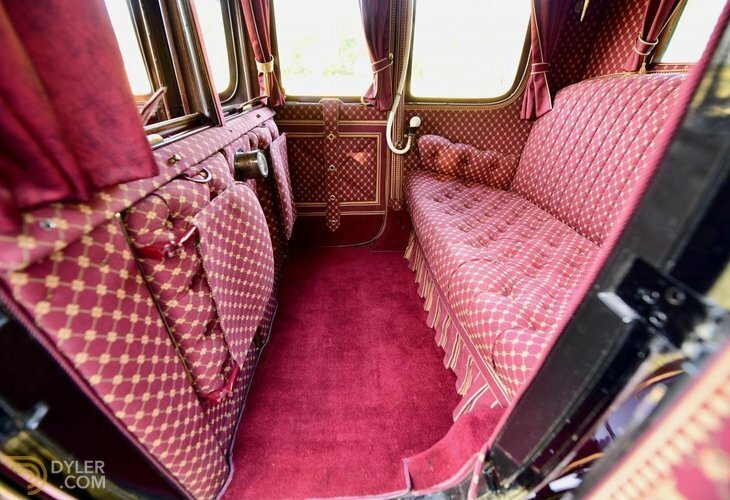 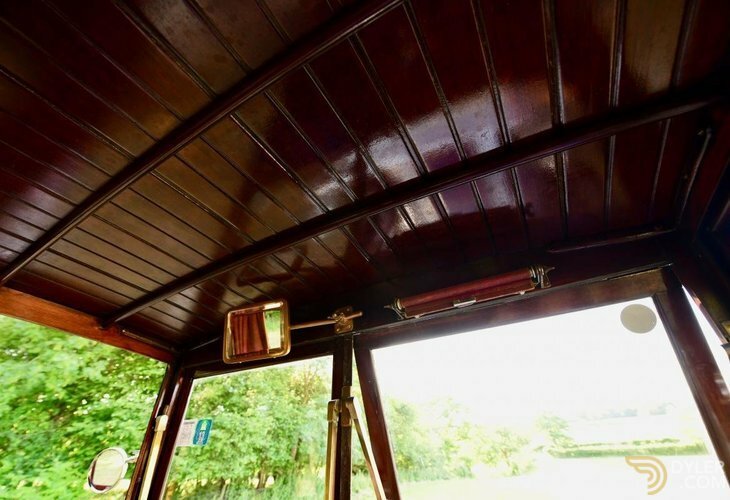 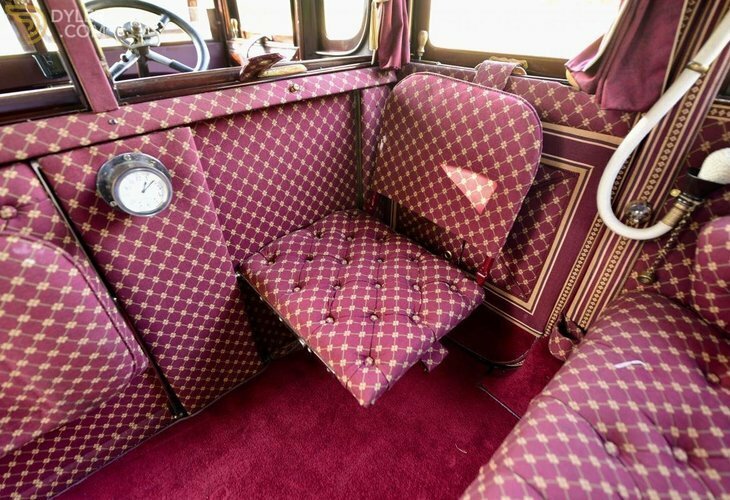 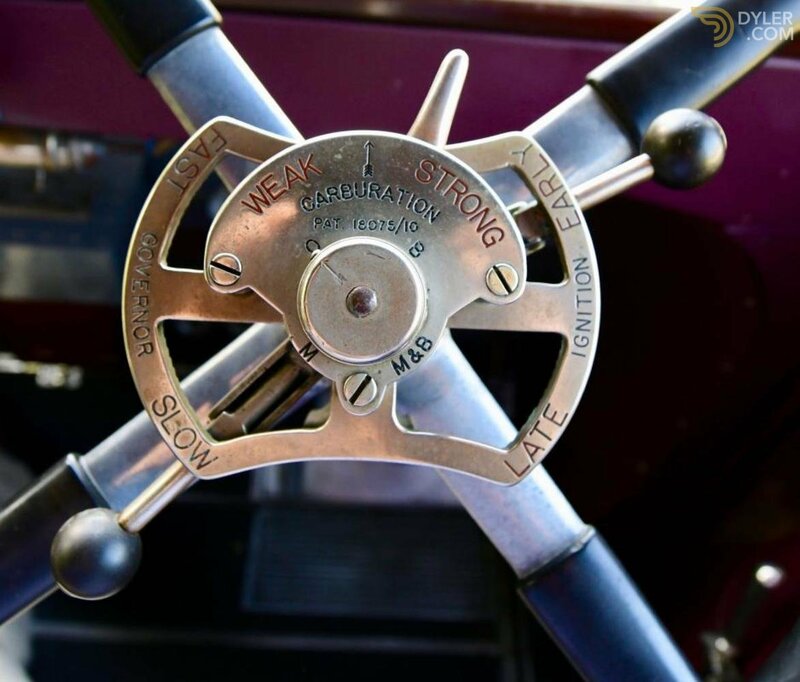 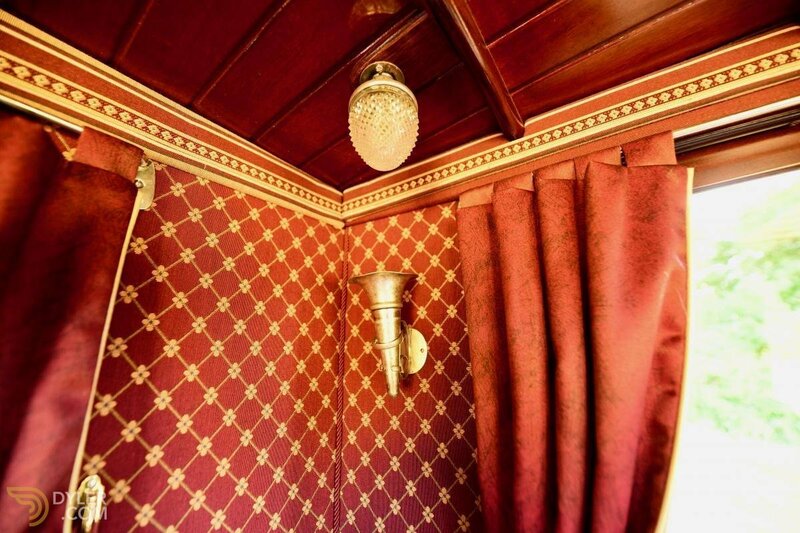 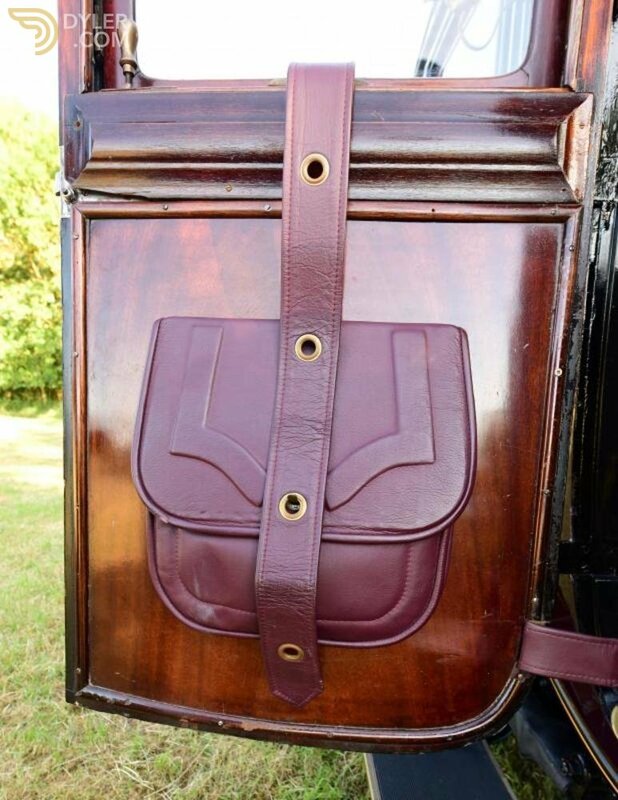 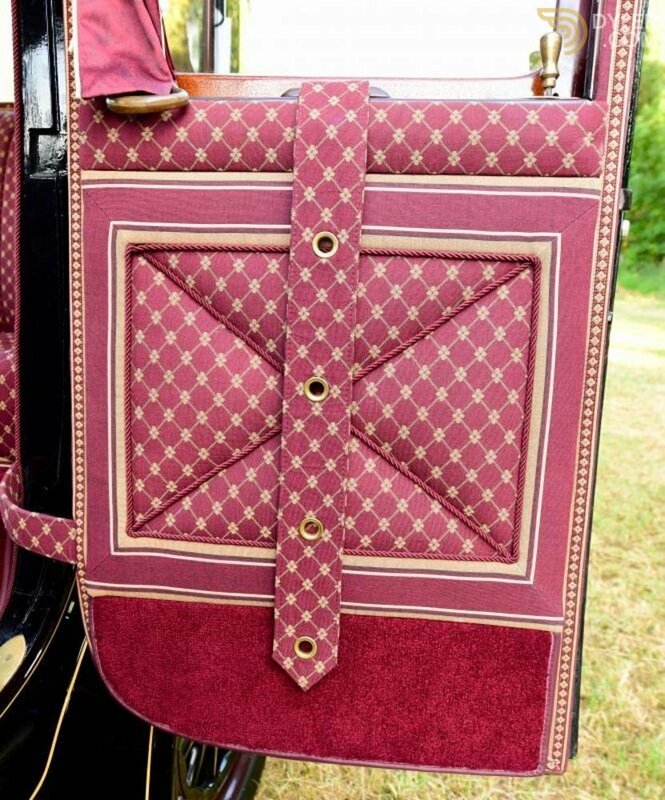 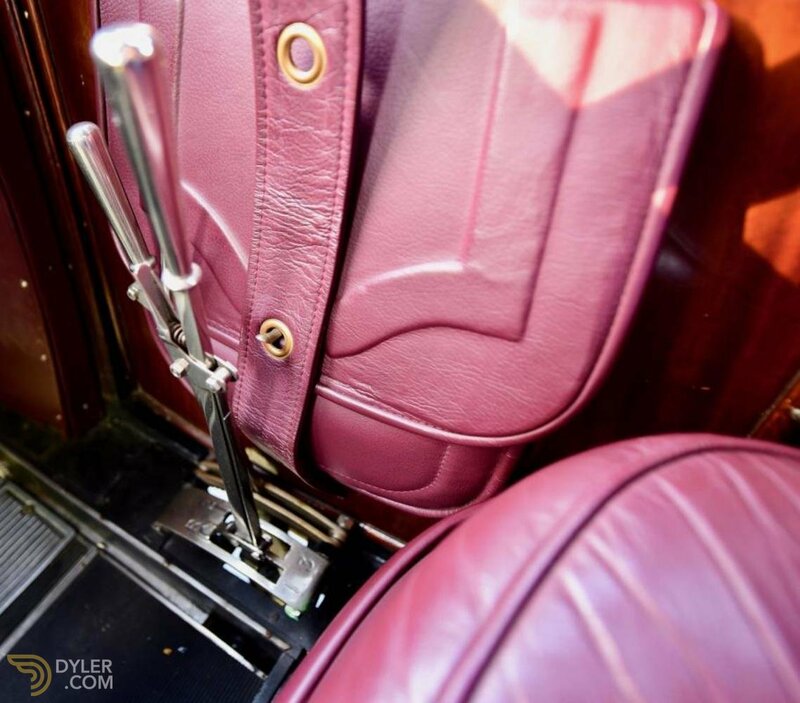 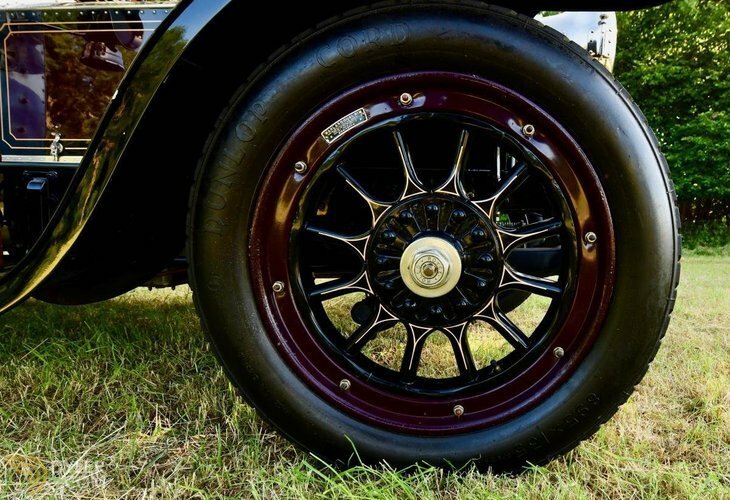 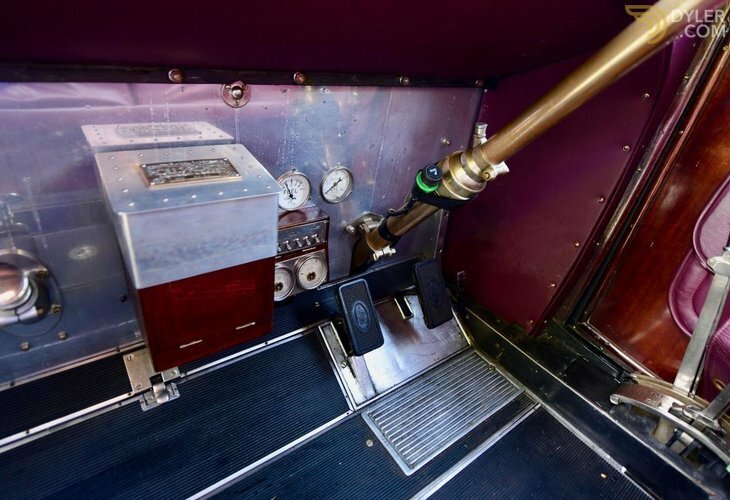 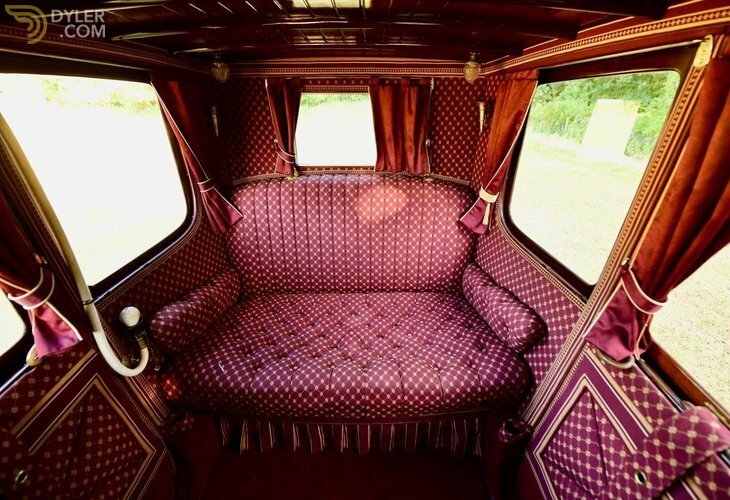 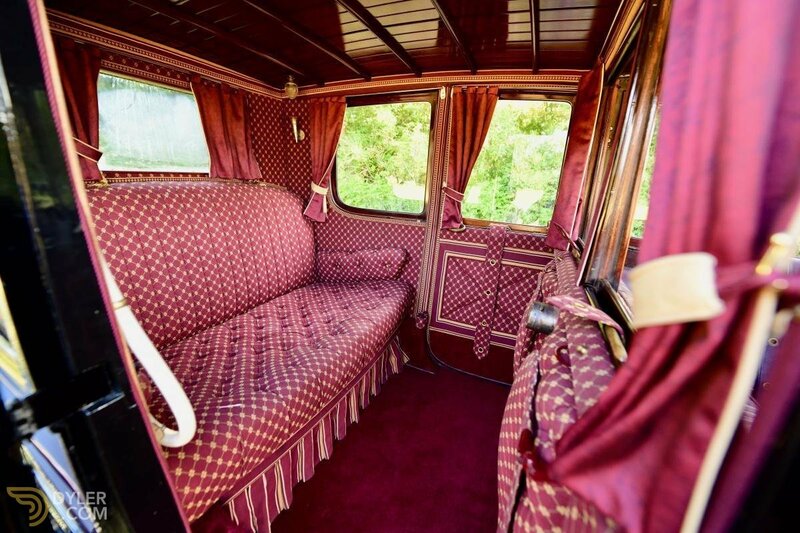 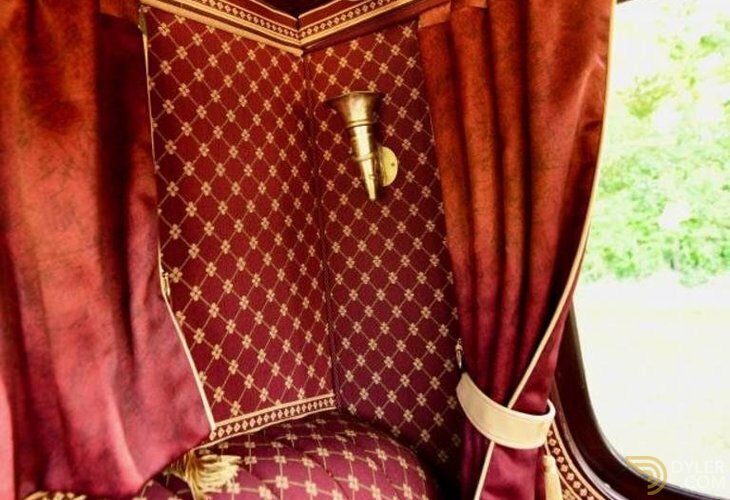 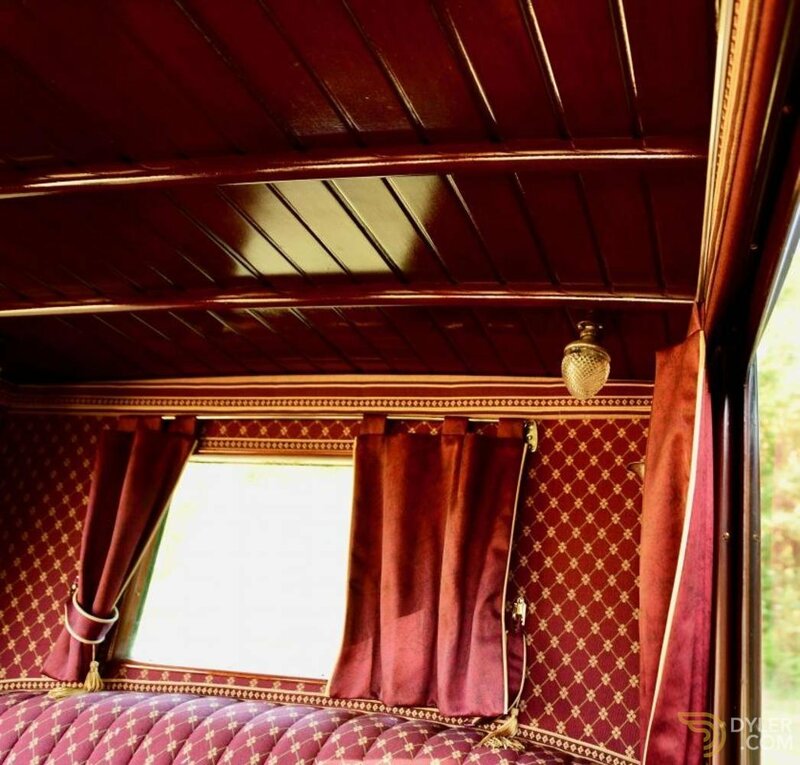 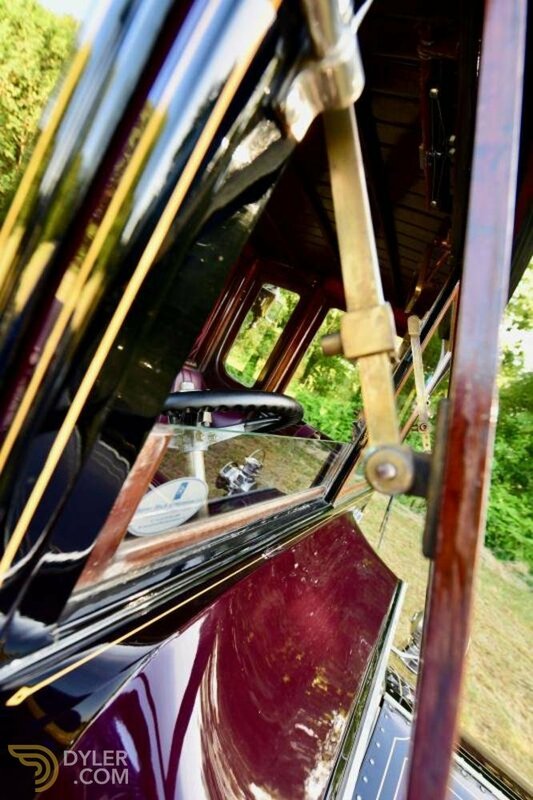 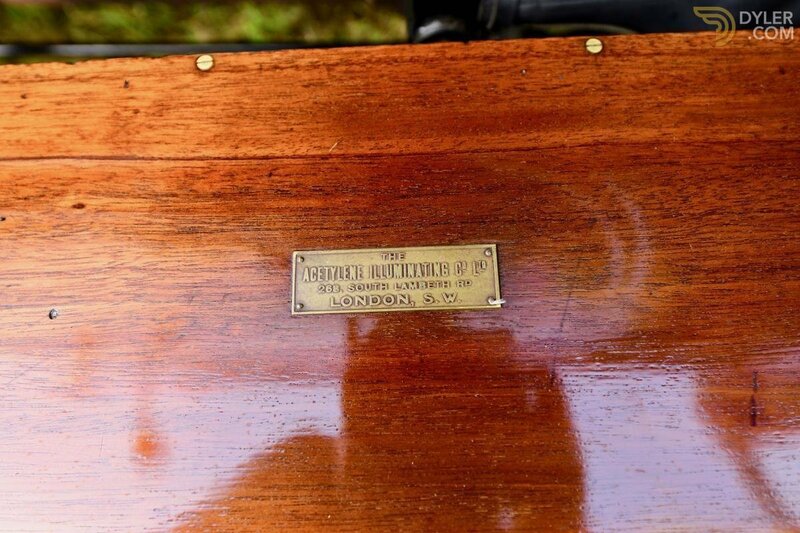 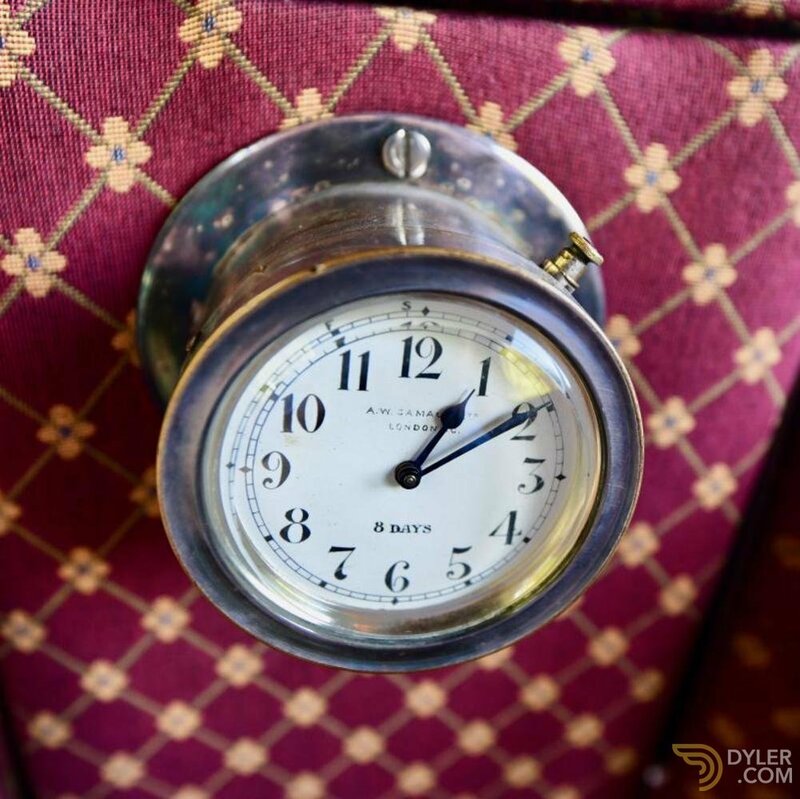 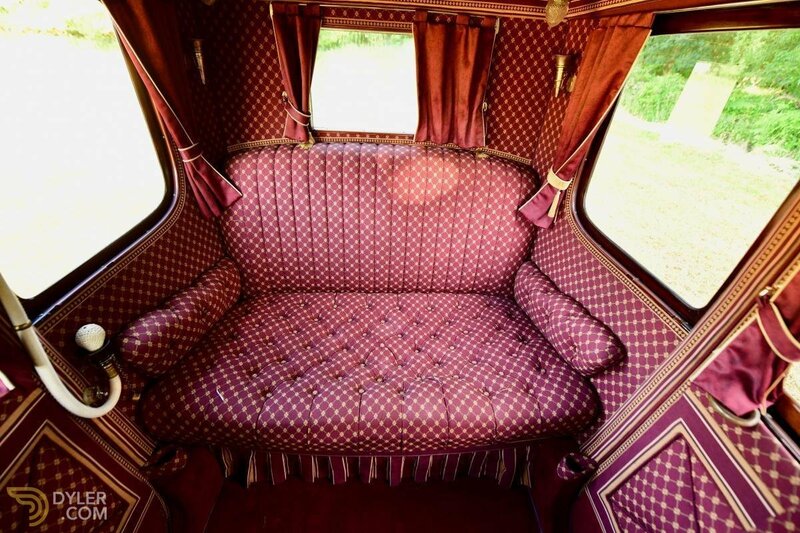 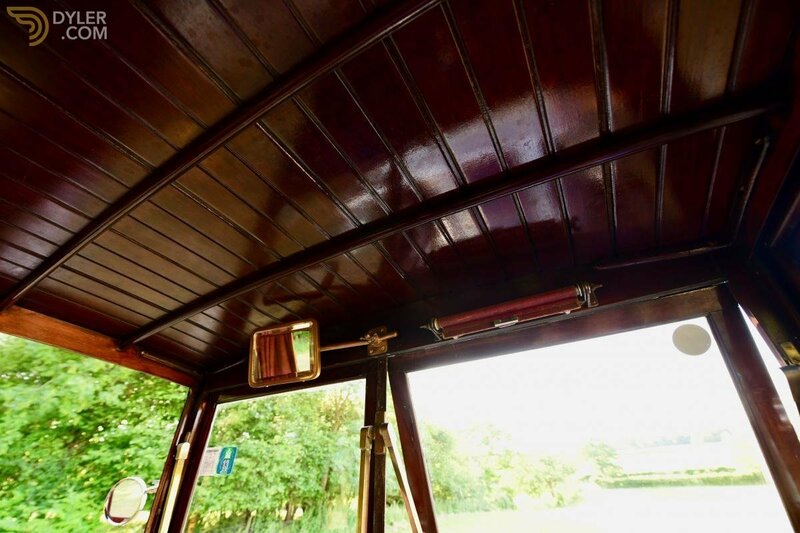 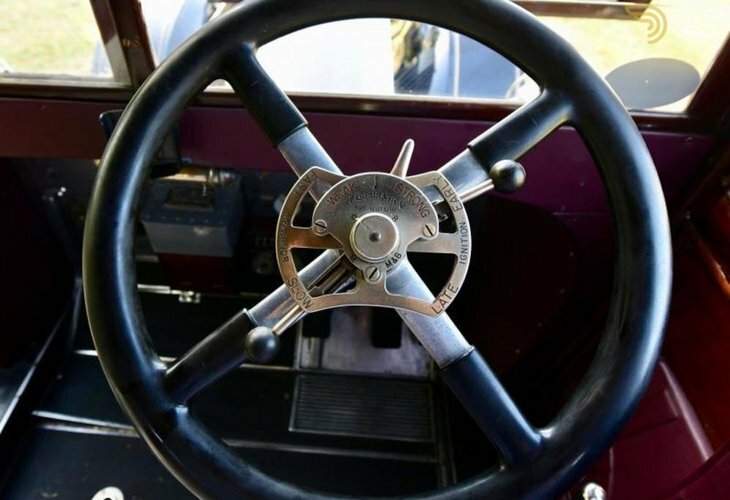 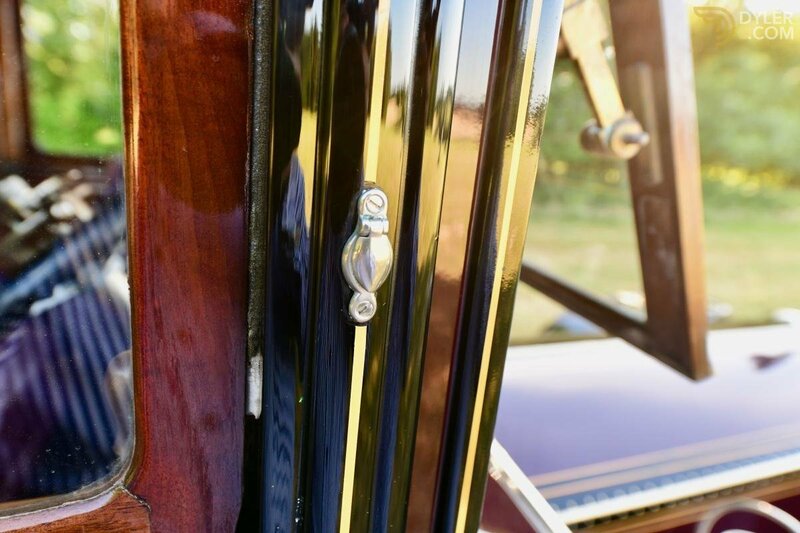 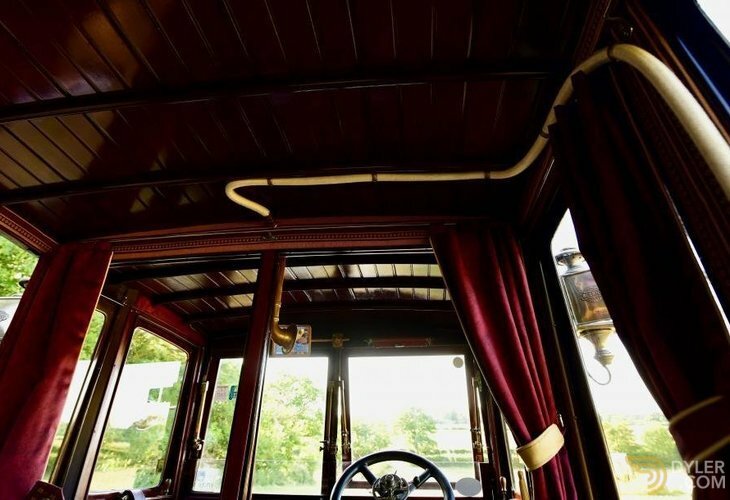 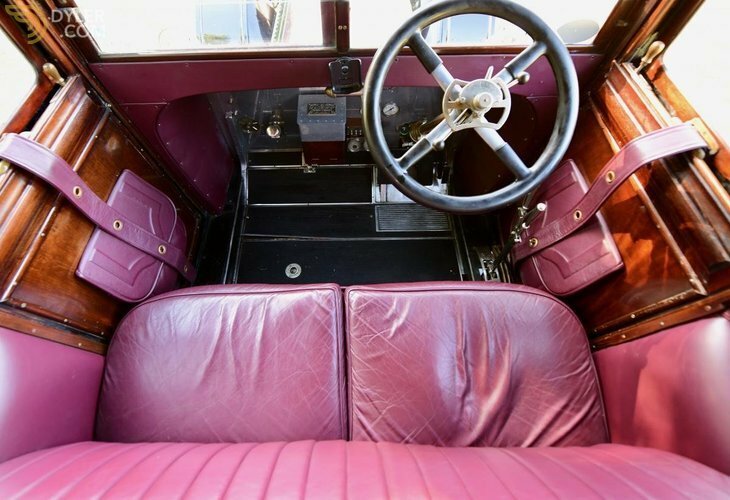 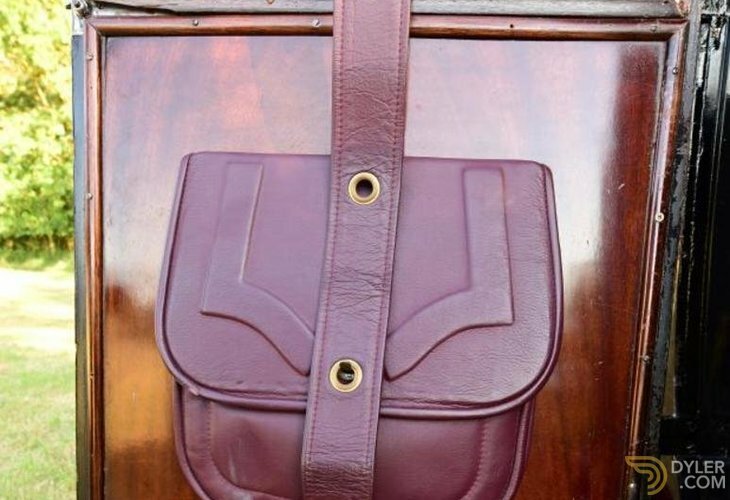 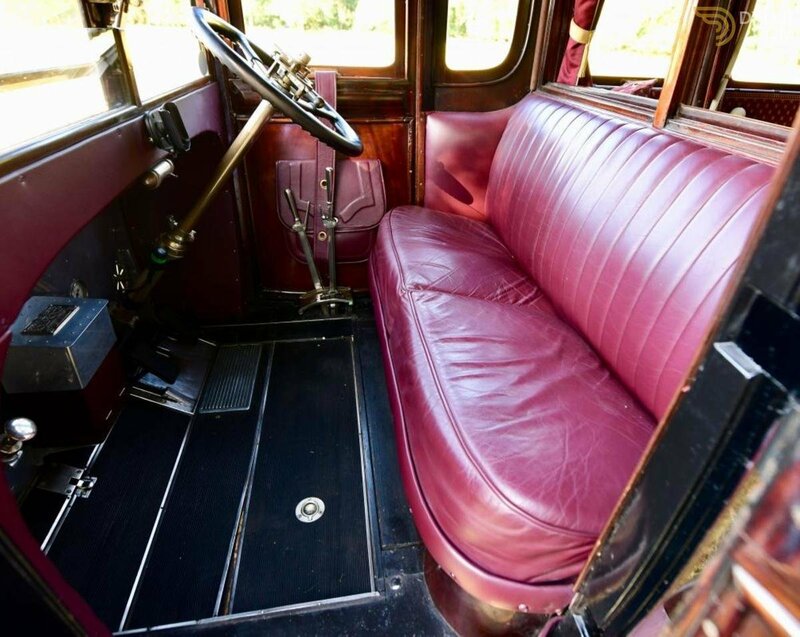 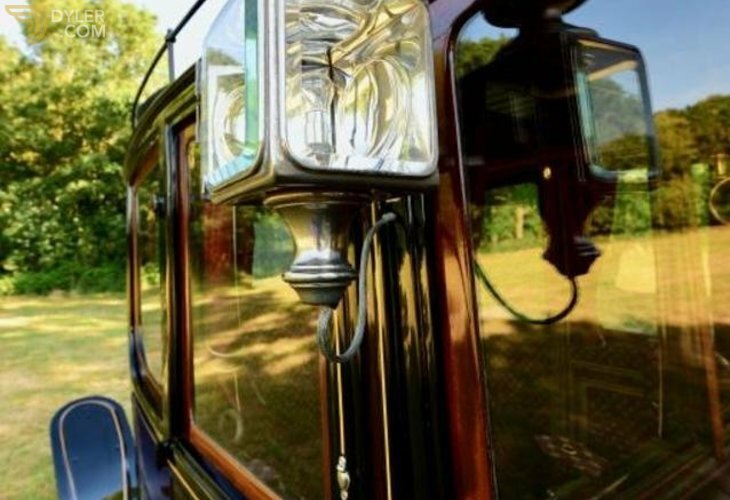 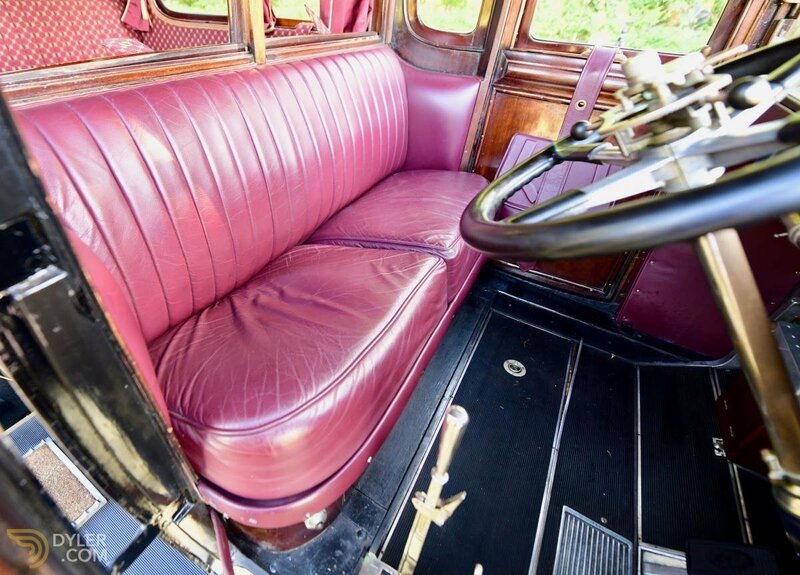 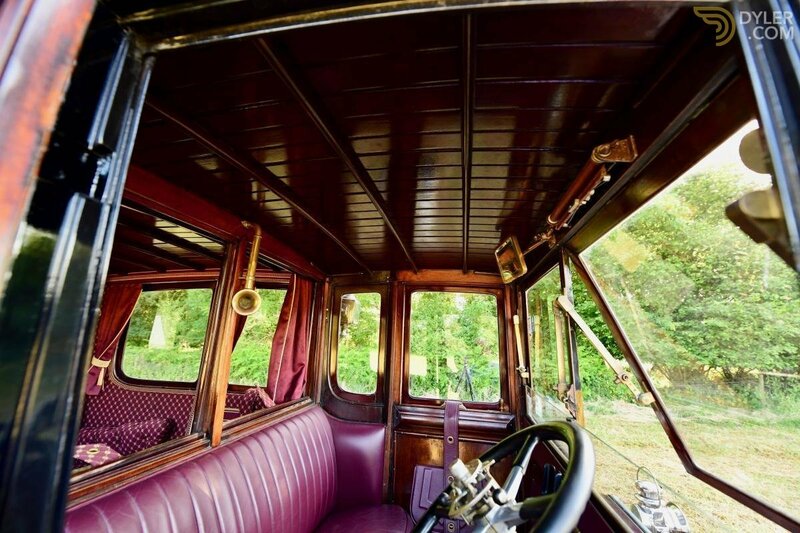 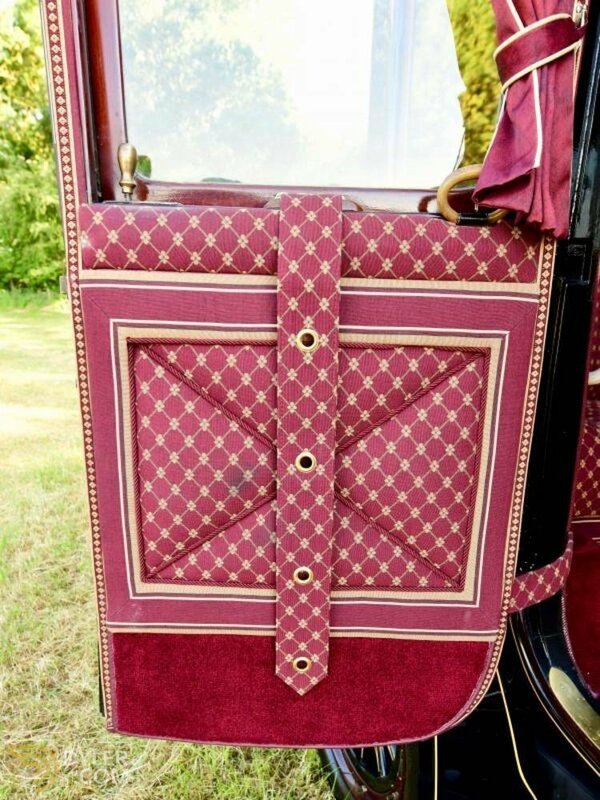 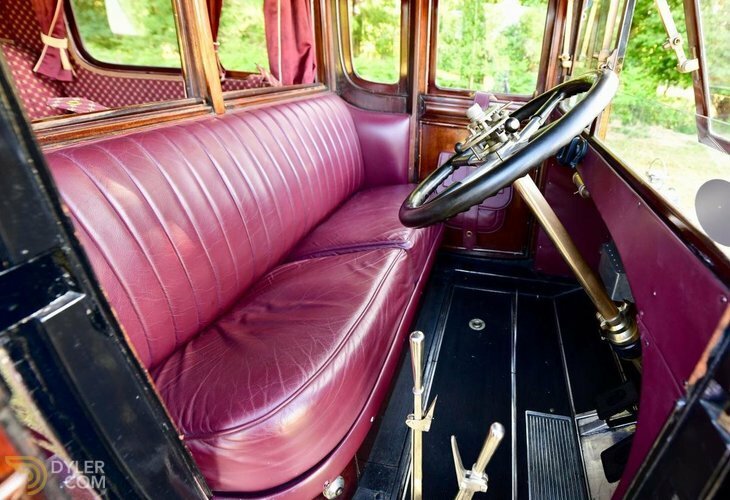 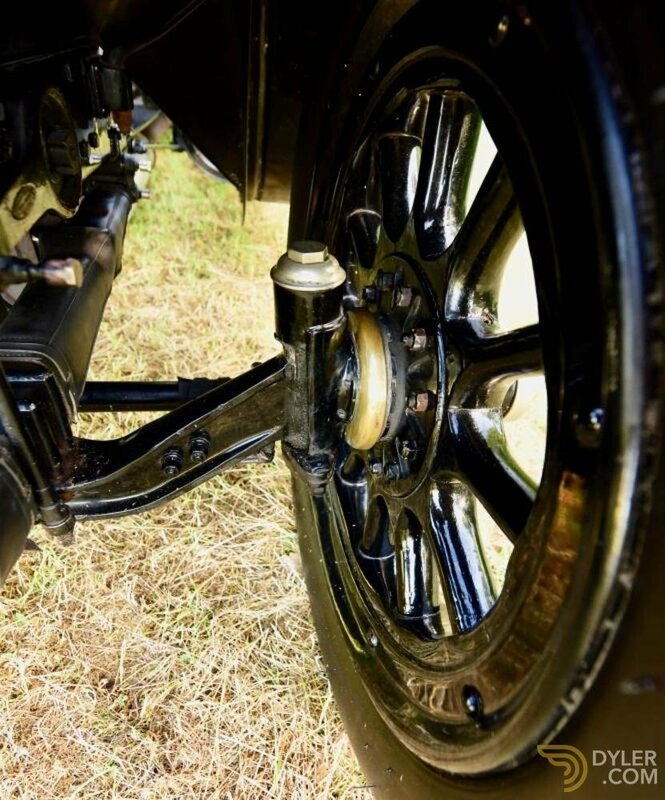 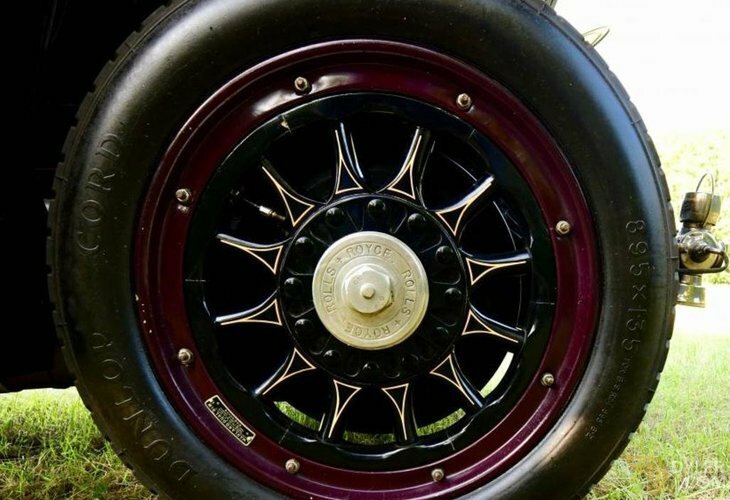 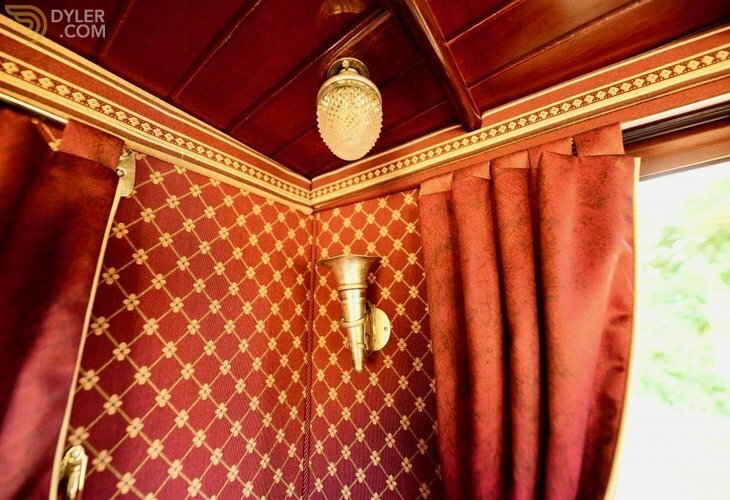 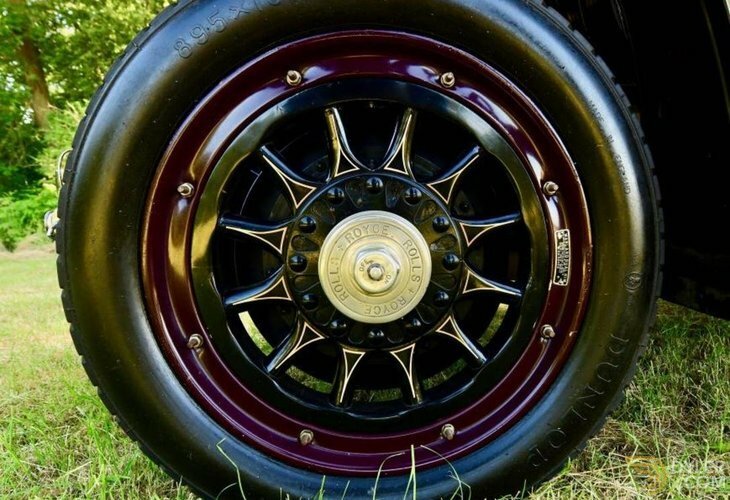 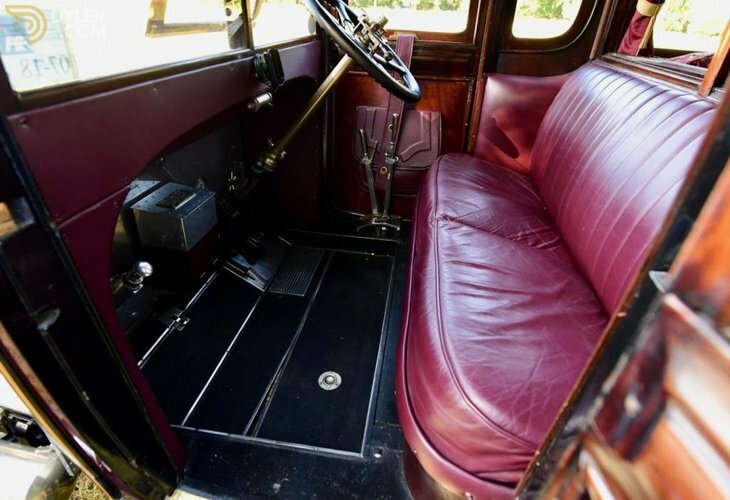 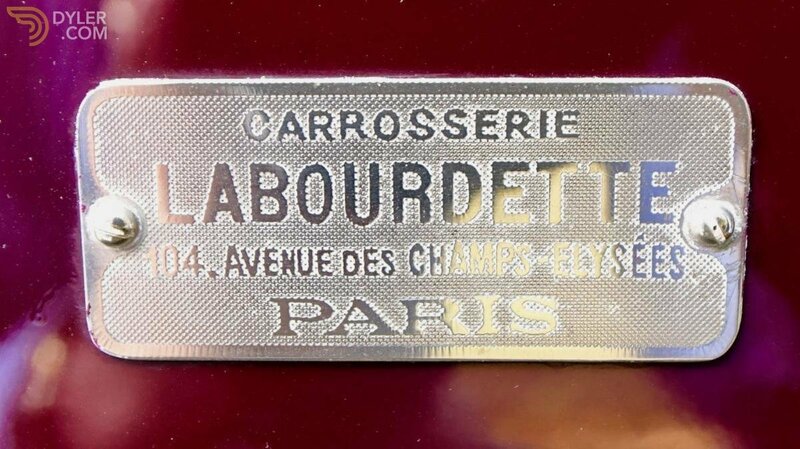 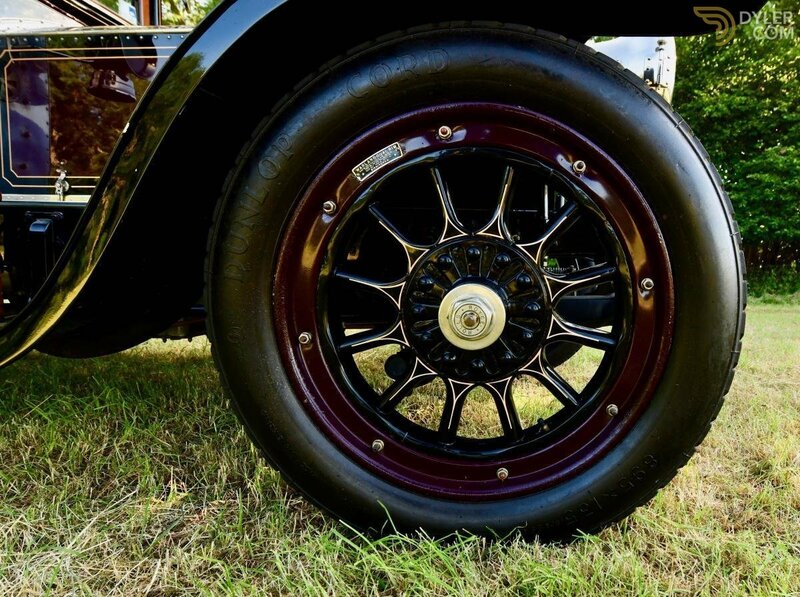 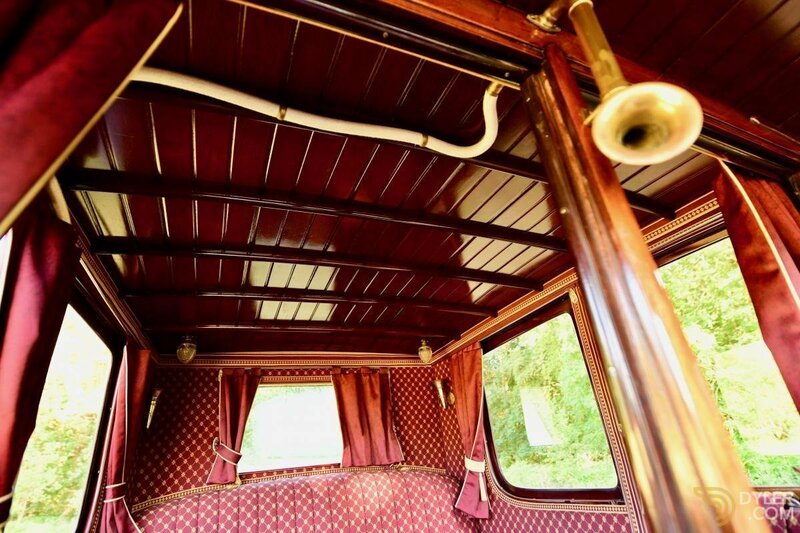 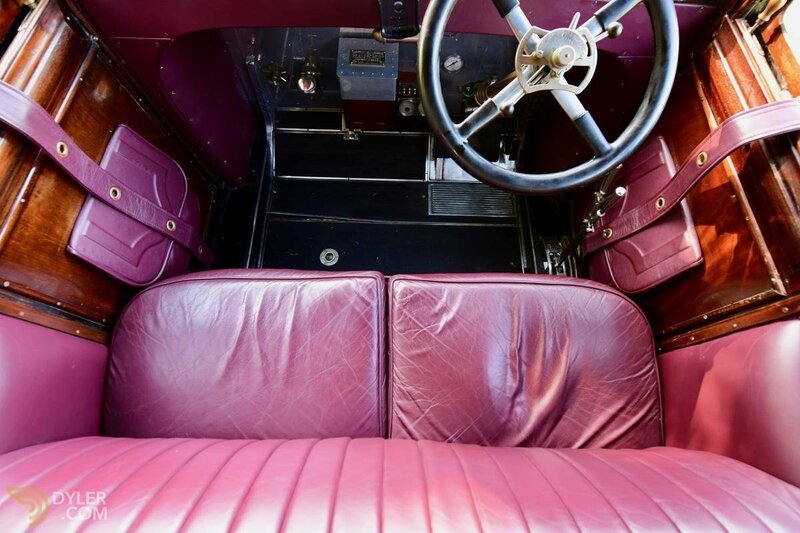 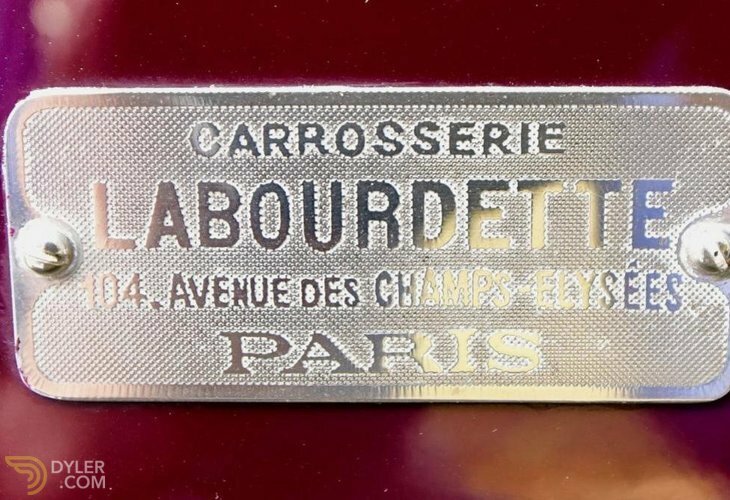 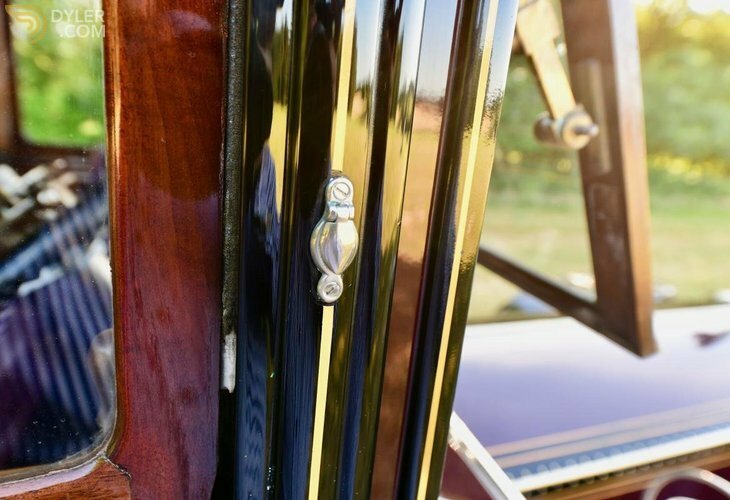 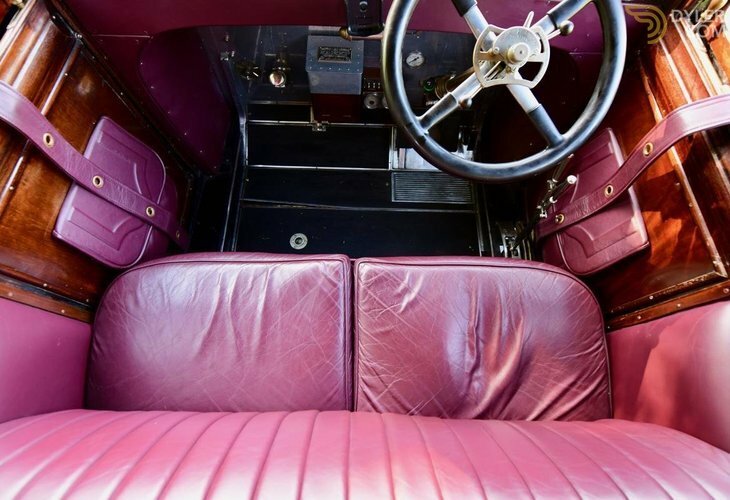 The interior trim was redone using a 1912 Delaunay Belleville by Labourdette as a template to gain authenticity. 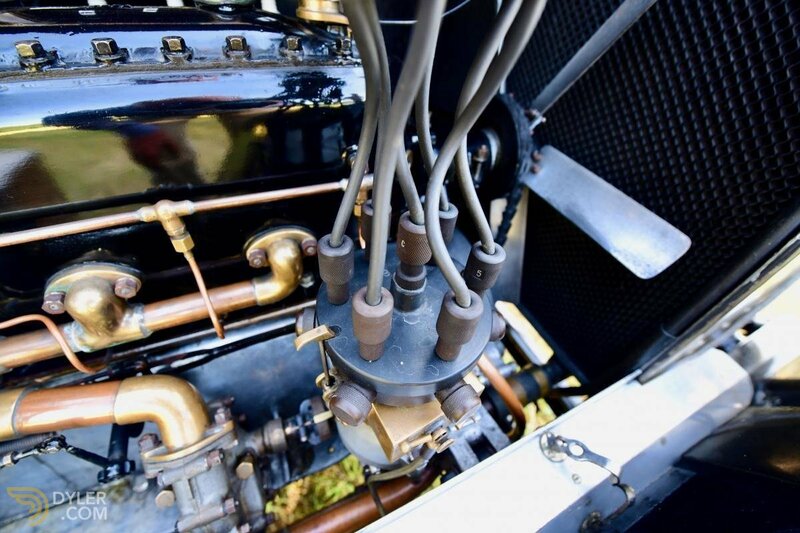 The car has been thoroughly gone through mechanically with the engine being completely rebuilt. 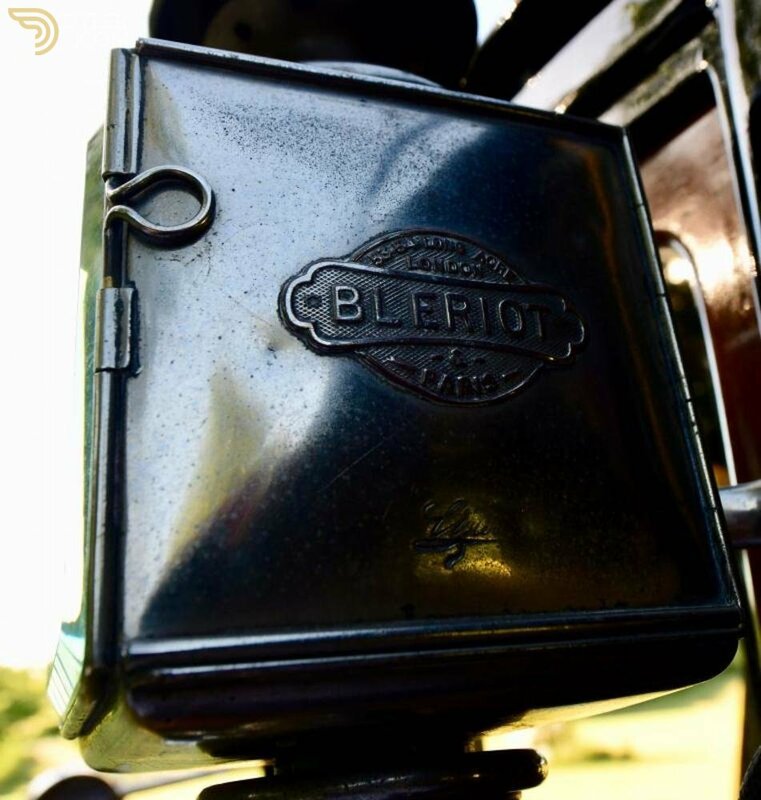 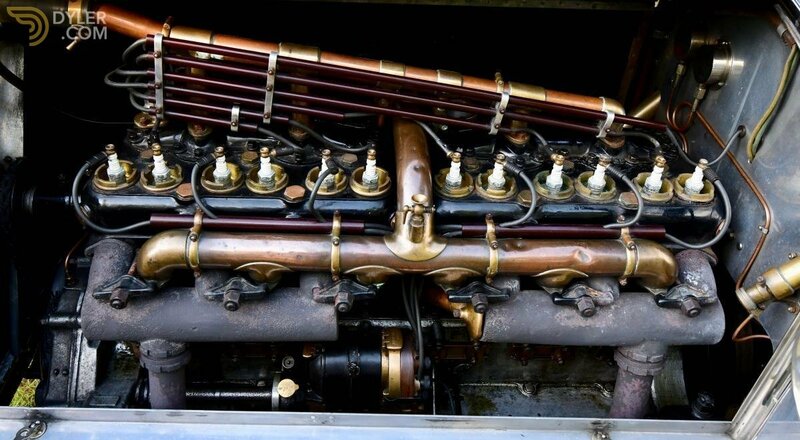 The three speed gear box is also in as new condition & is a pleasure to use. 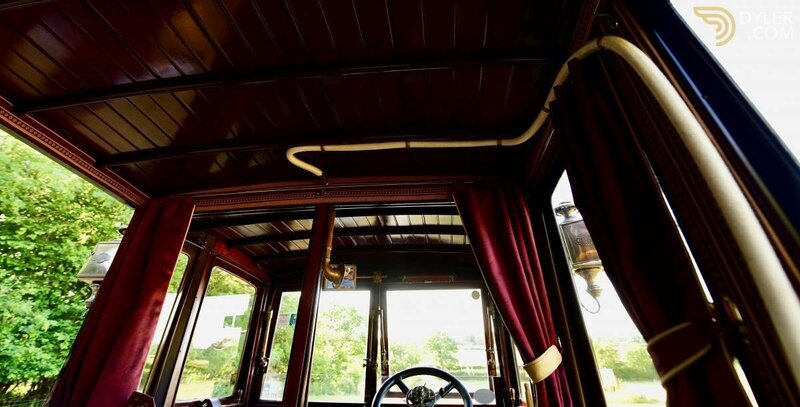 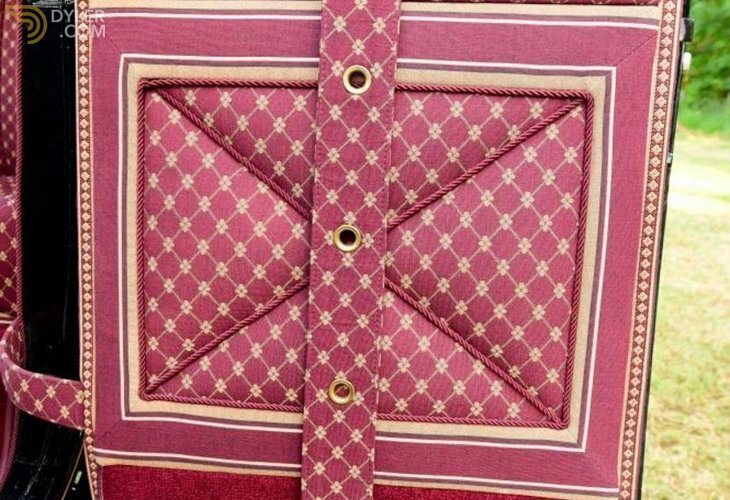 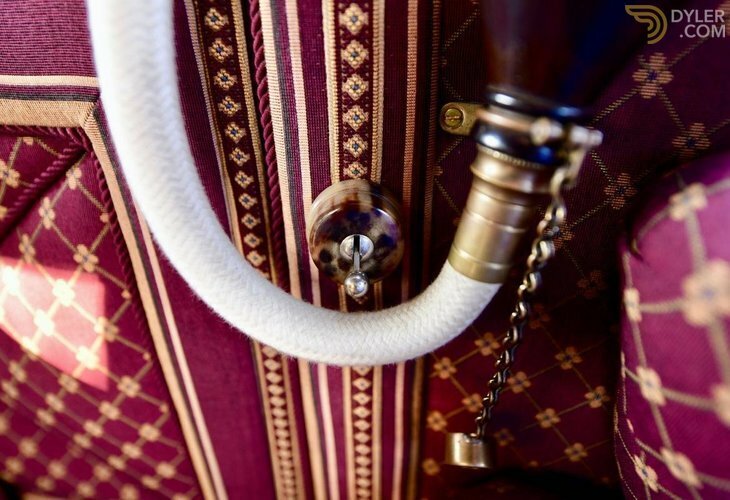 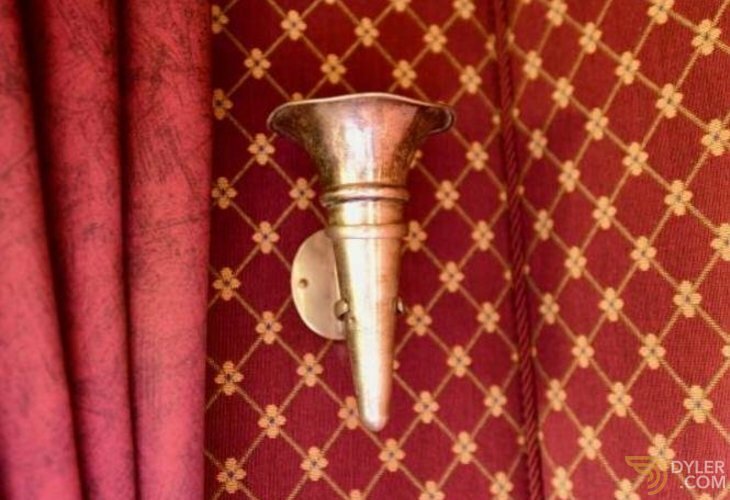 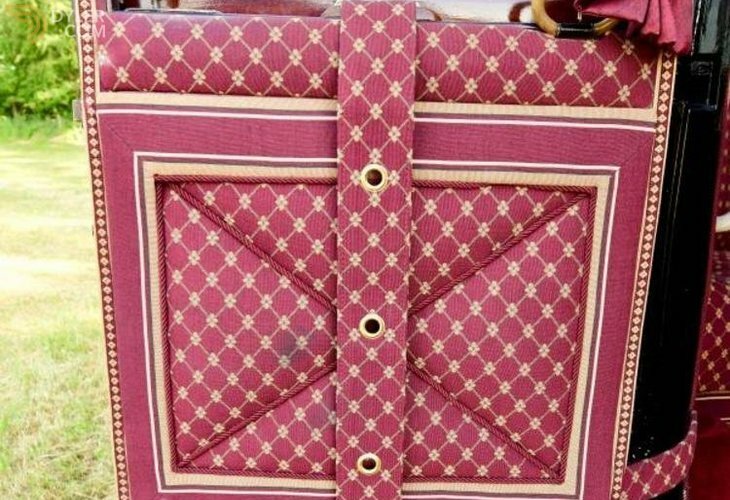 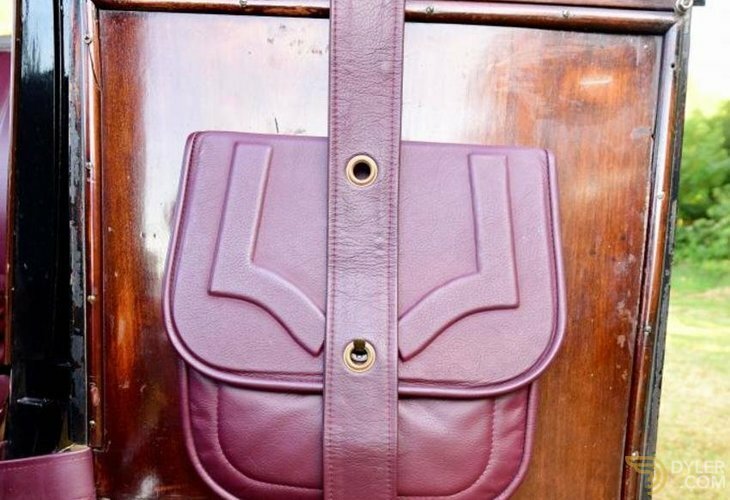 The windows & central division are all manually operated using brocade pull straps to raise & lower them. 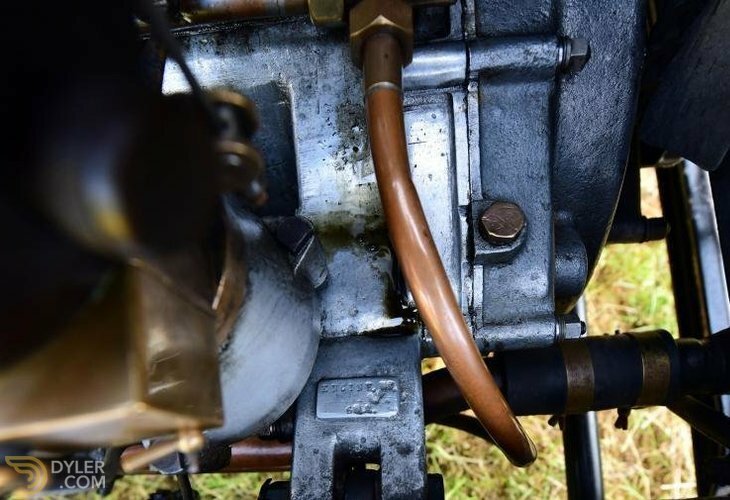 Lacking an electric starter the car starts easily off the retard lever/trembler coil duo once six turns of the engine have been done on the srarting handle. 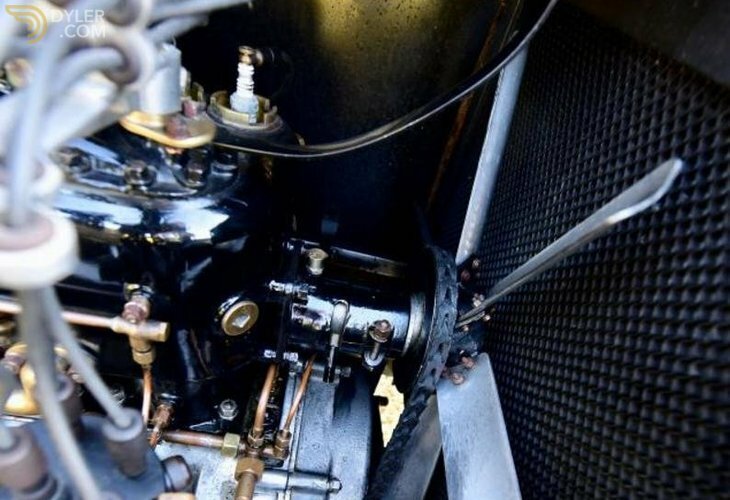 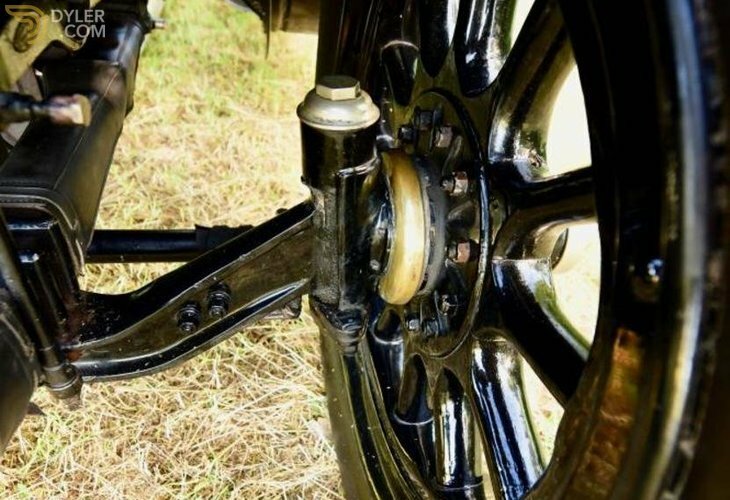 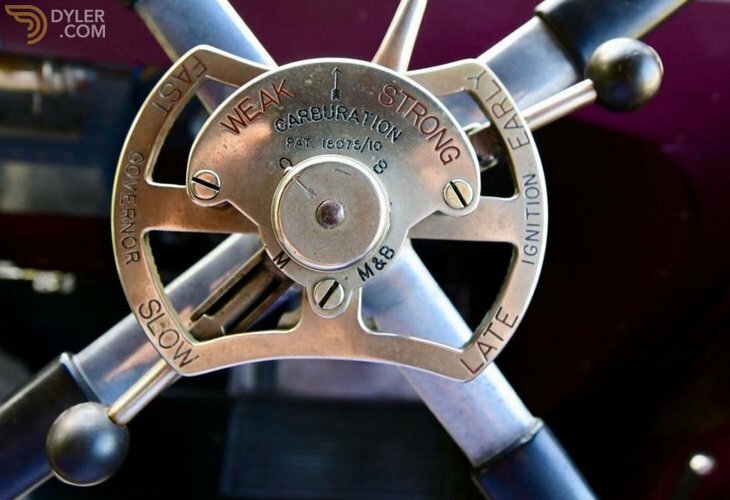 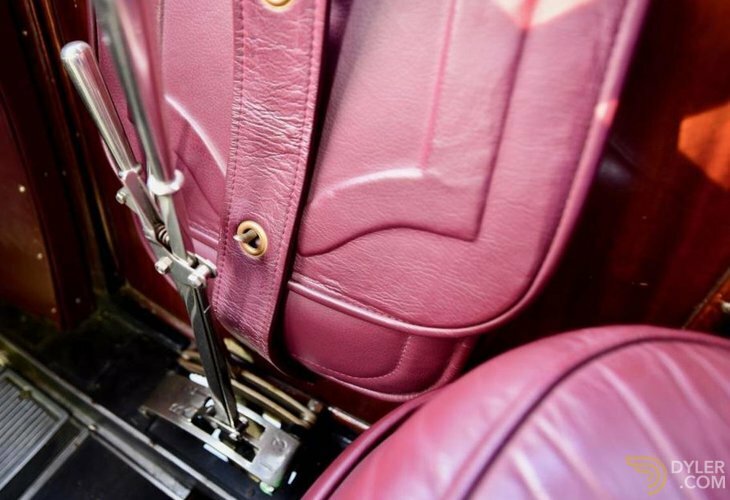 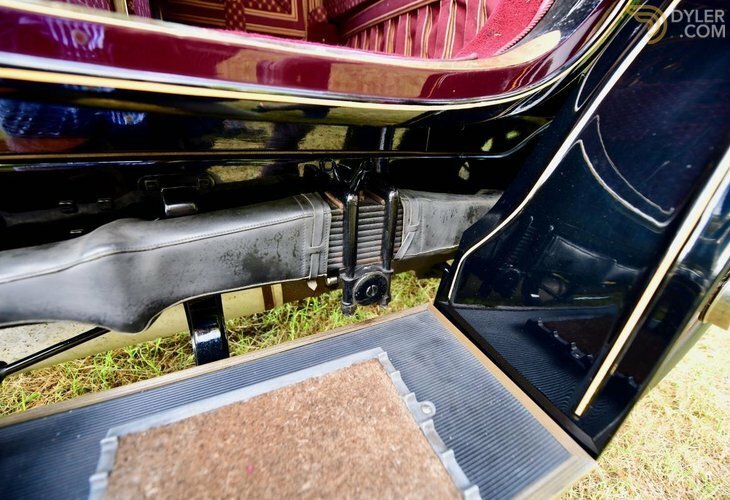 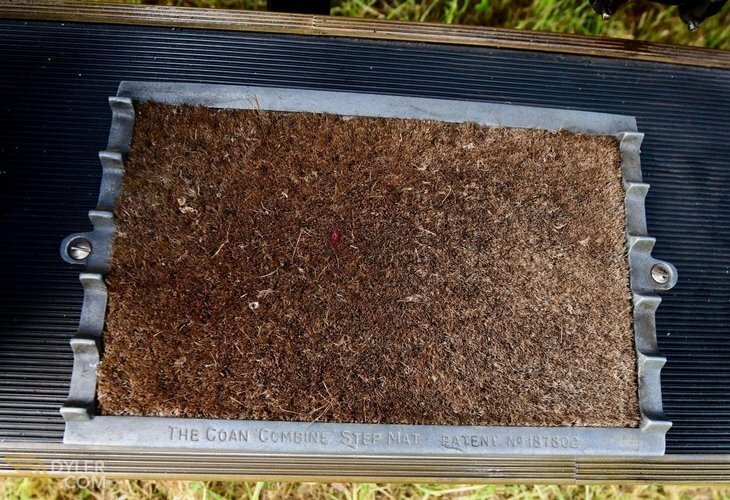 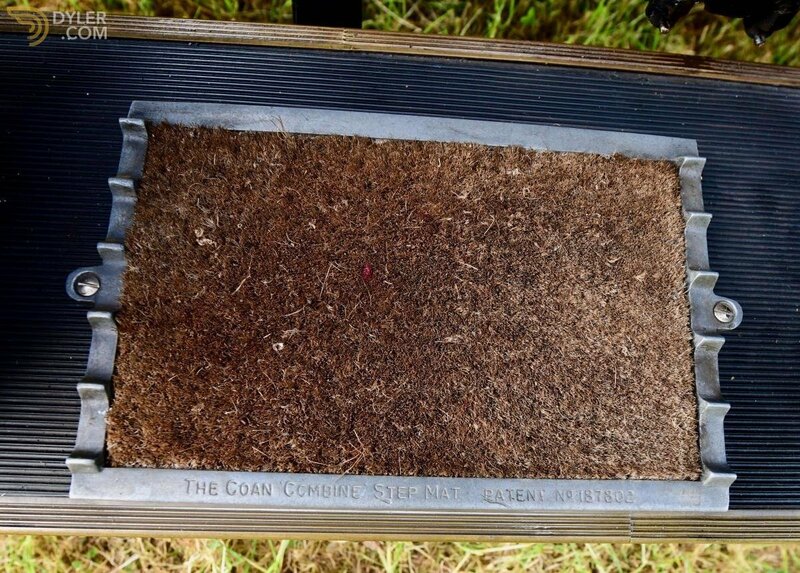 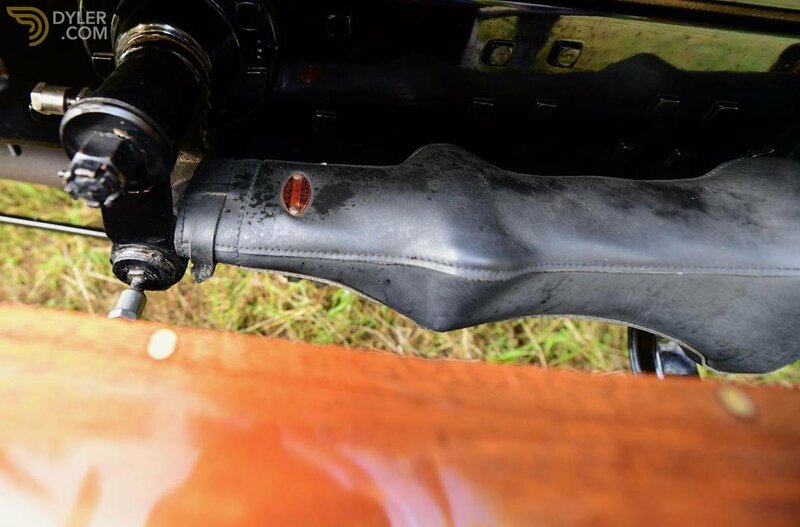 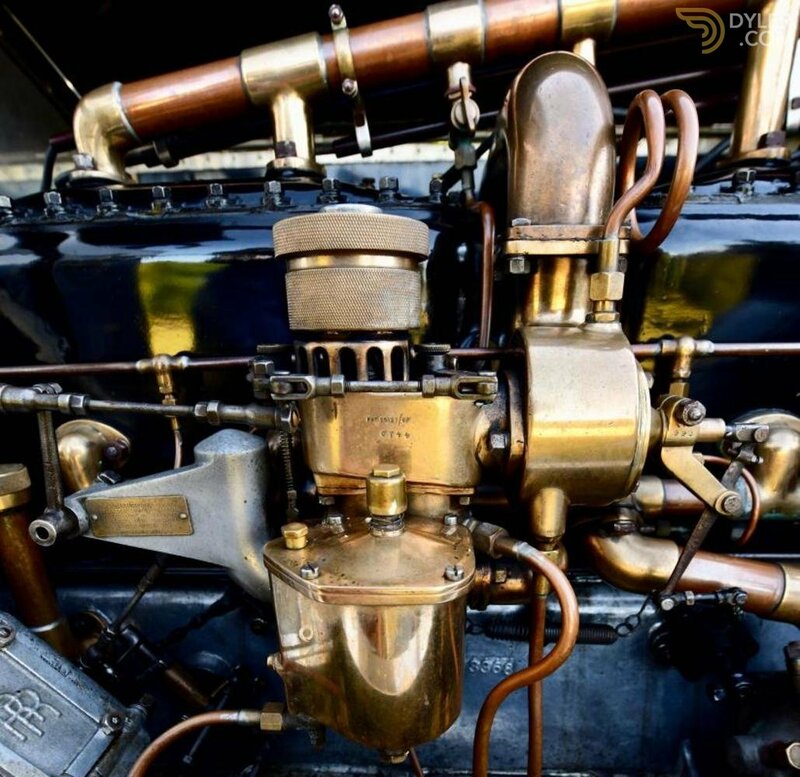 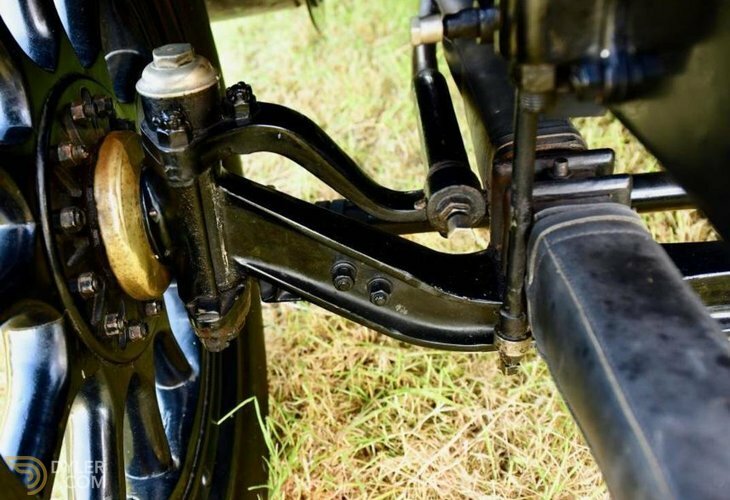 The car holds compression well & once warrm starts most times by simply retarding the ignition. Ring gear could easily be added for a modern starter should a future purchaser so desire. 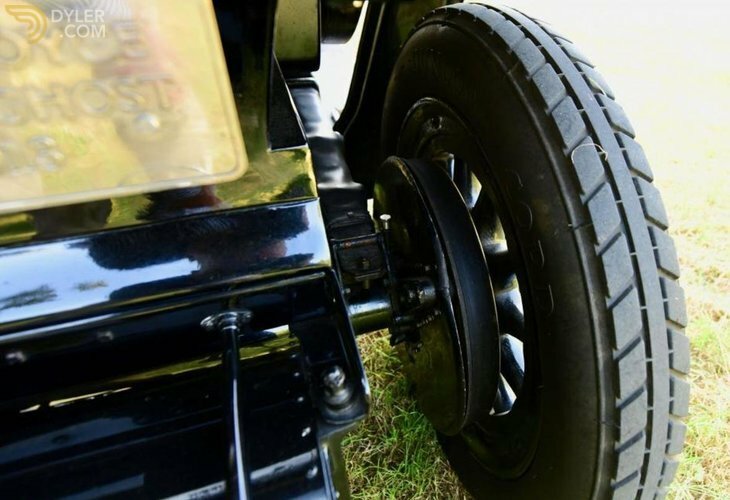 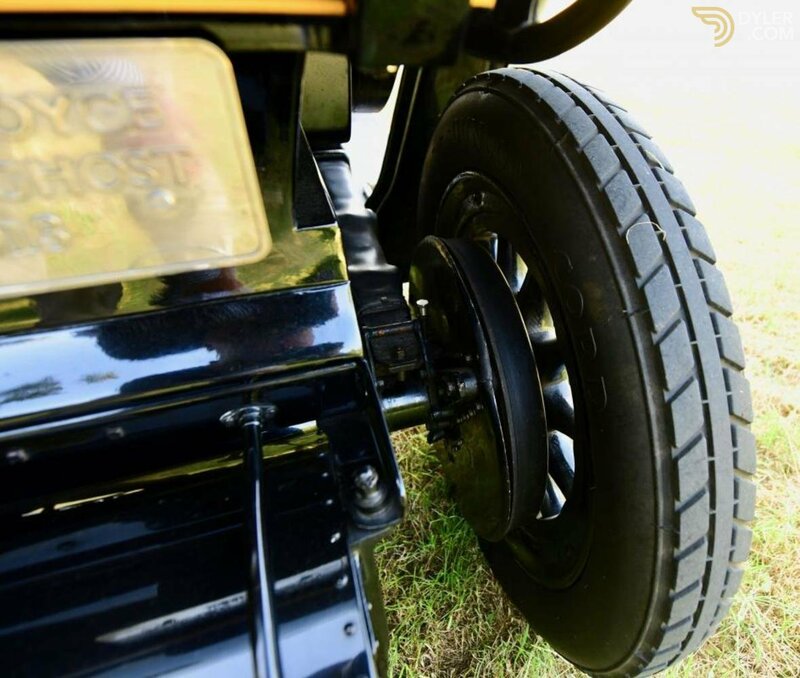 The car sits on re-spoked wooden Warland artillery wheels pleasantly detailed with yellow coach lines that also extend to the bodywork. 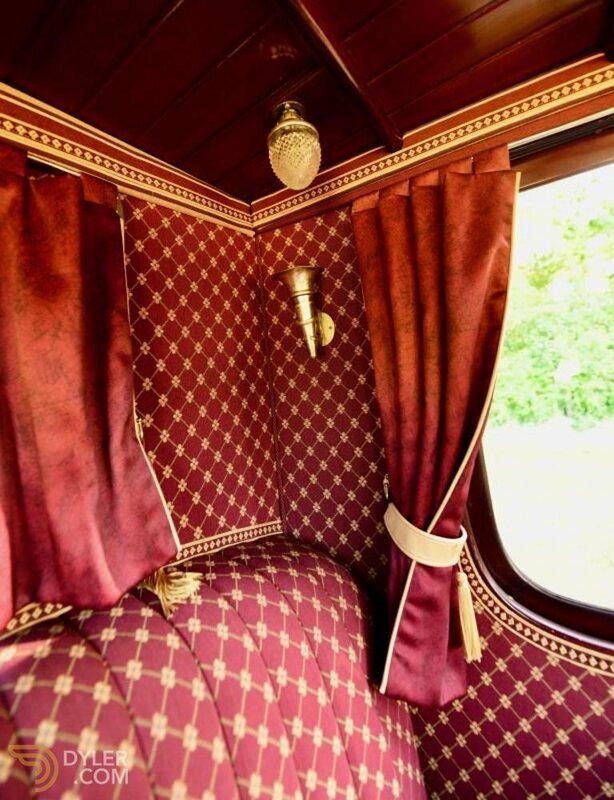 The spare detatchable rim sits on the roof in the luggage rack area. 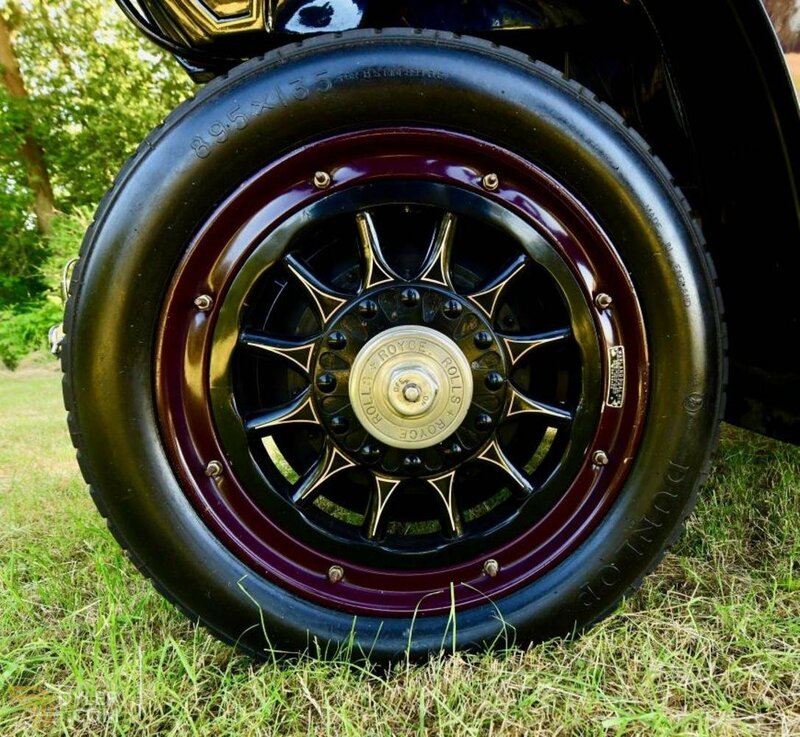 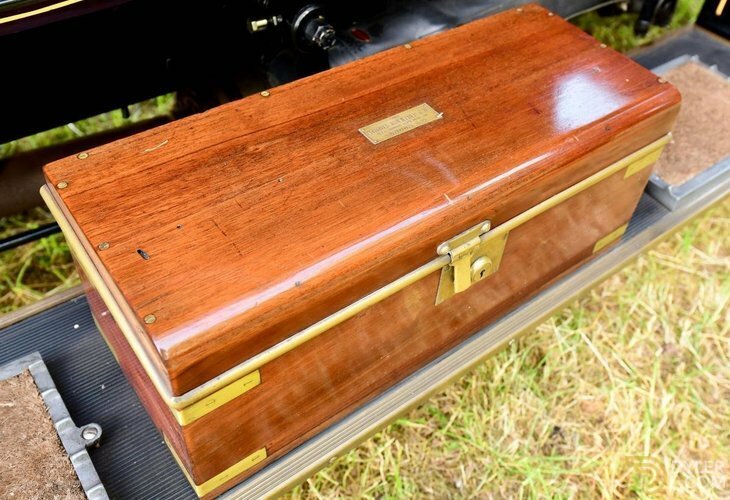 We are currently scouring ebay for a suitable collection of vintage leather trunks, suitcases hat boxes etc to mount upon the roof & give the car a sort of posh "Grapes of Wrath" appearance. 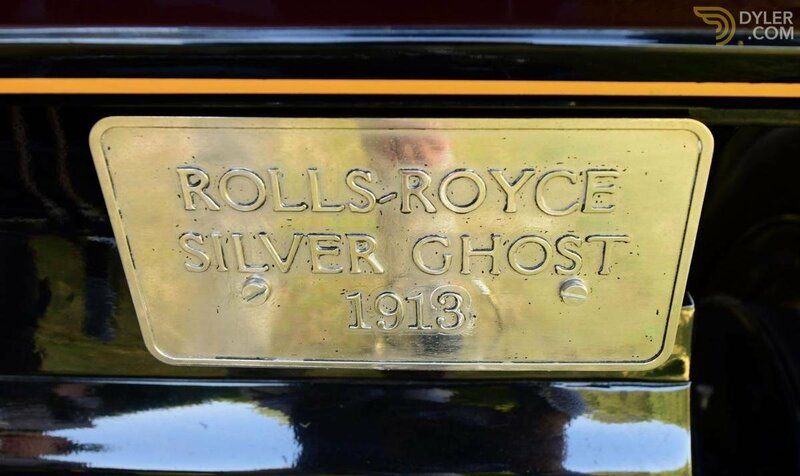 Extensively used in recent years, the car has resided in a garage containing a quartet of Ghosts. 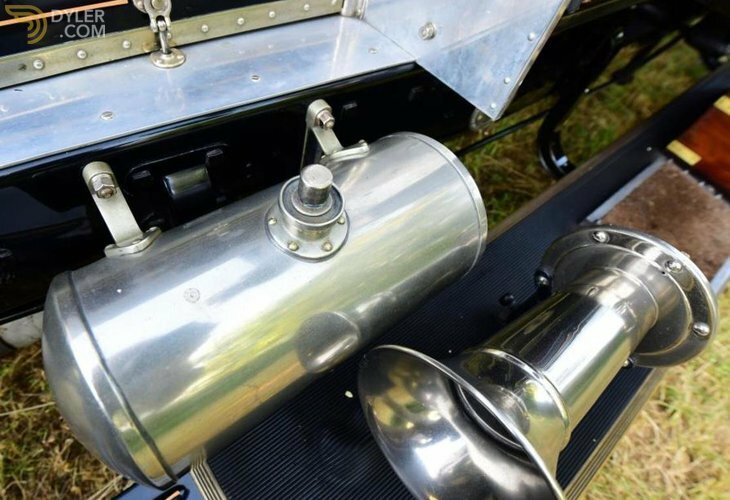 It was used on & completed the 2013 Alpine trial; an arduous 150 or so mile journey taking iin numerous countries & high alpine passes. 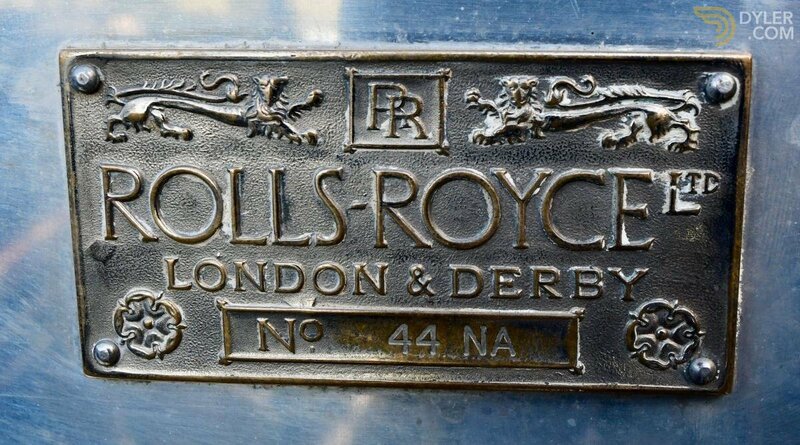 As dealers we tire a little & stifle the odd yawn when we see yet anotehr skinny Lodon to Edinburgh body, or Rois Des Belges replication. 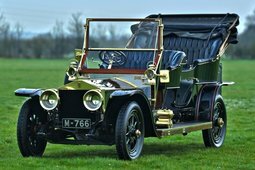 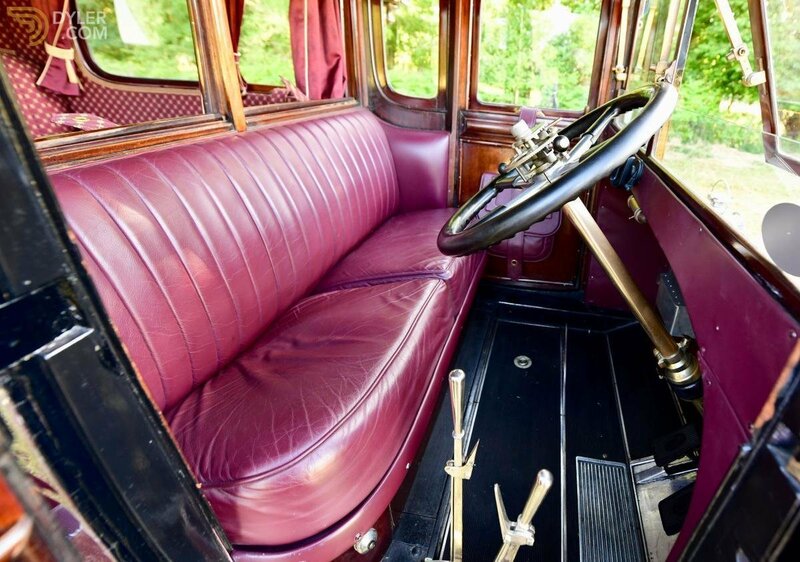 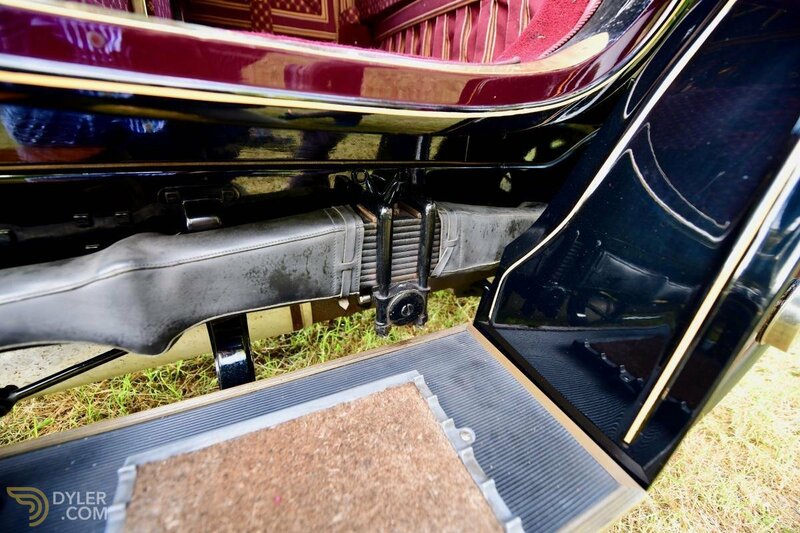 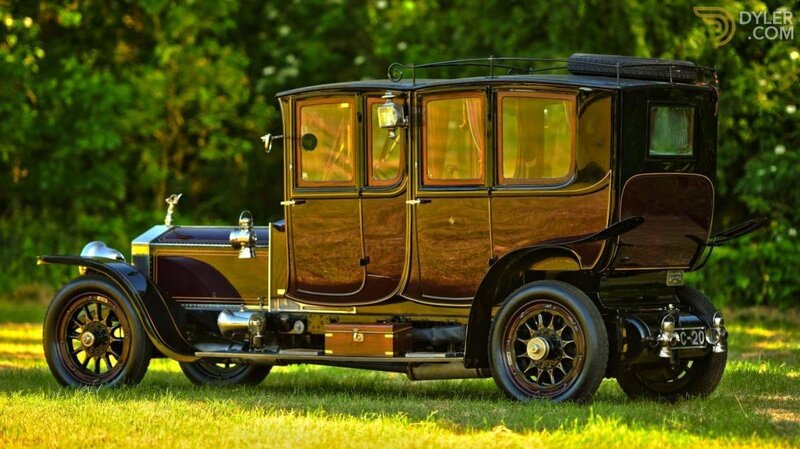 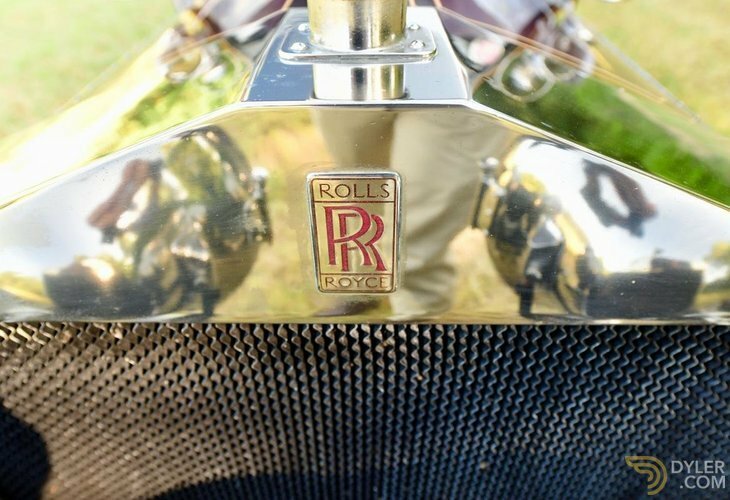 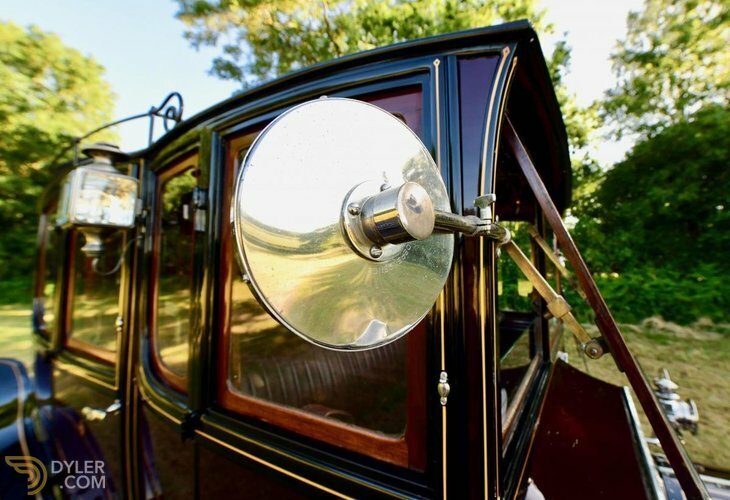 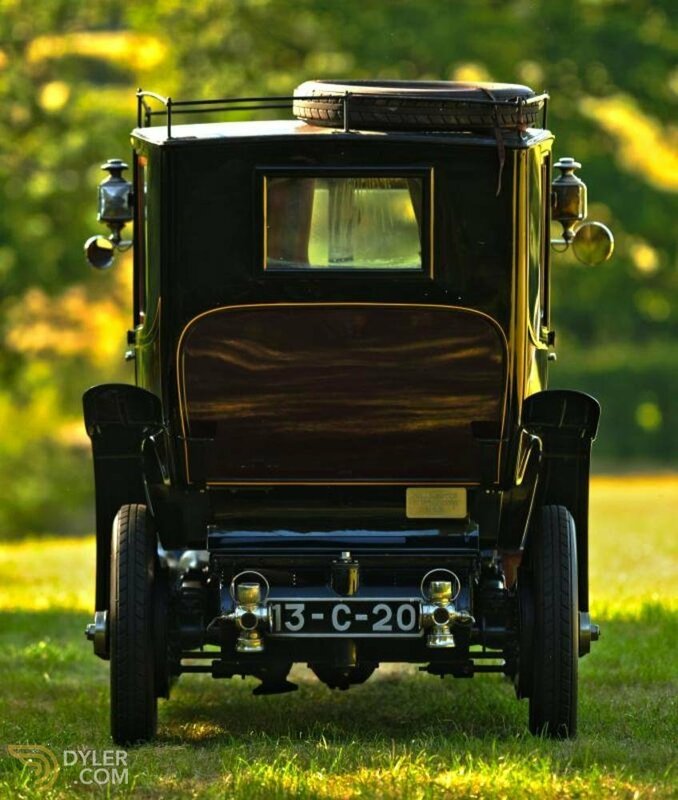 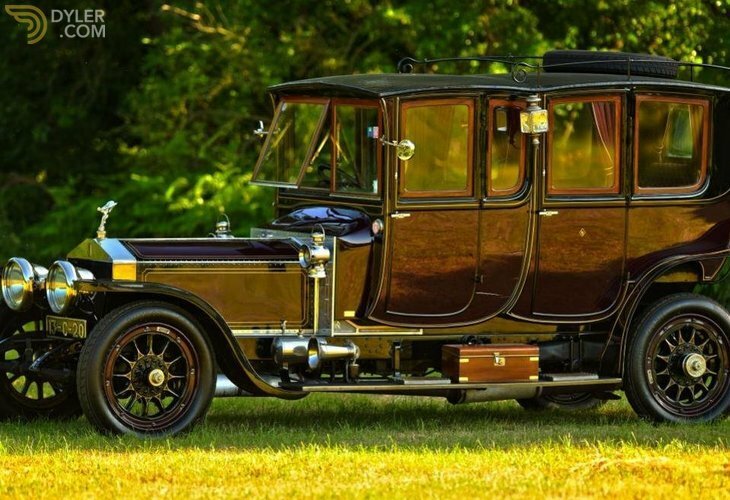 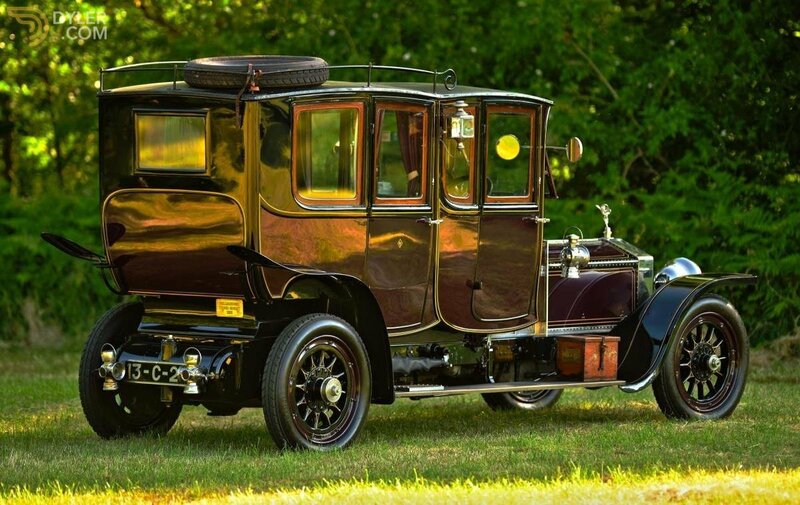 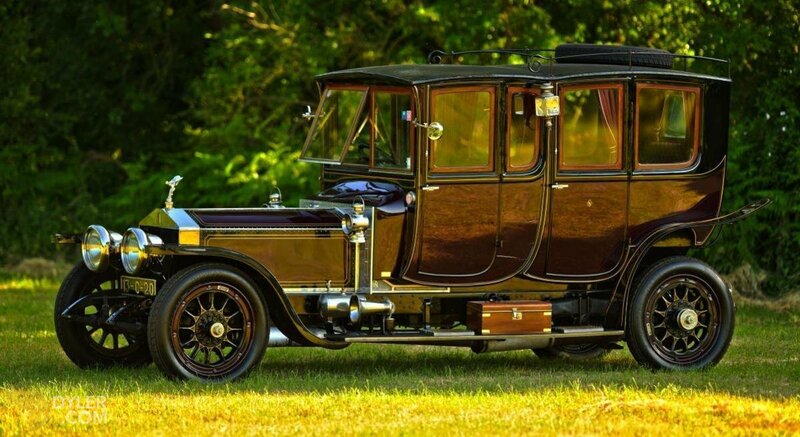 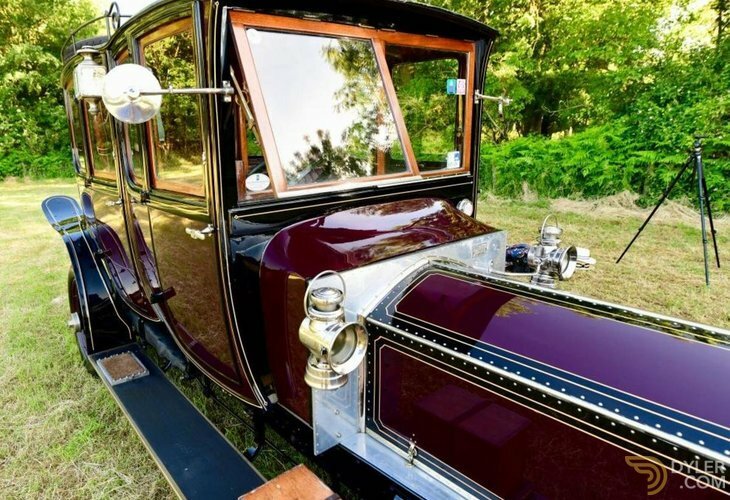 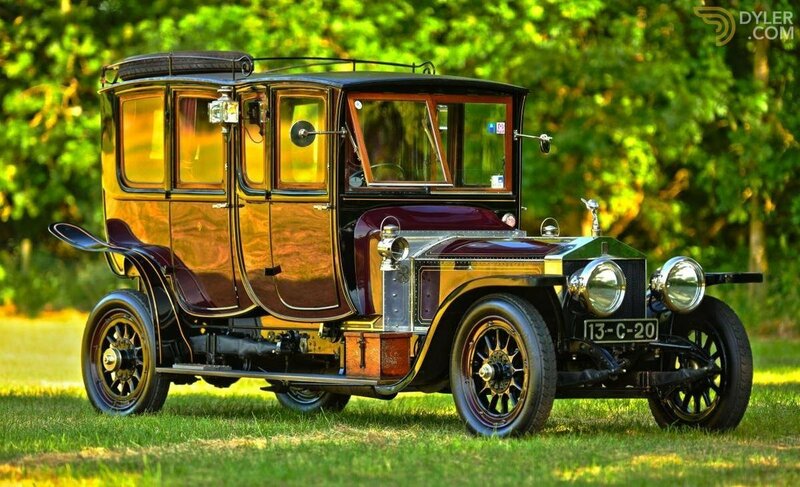 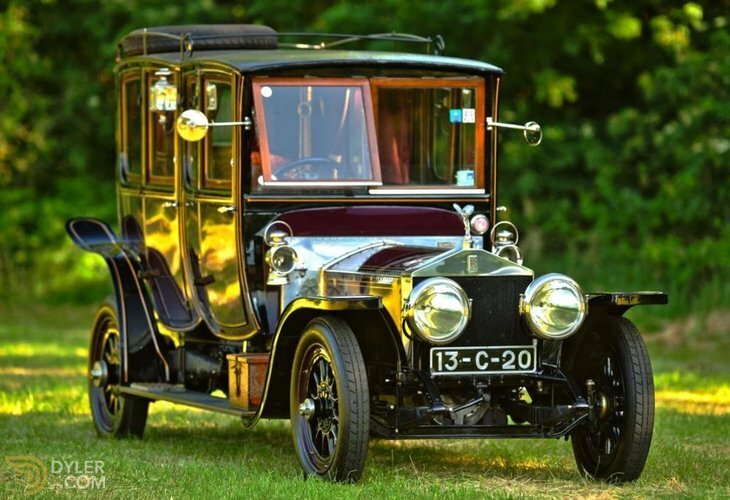 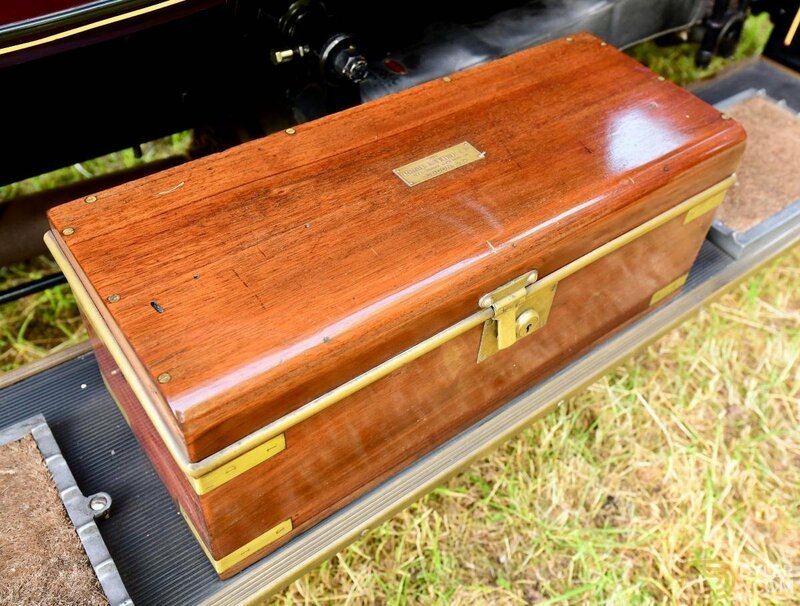 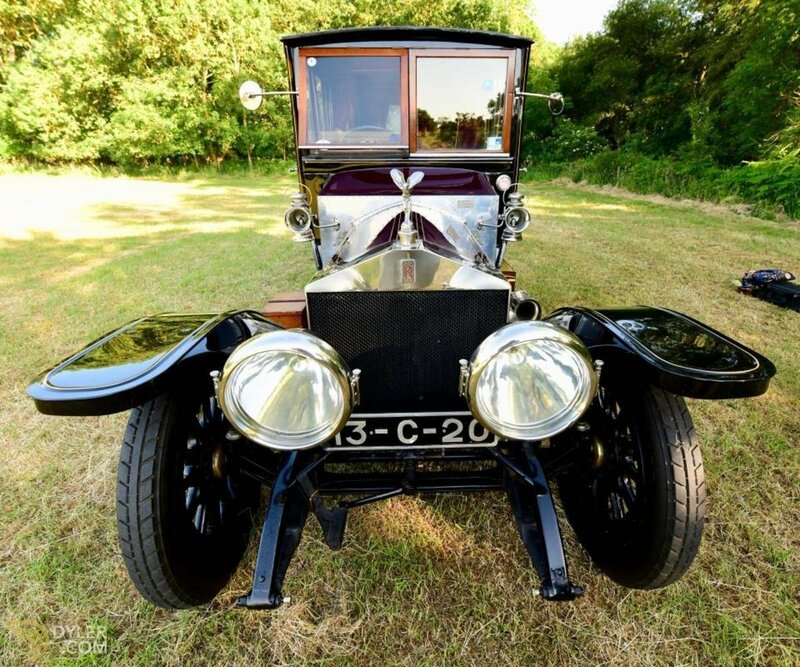 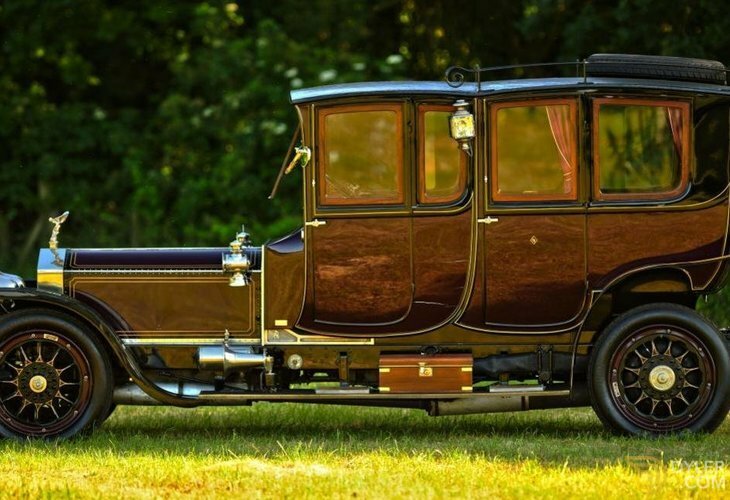 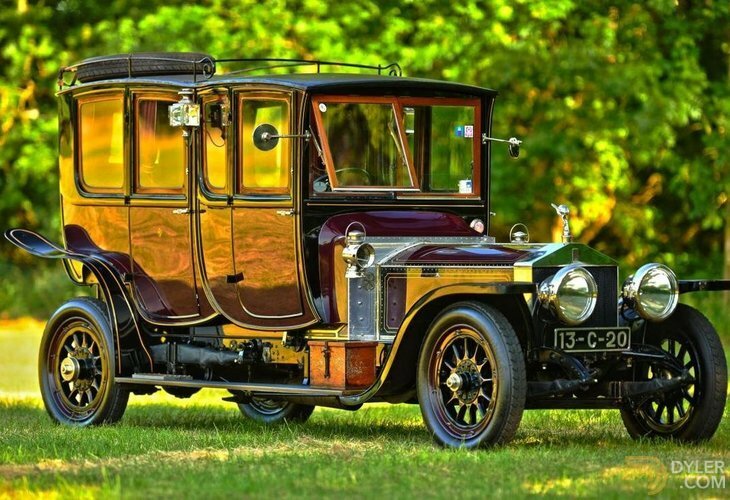 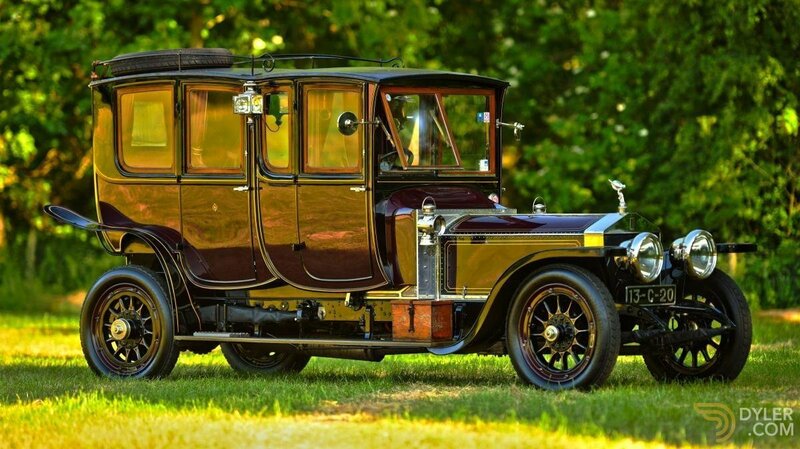 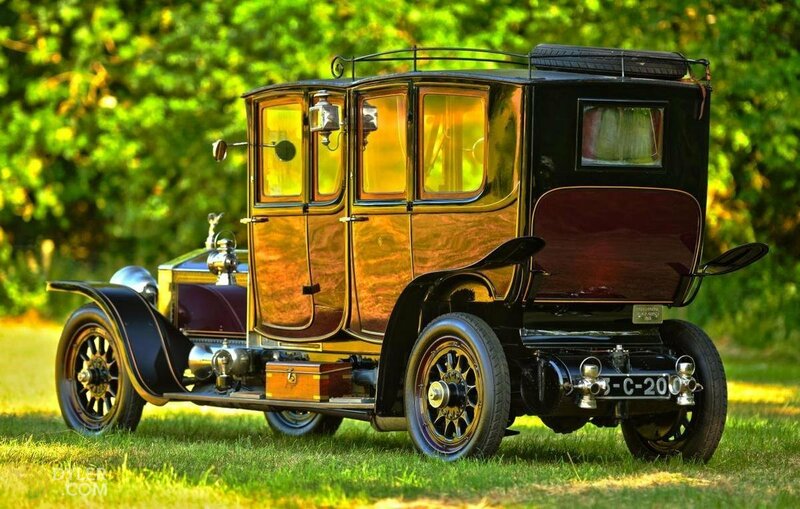 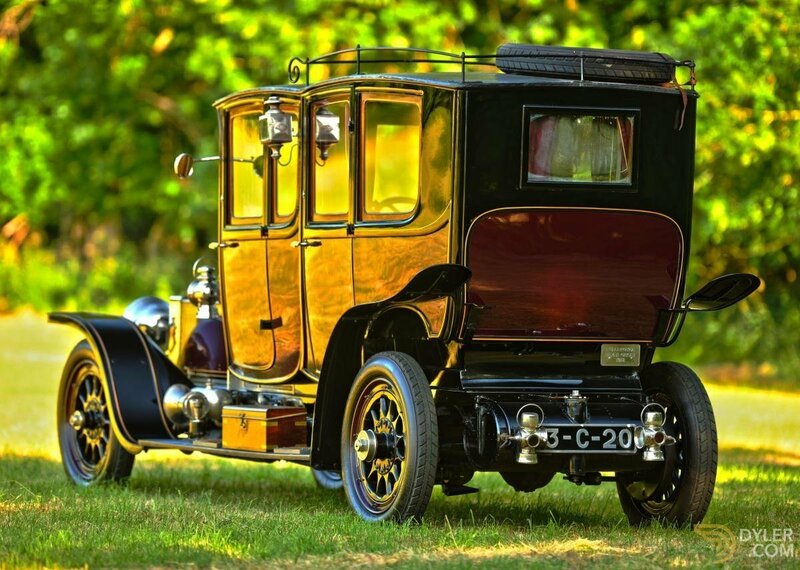 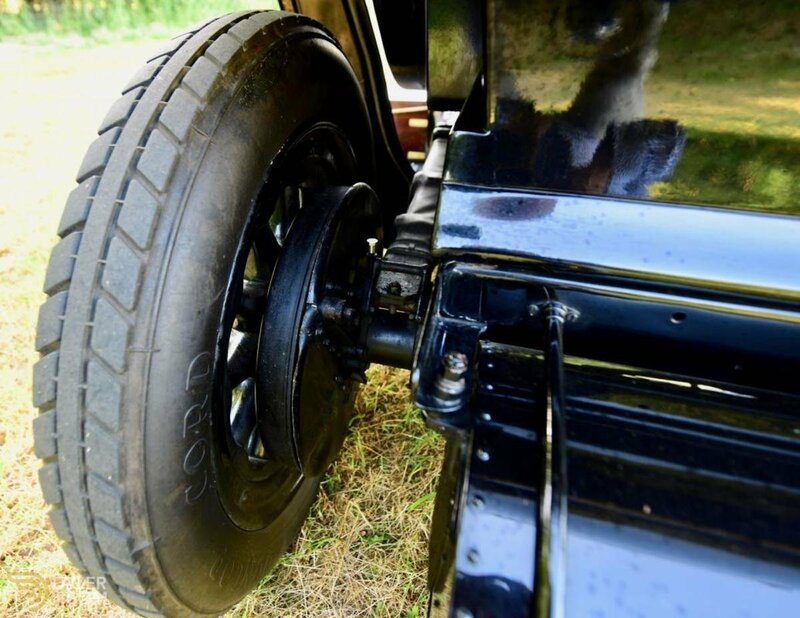 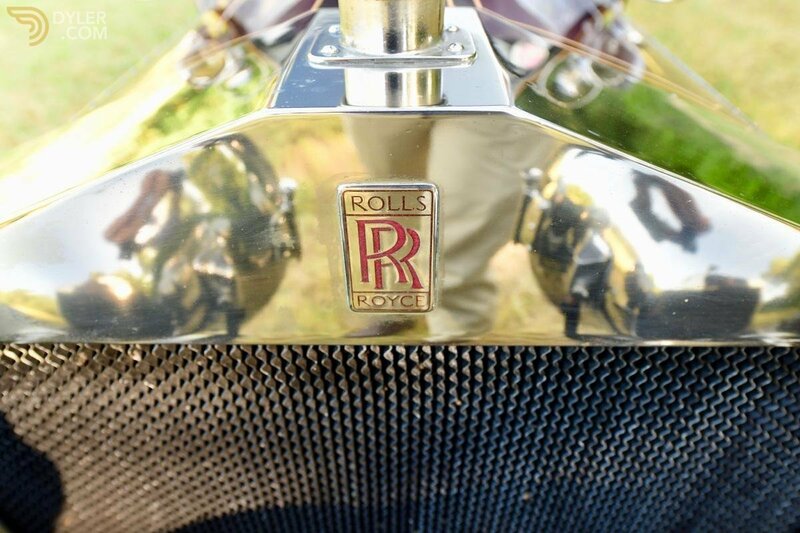 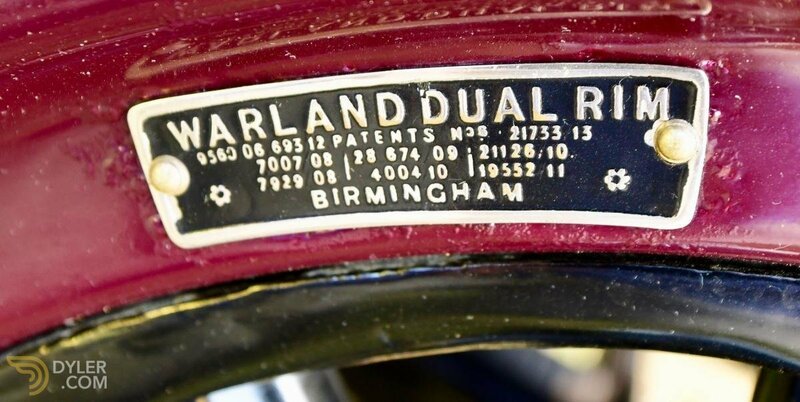 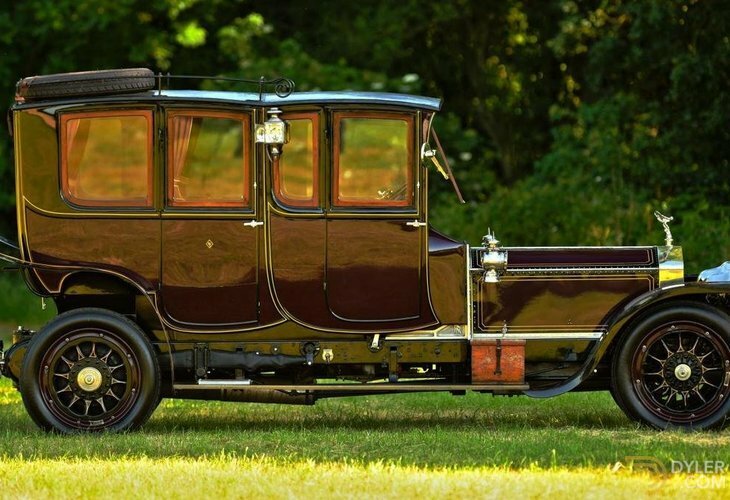 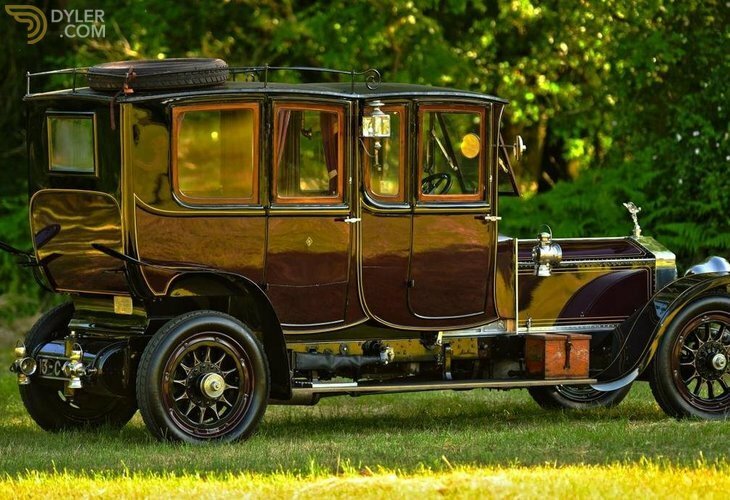 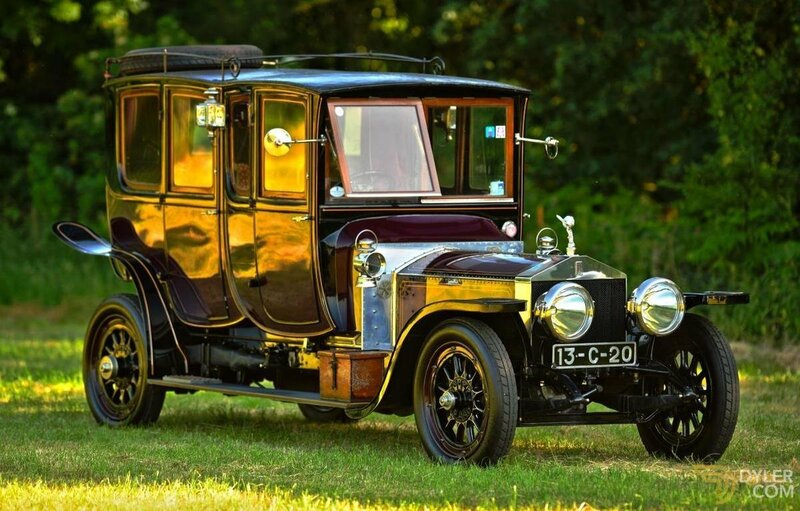 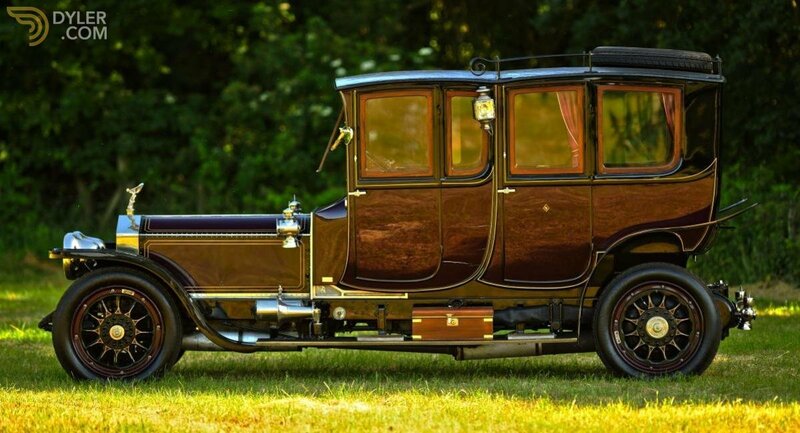 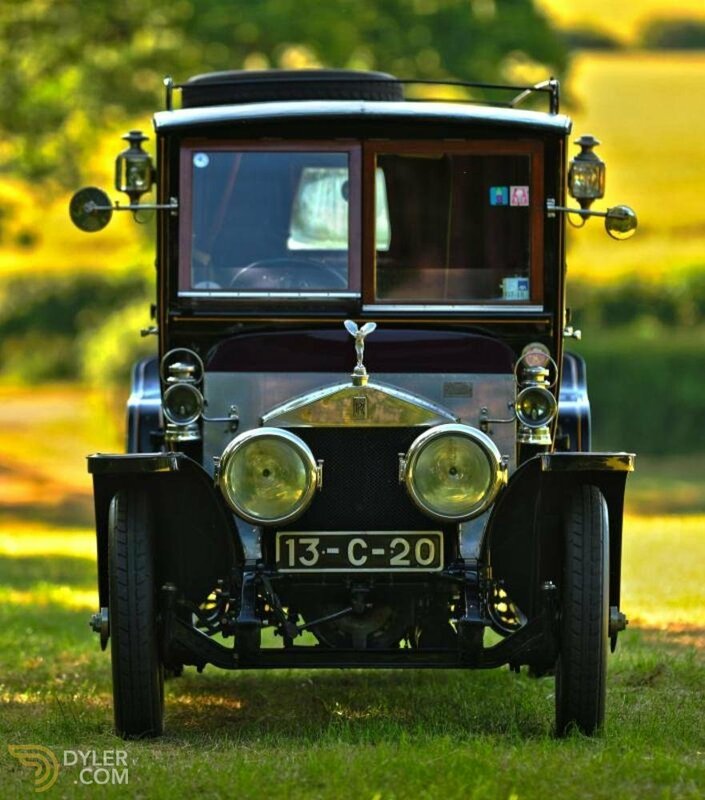 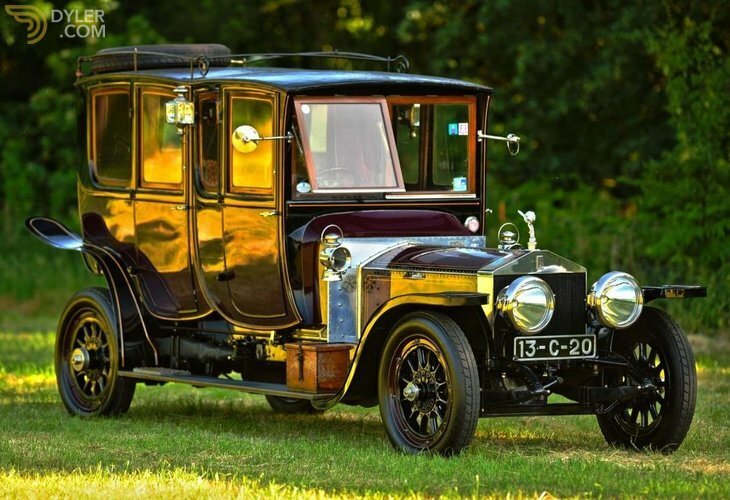 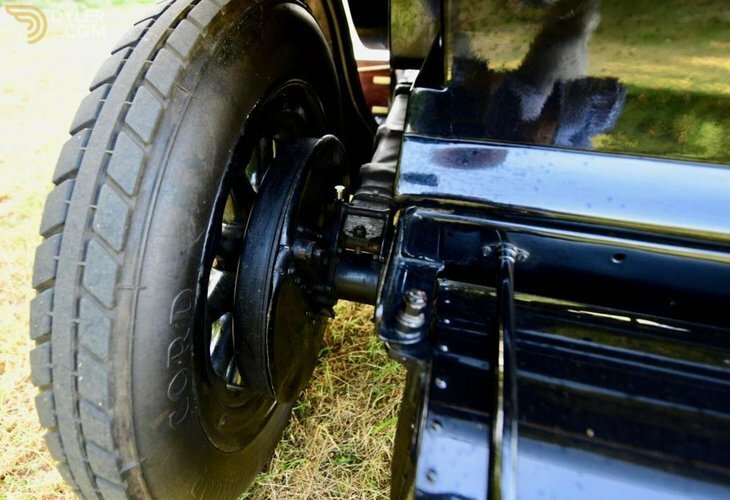 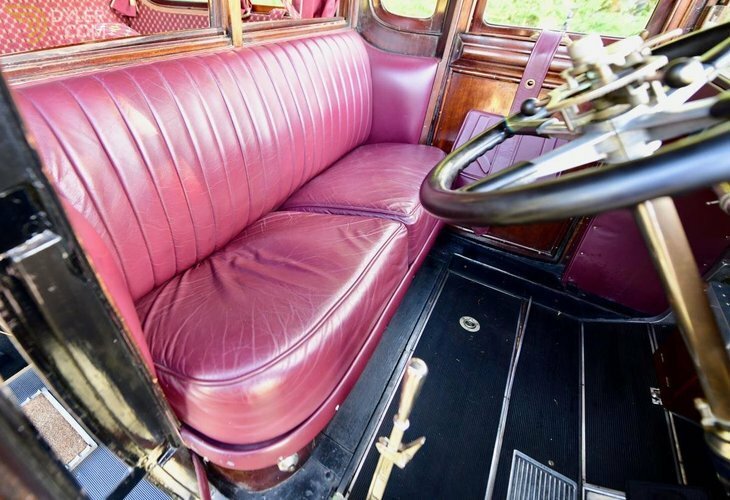 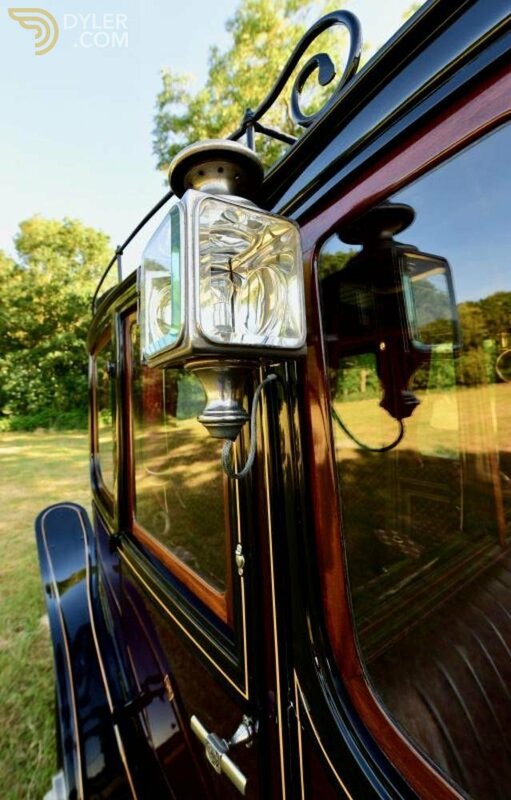 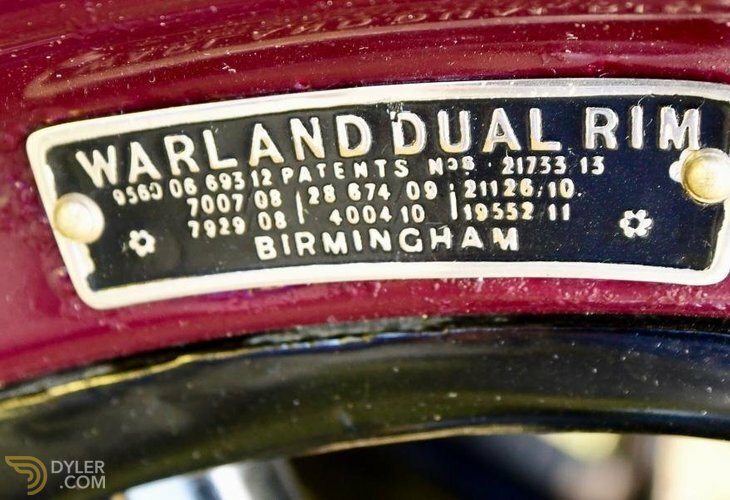 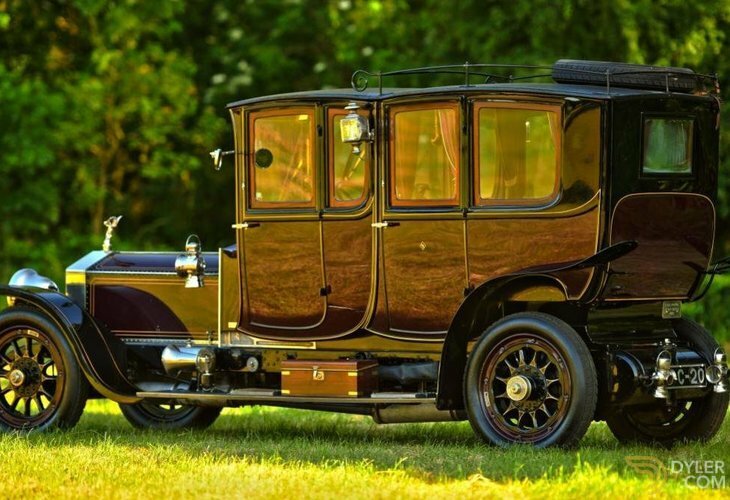 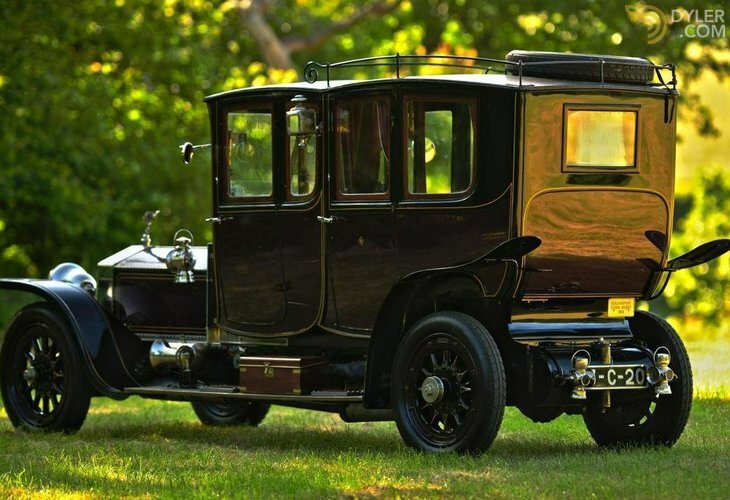 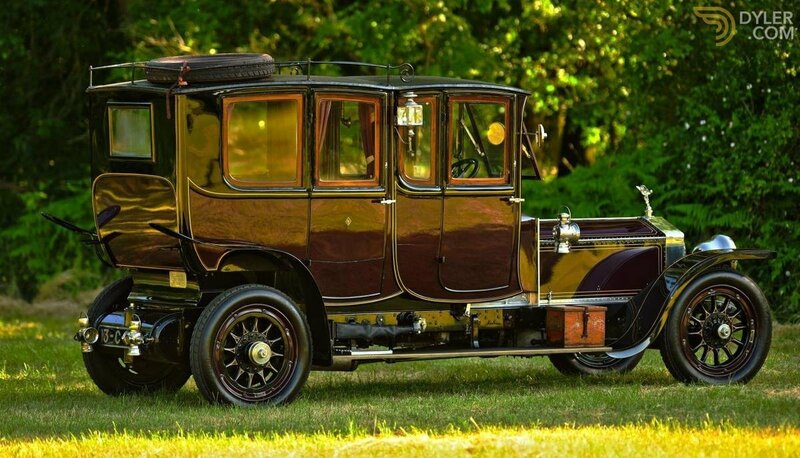 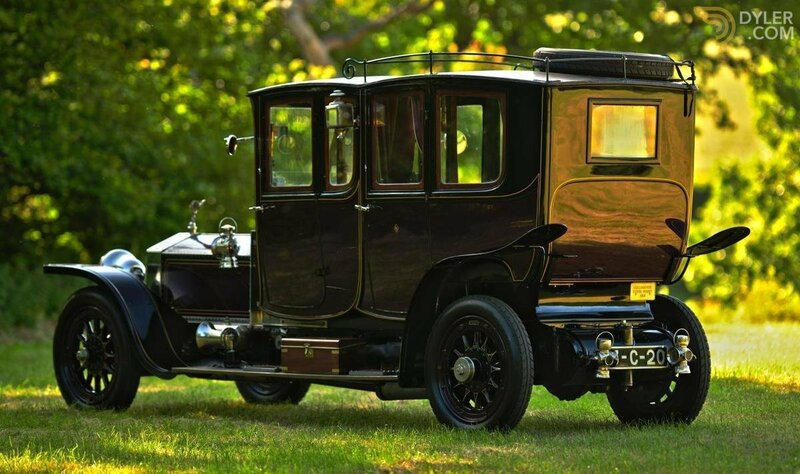 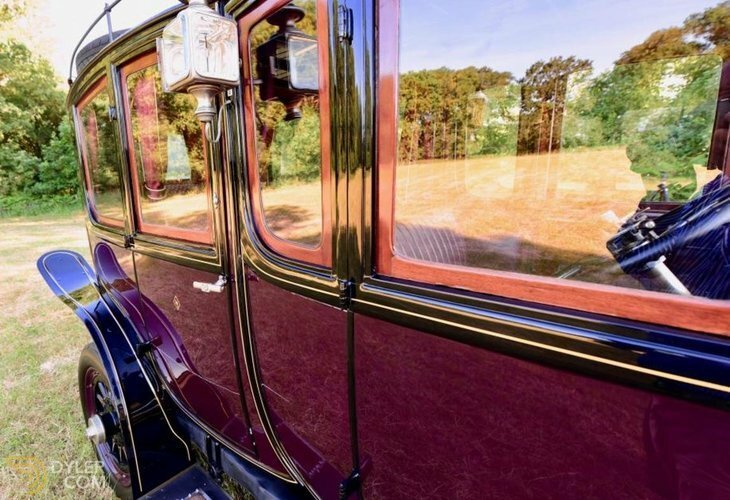 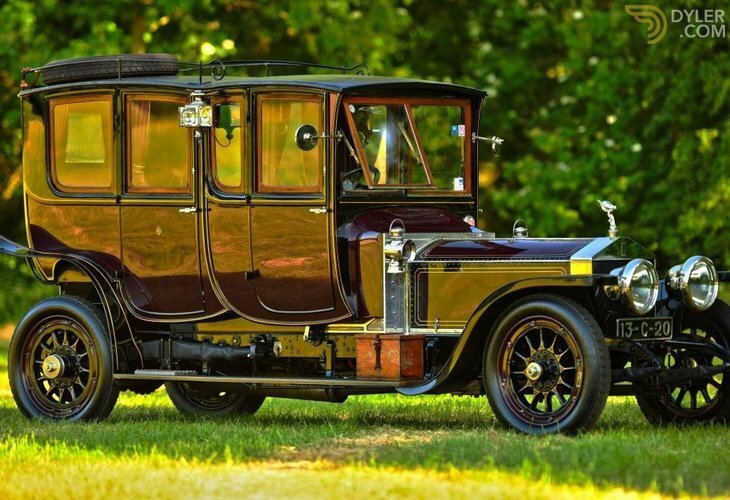 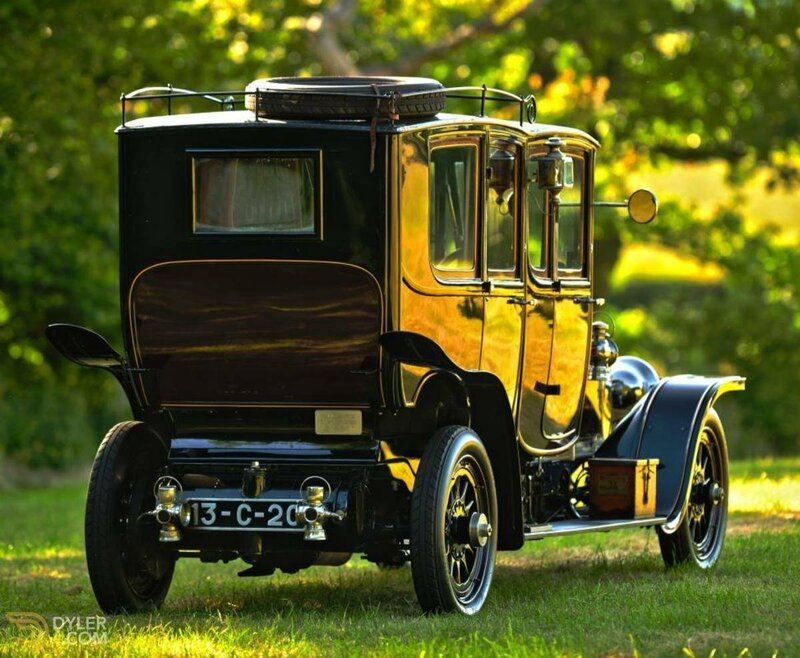 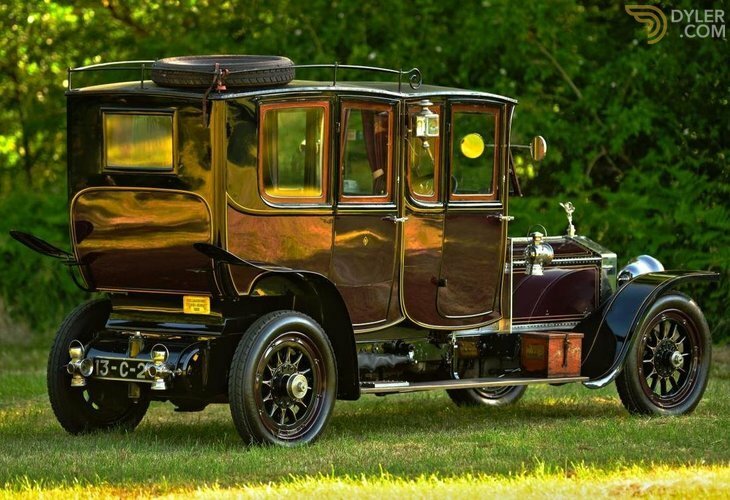 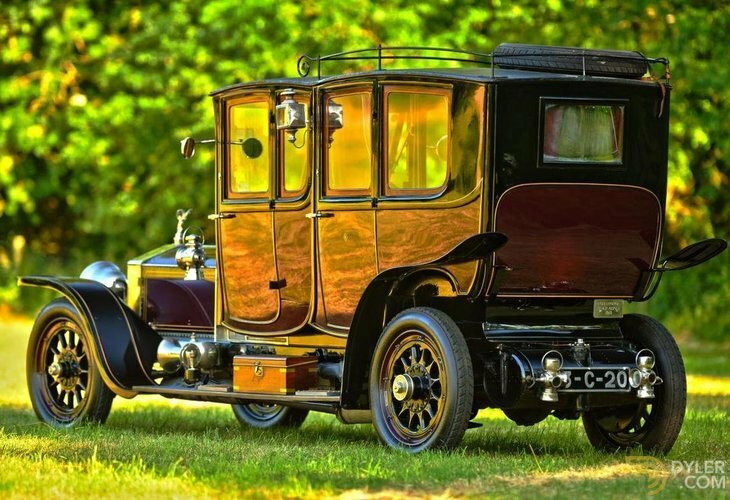 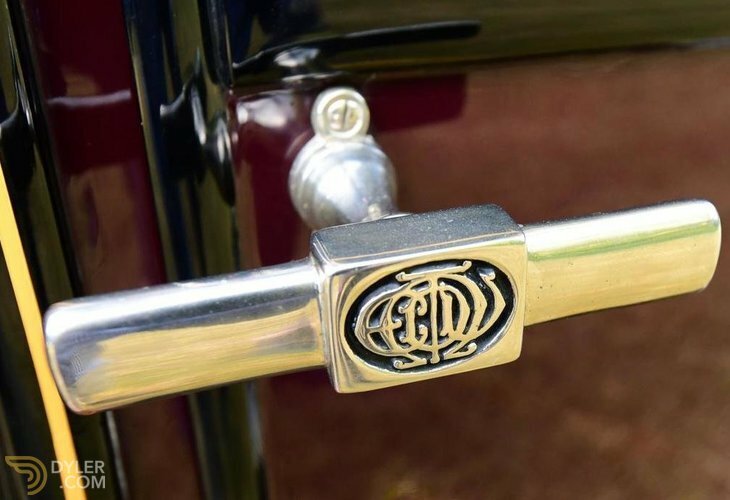 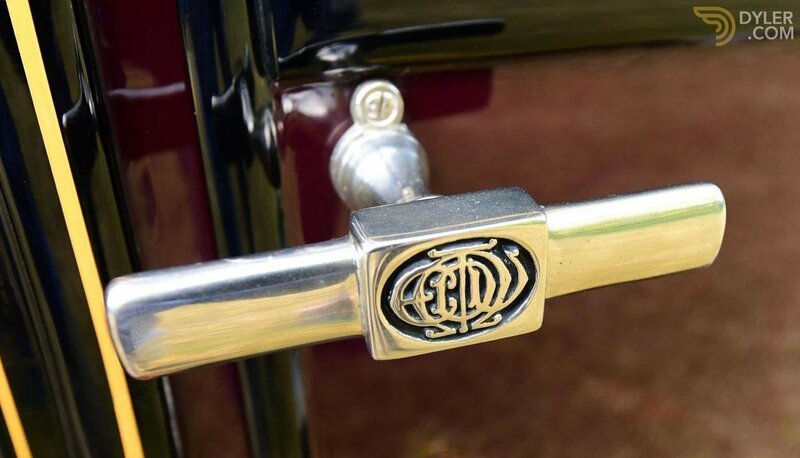 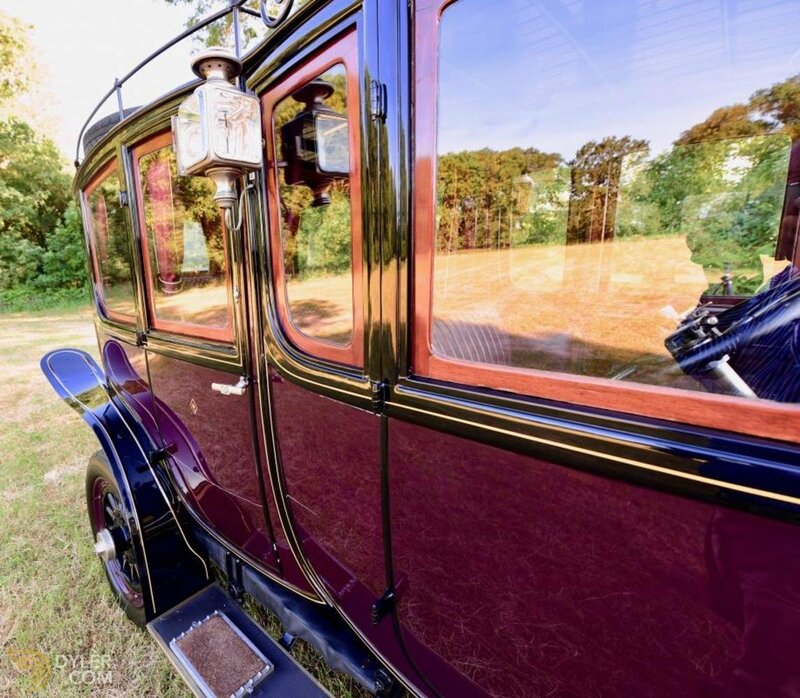 It is thus a great pleasure to be handling a car with a magnificent period formal body the likes of which, although common back in the day, is now an almost unheared of rarity upon the Queens highways. 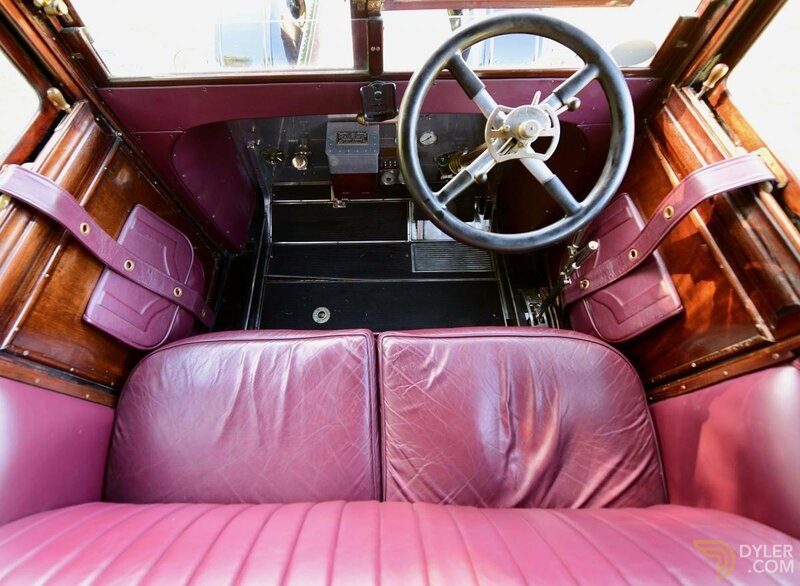 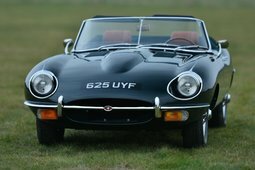 The car is without doubt an attention getter & draws crowds of admirers wherever it goes.